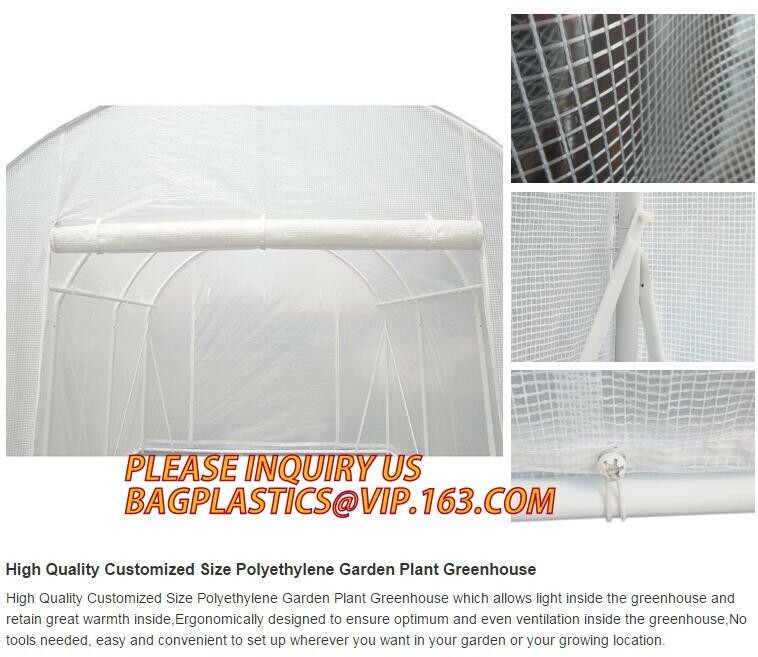 Polytunnel Mini Walk-in Greenhouse ( also called Polytunnel Garden Greenhouse ) will surely extend your plants growing season wherever you are, and Polytunnel Mini Walk-in Greenhouse will let you grow your own plants and vegetables in a more eco-friendly way. 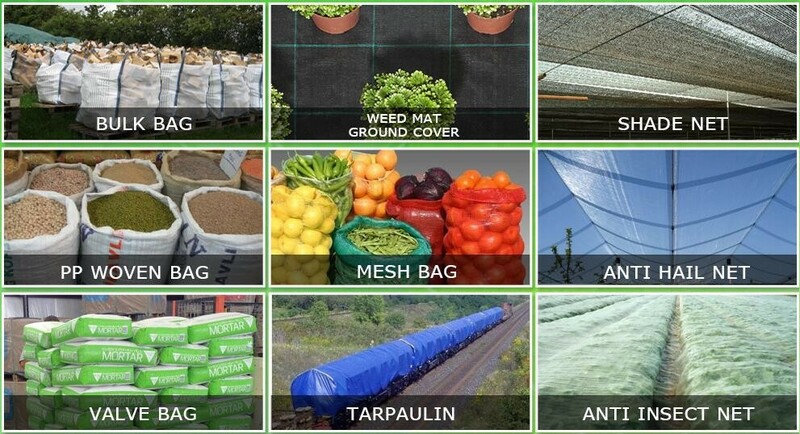 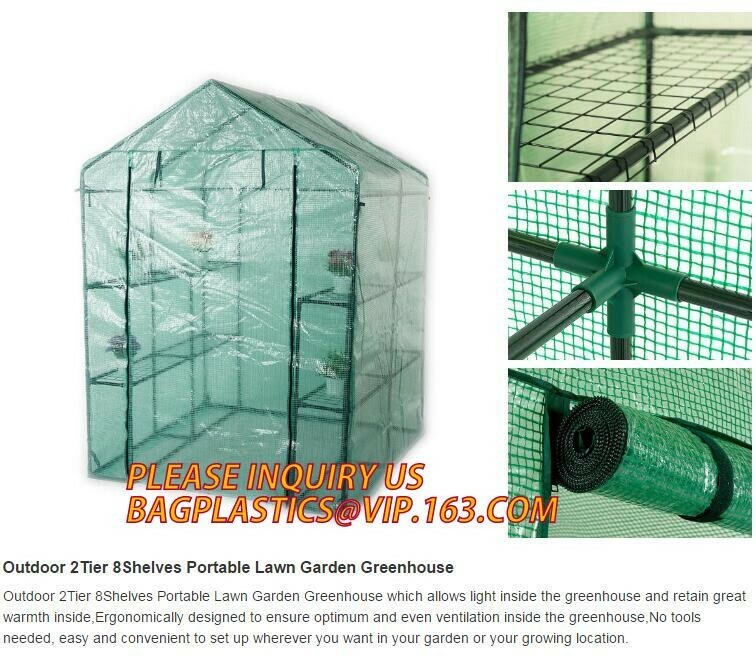 The Greenhouse will protect your plants from the heat, cold, dust, wind, rain and pests, so they will have the best chance to reach maturity and harvest. 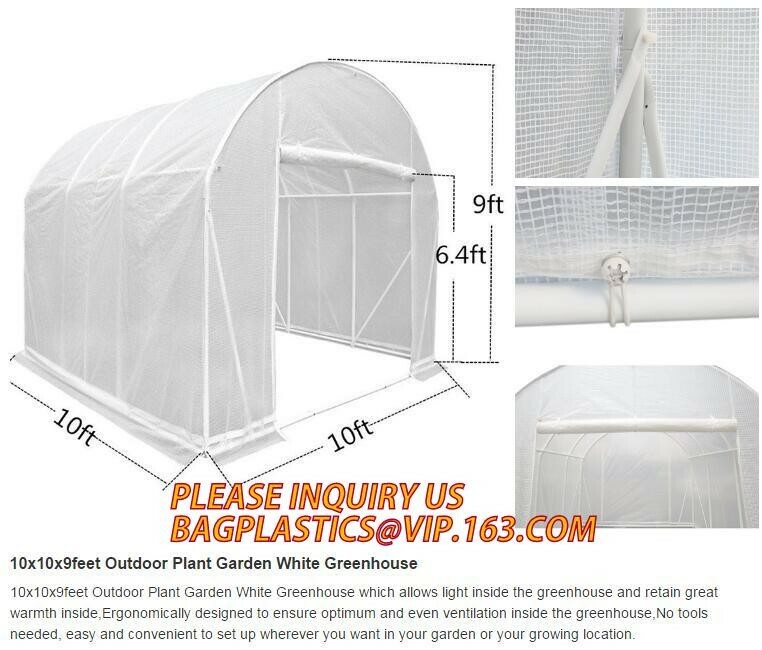 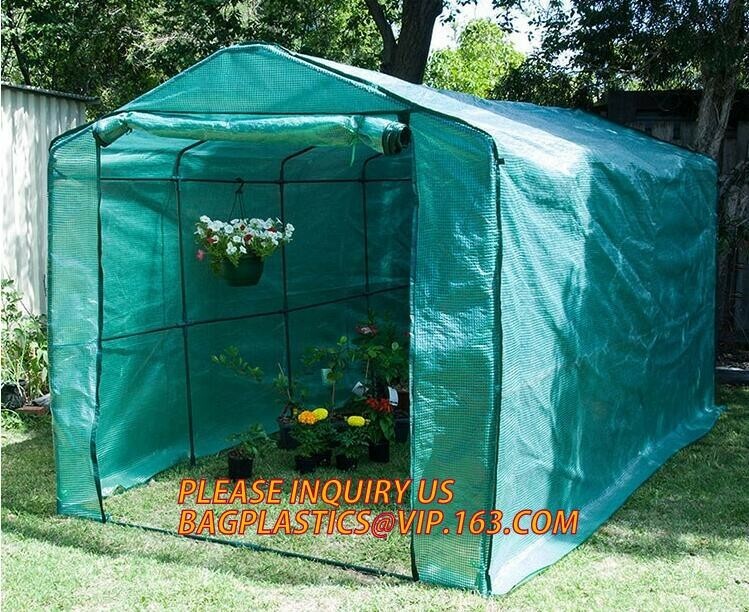 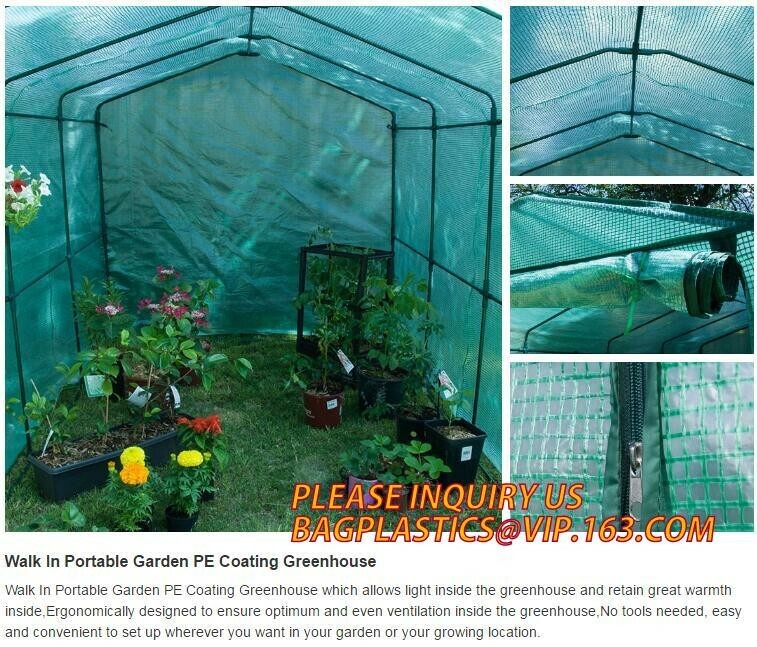 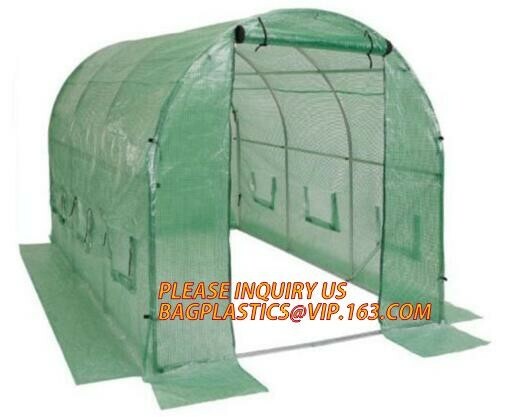 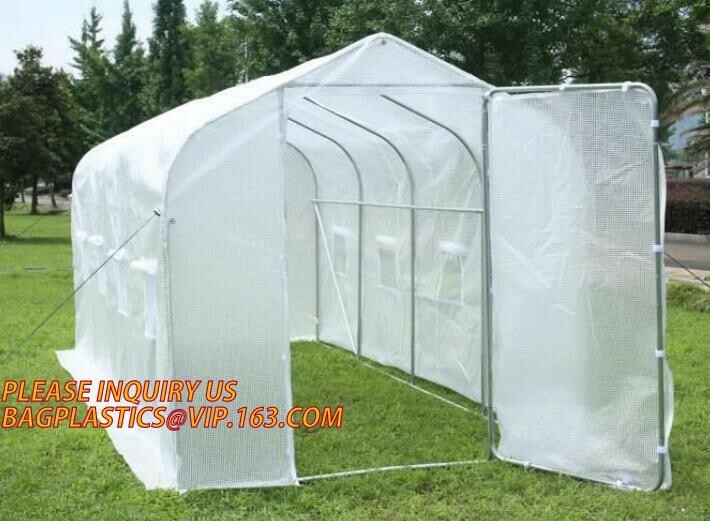 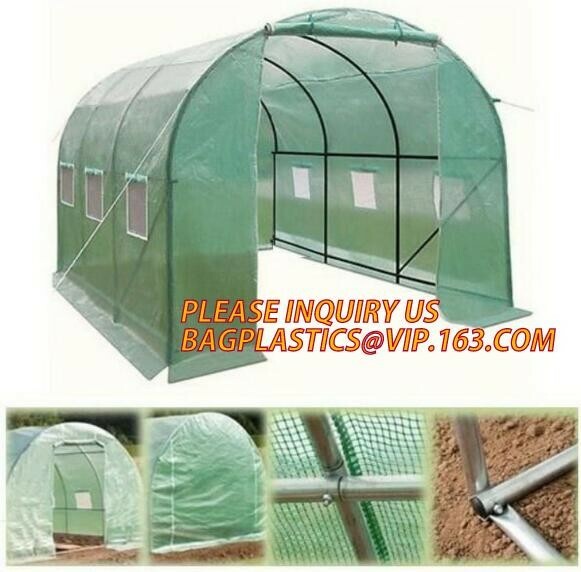 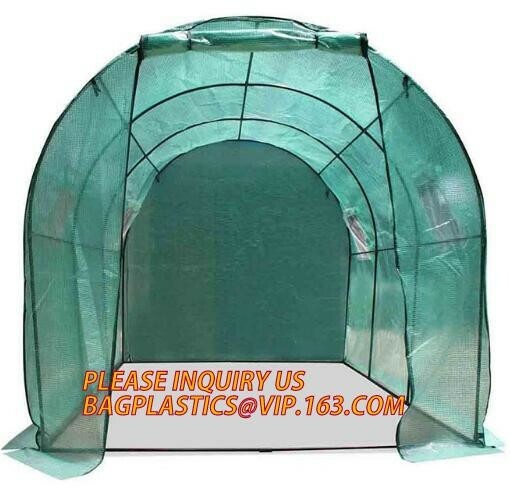 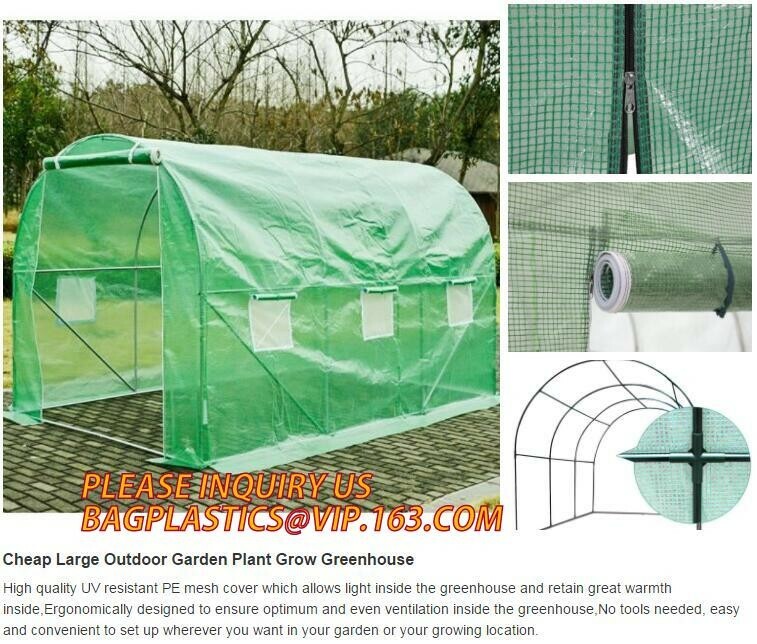 The Tunnel Greenhouse is suitable for some one has a garden or backyard. 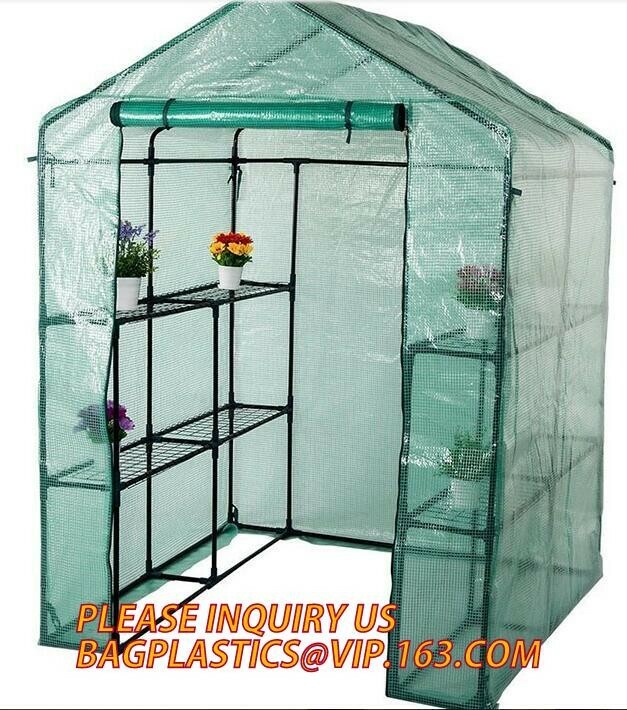 And the Mini Greenhouse is perfect for indoor growing. 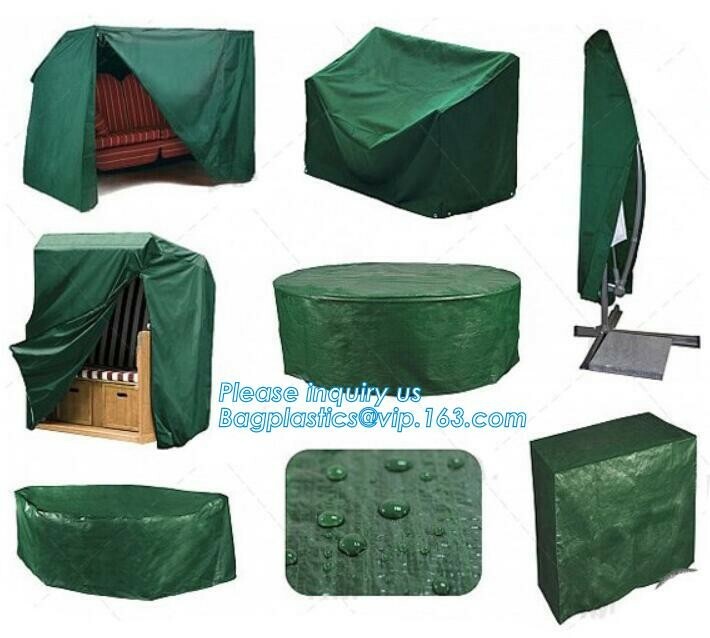 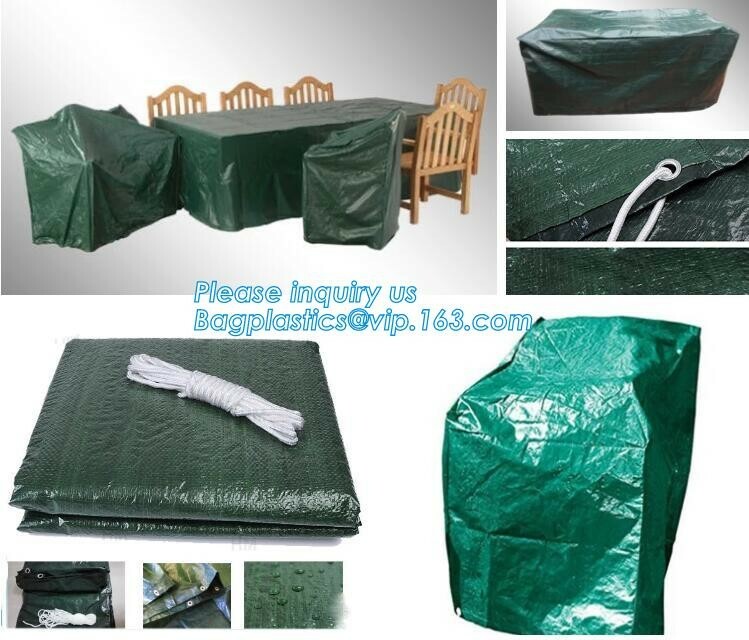 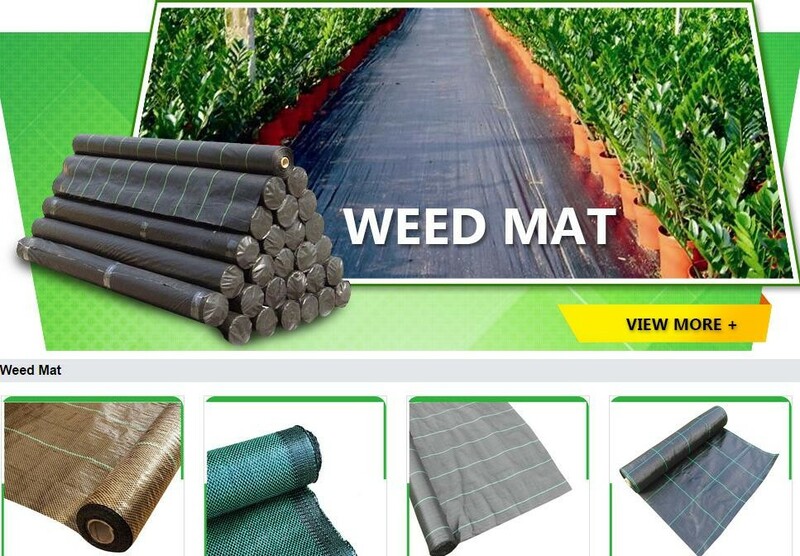 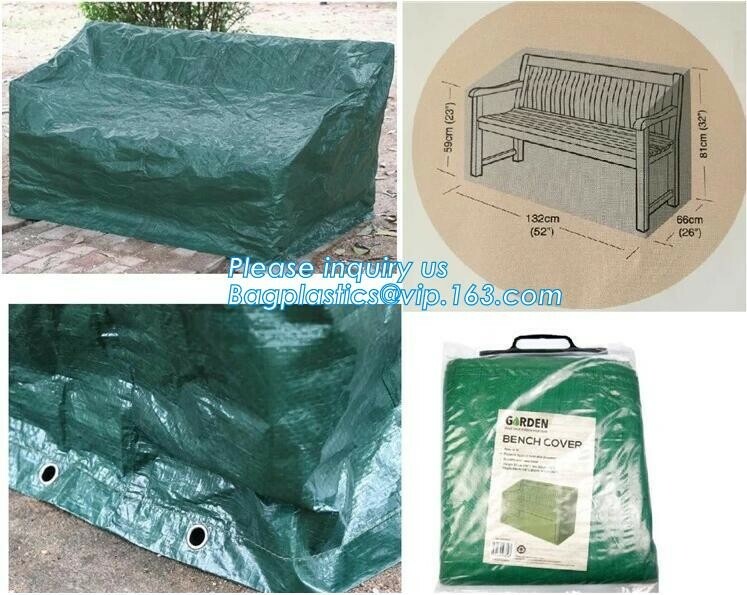 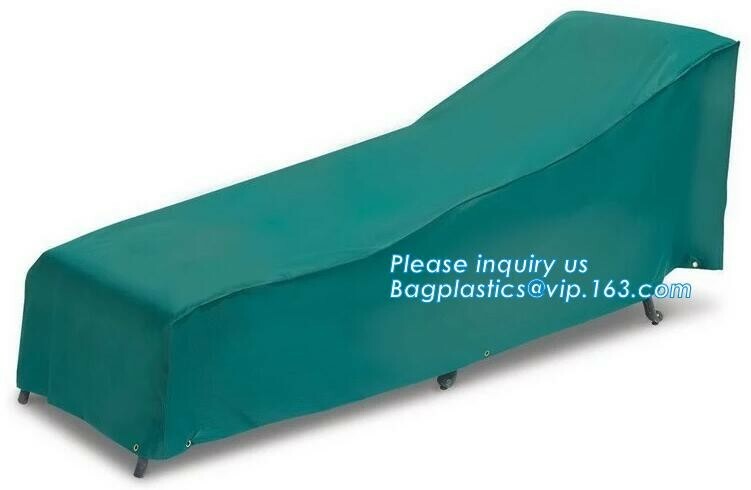 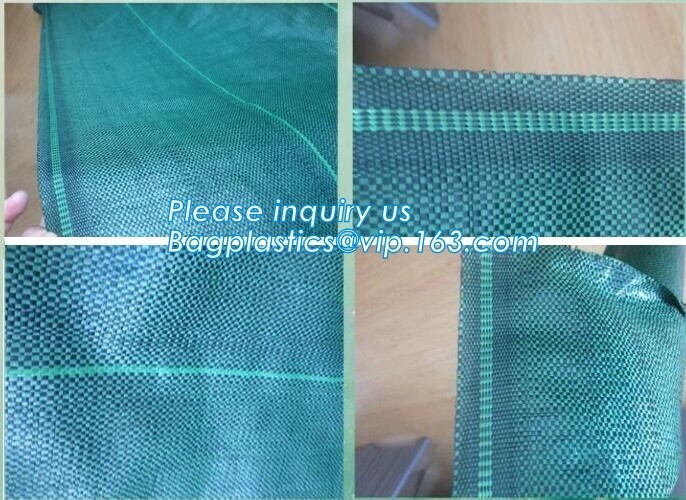 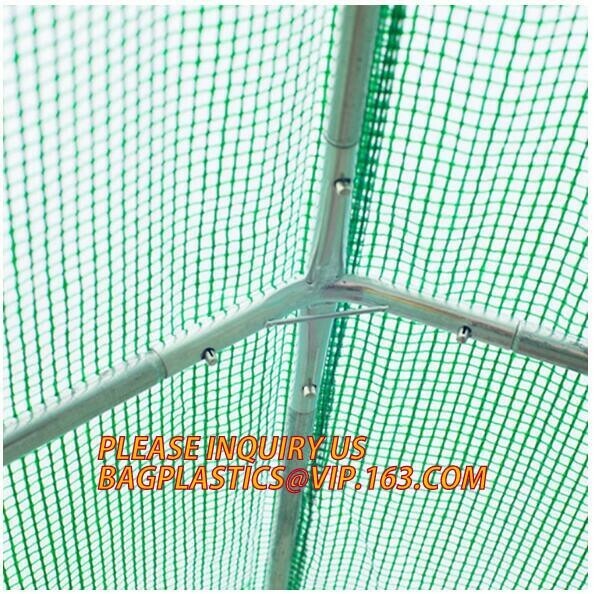 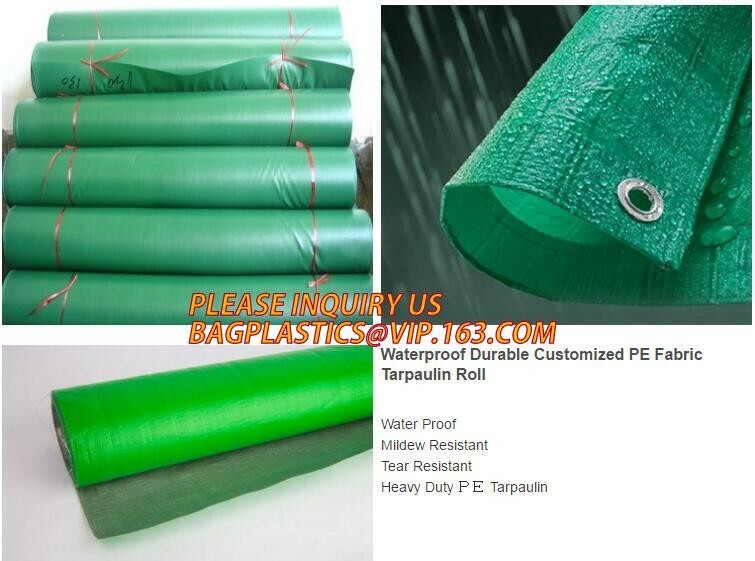 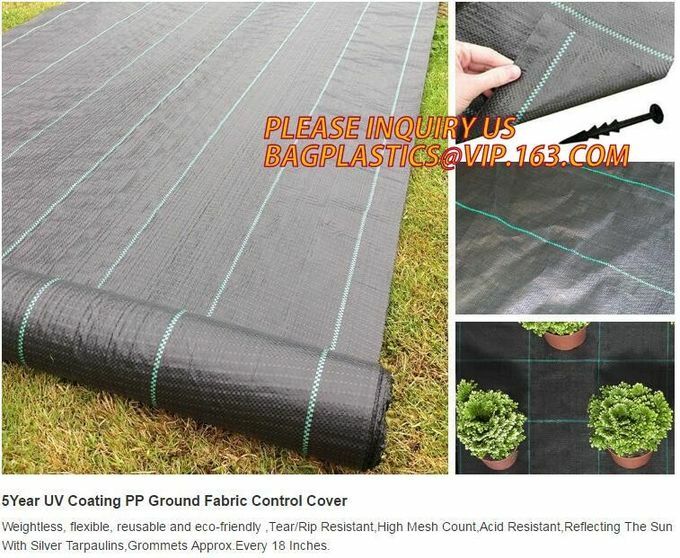 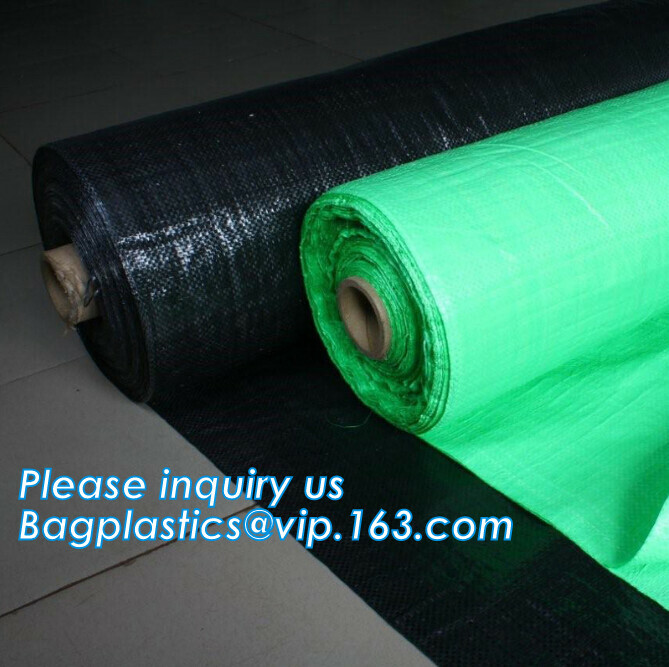 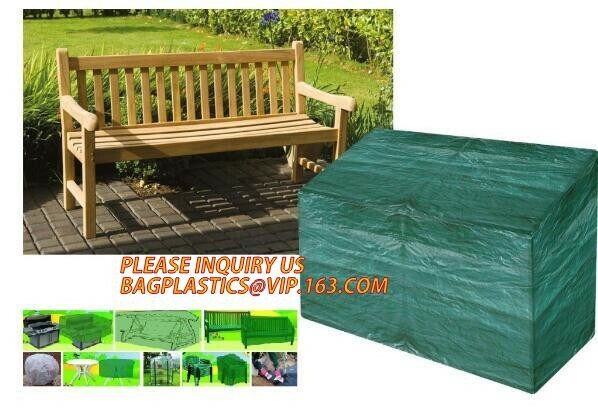 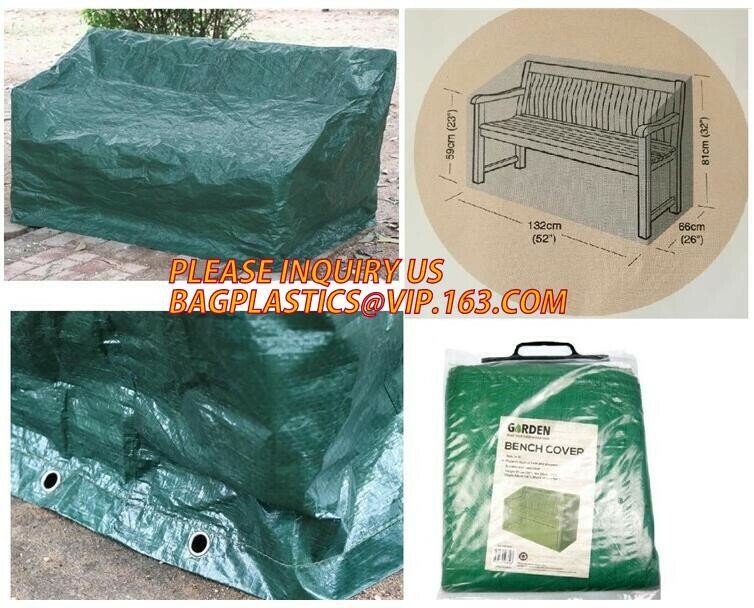 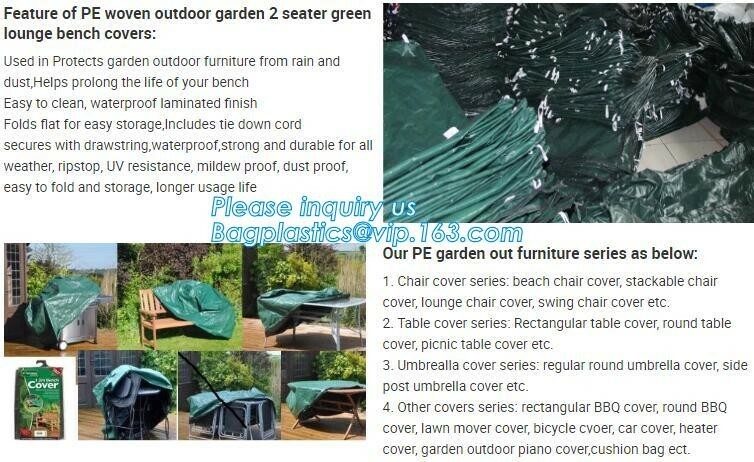 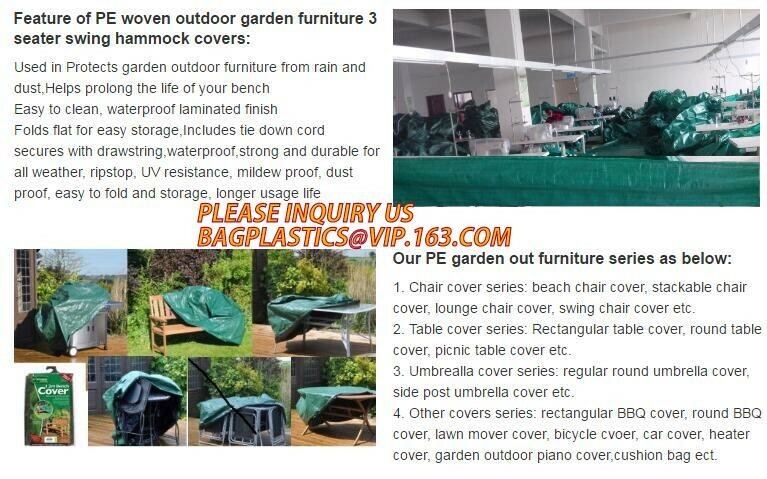 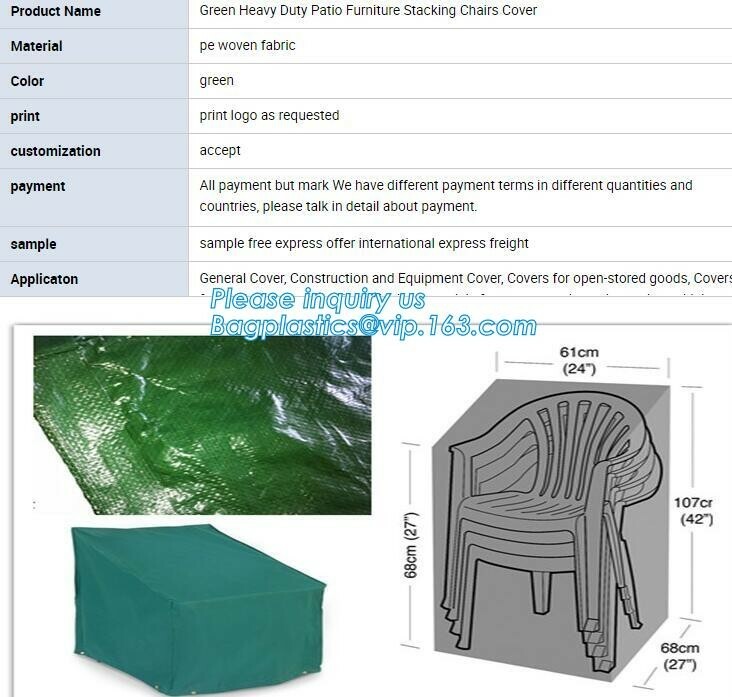 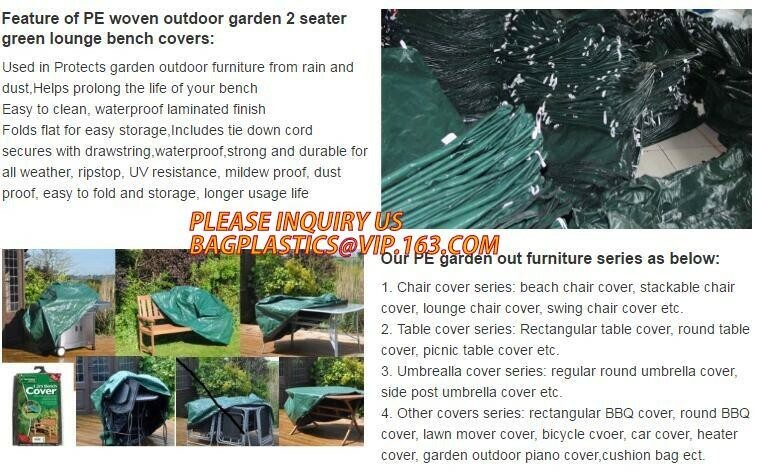 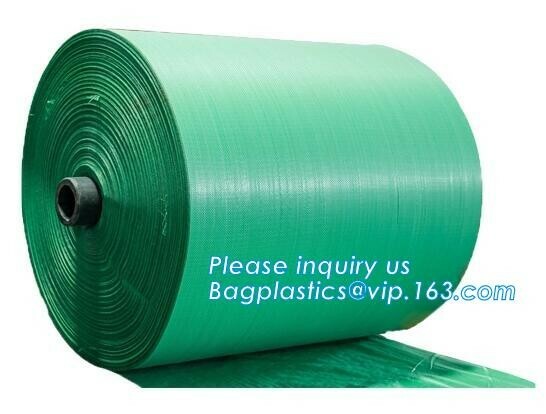 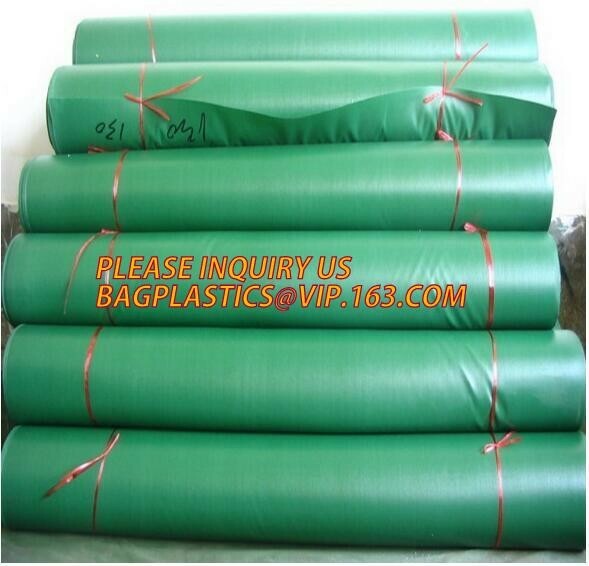 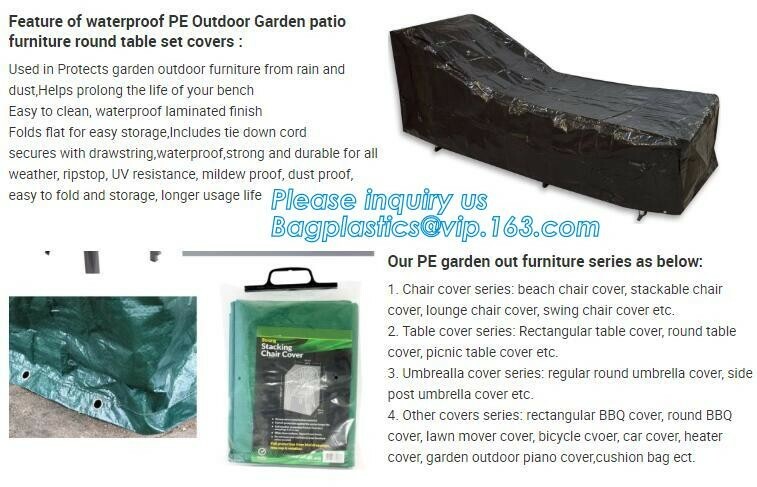 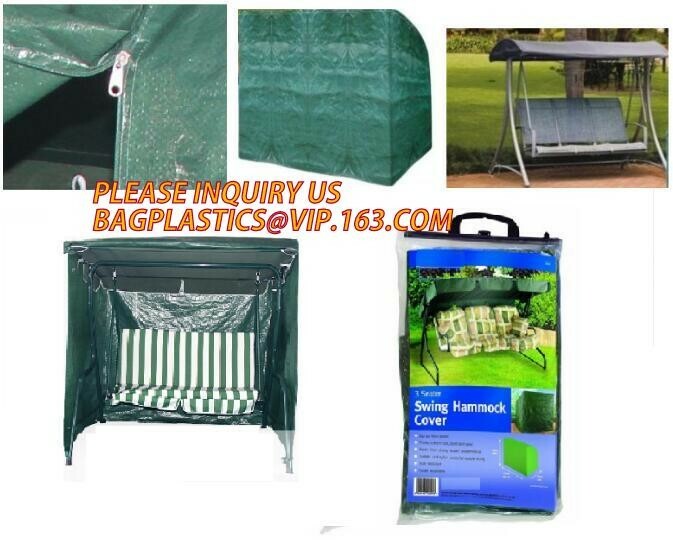 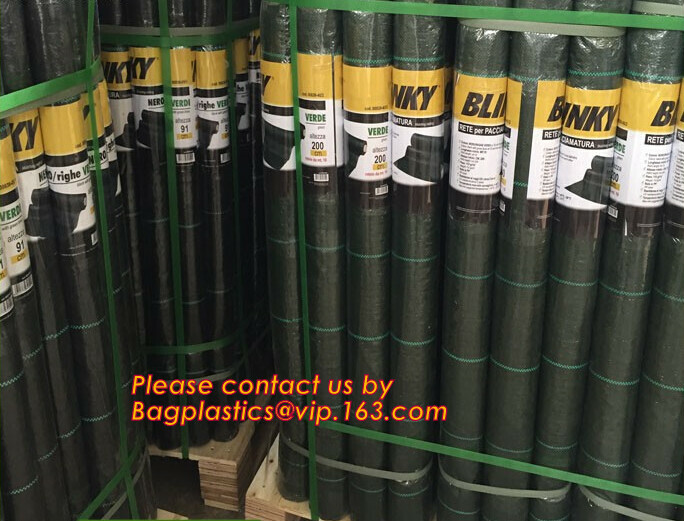 1.Reinforced 140 g/m² green PE gridding fabric ensures the cover durable. 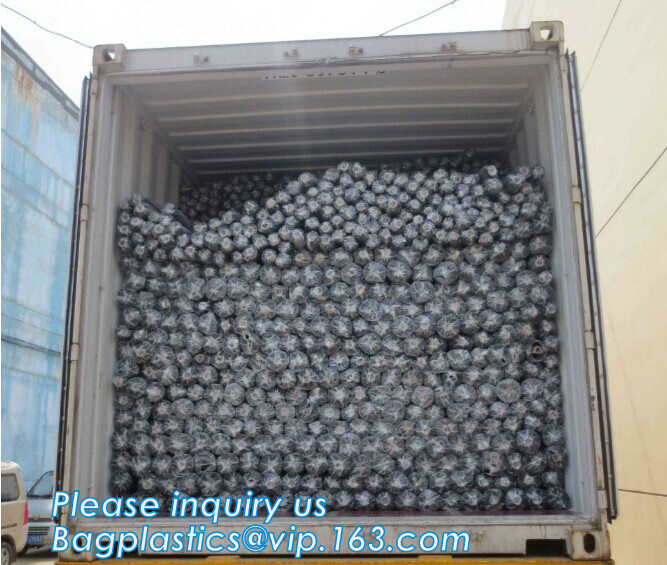 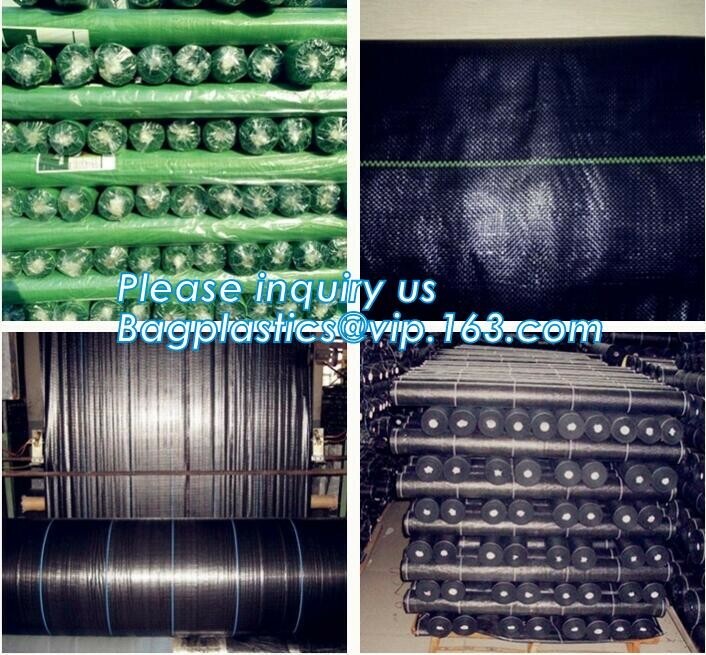 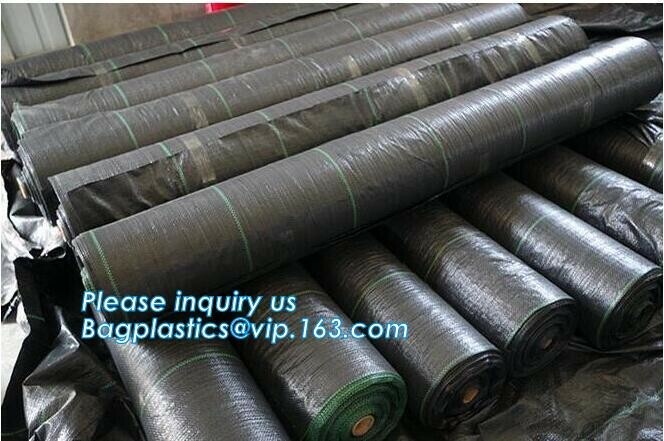 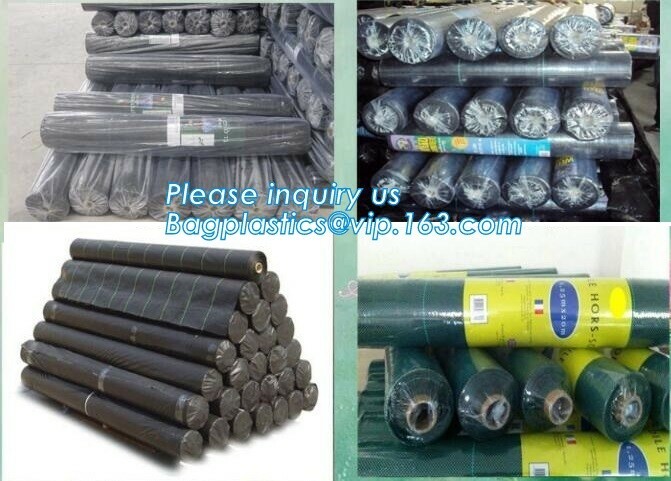 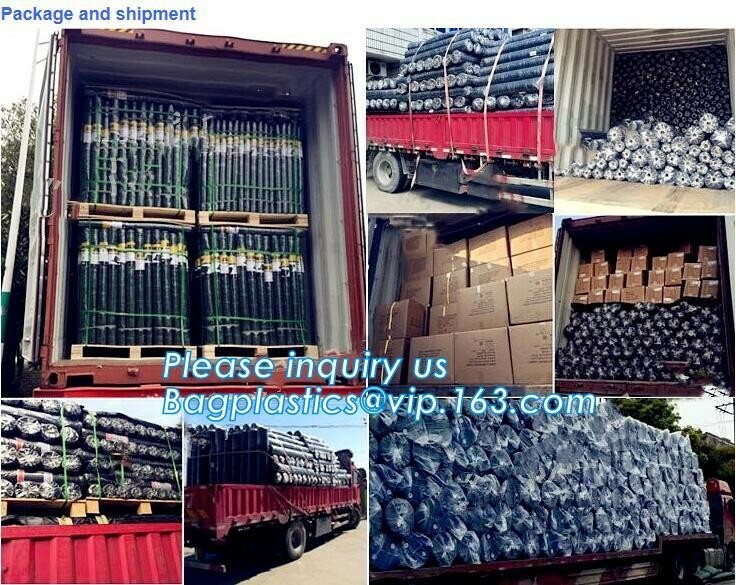 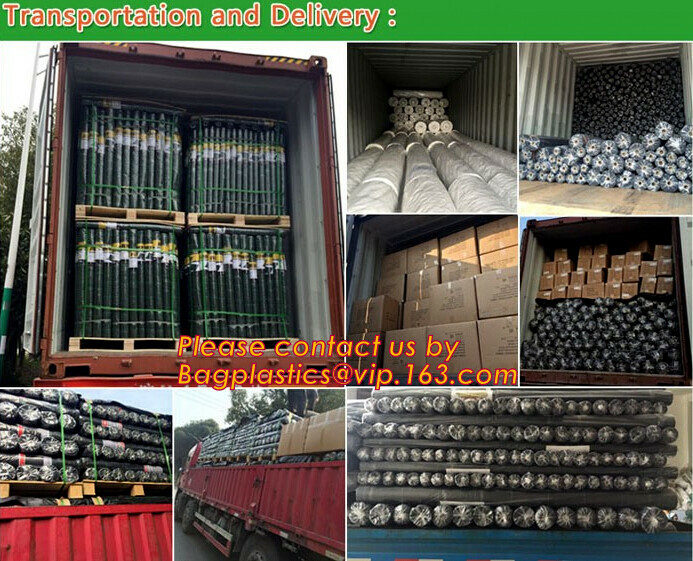 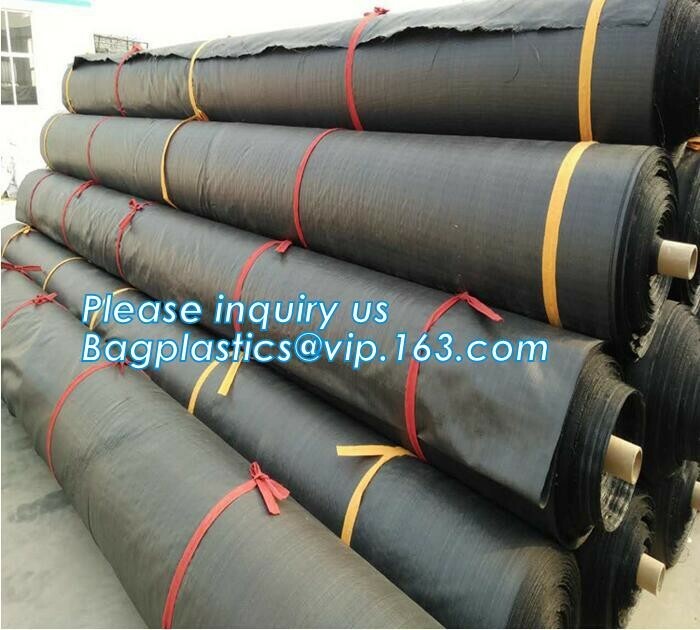 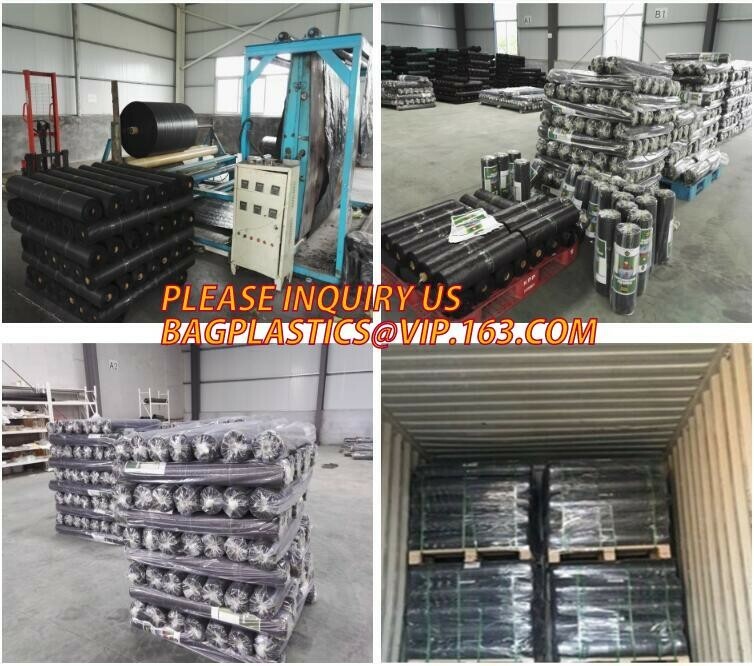 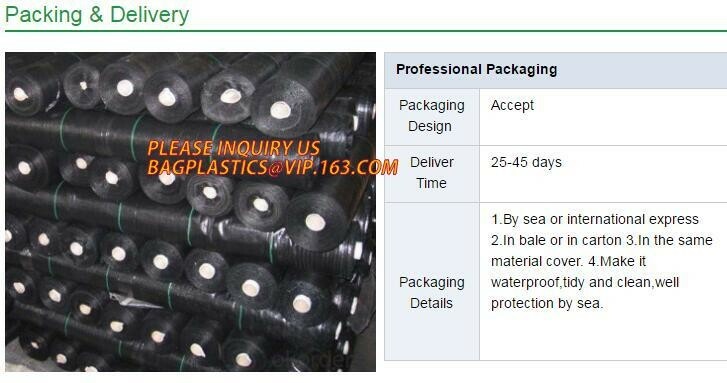 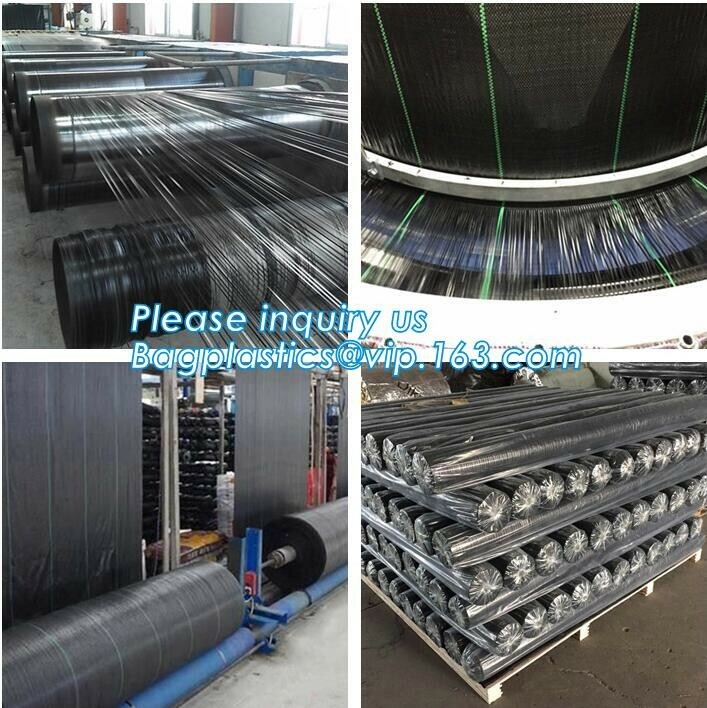 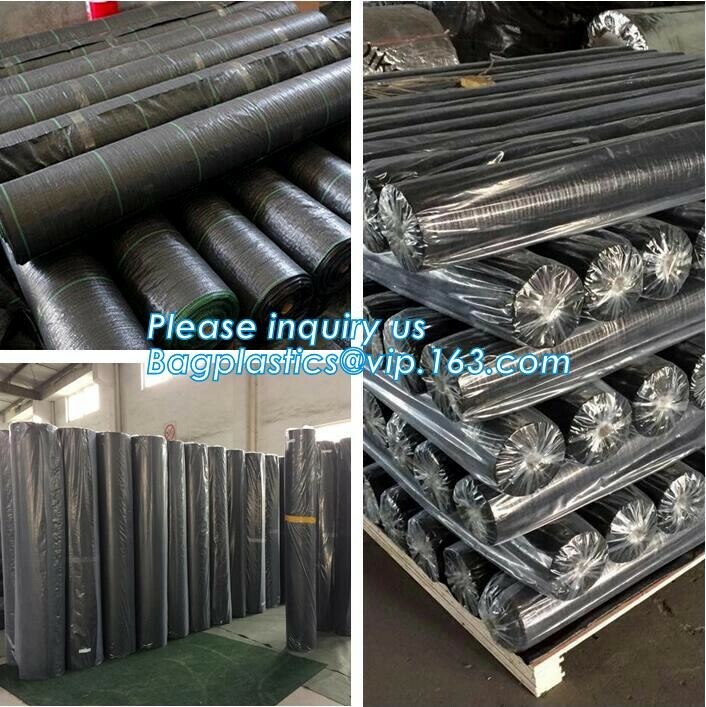 2.Galvanized steel tubes, hardy and durable. 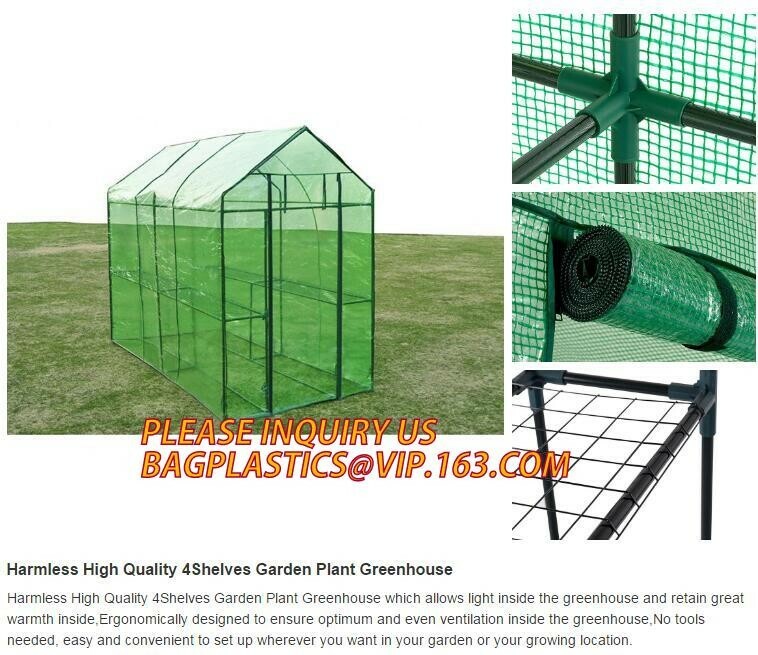 4.Eight roll up windows are convenient for your watching and useful for natural ventilation. 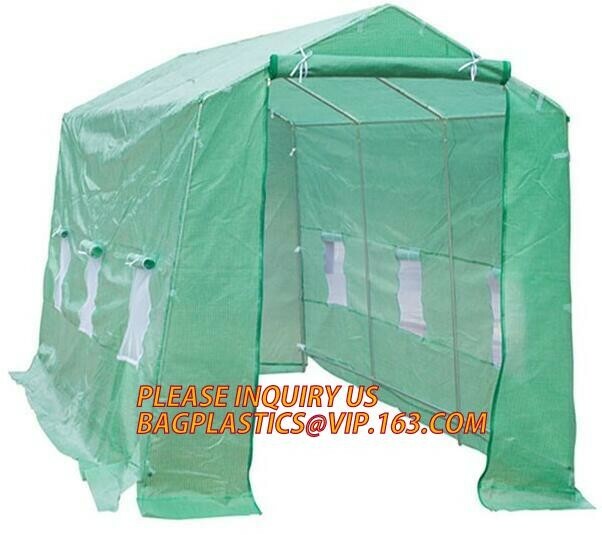 6.Double zipped door with galvanized metal zip heads which are not easy to be blocked. 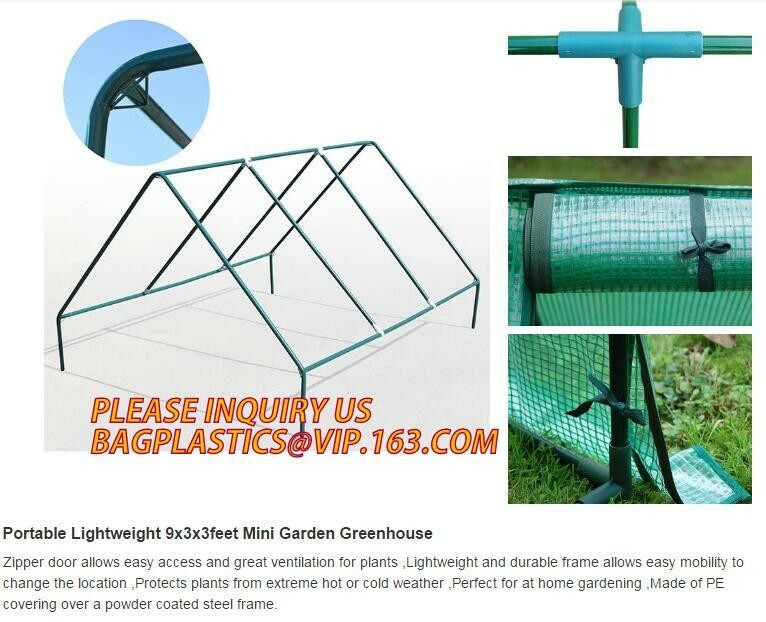 7.Diagonal storm bracing bars, digging ropes nails cross-bars and connecting rods inside make the whole configuration more firm and everlasting. 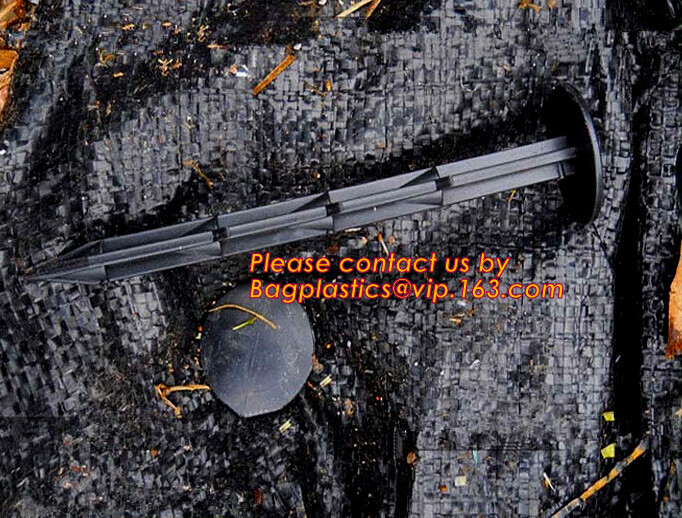 8.Full steel connectors are definitely stronger than plastic. 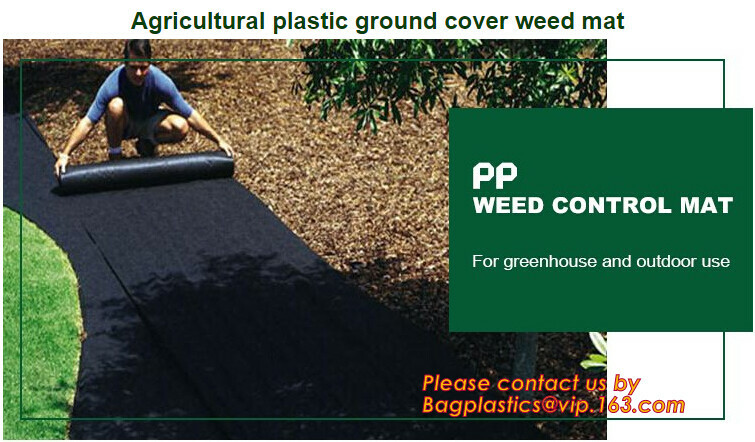 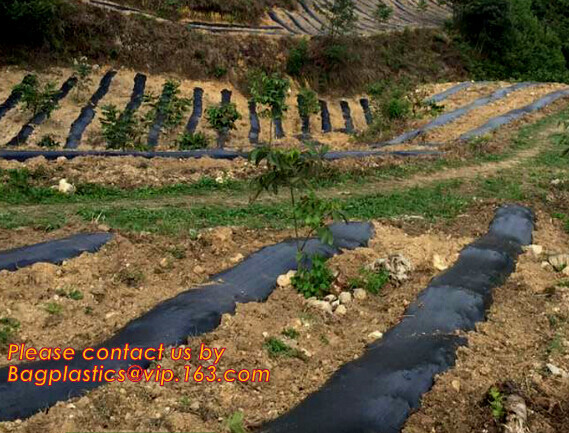 9.At bottom, there is 20cm redundant cover for that soil can press on it to prevent storm and ensure obturation. 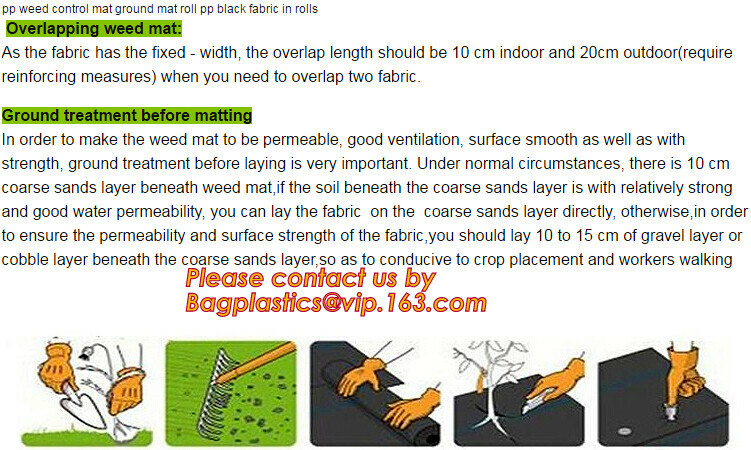 10.Easy assembly and easy to clean. 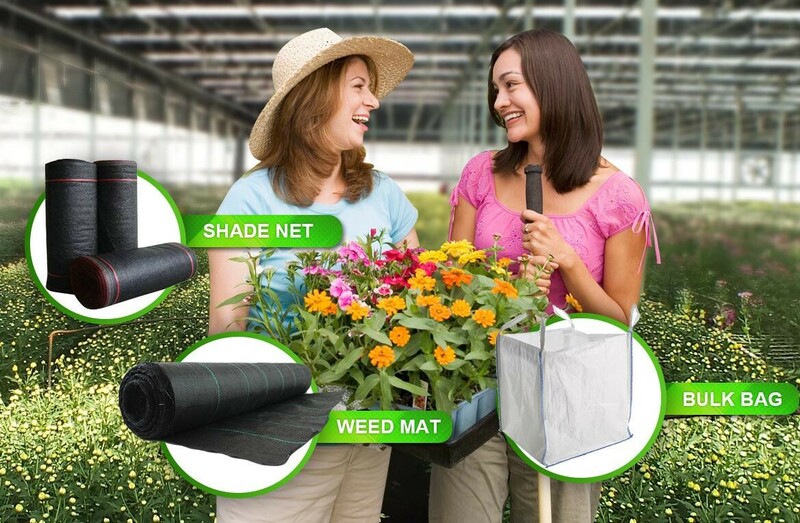 Easy to use: Our Garden Planter Bag makes planting, growing, and harvesting your vegetables easier. 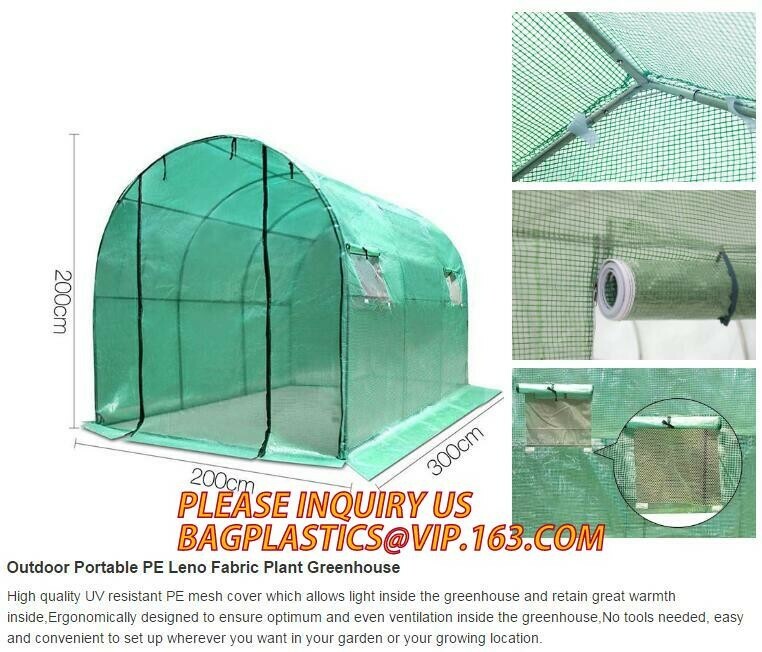 The access flap eliminates the need to remove the plant & soil and allows easy access to your homegrown produce. 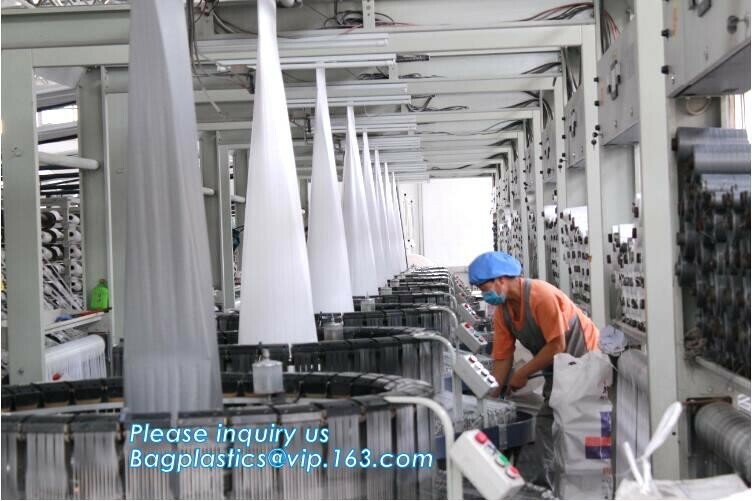 Not only are our bags built to last, they are built to be used time-after-time and season-after-season! 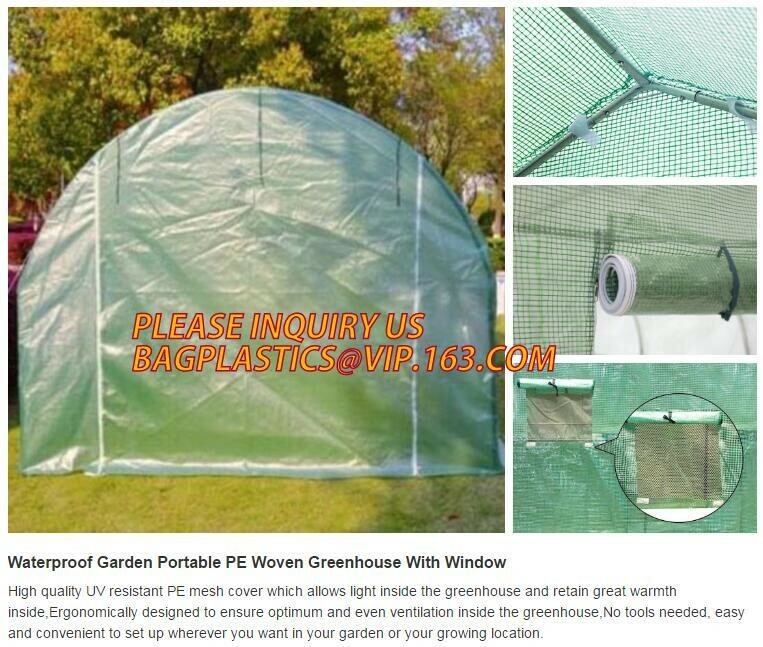 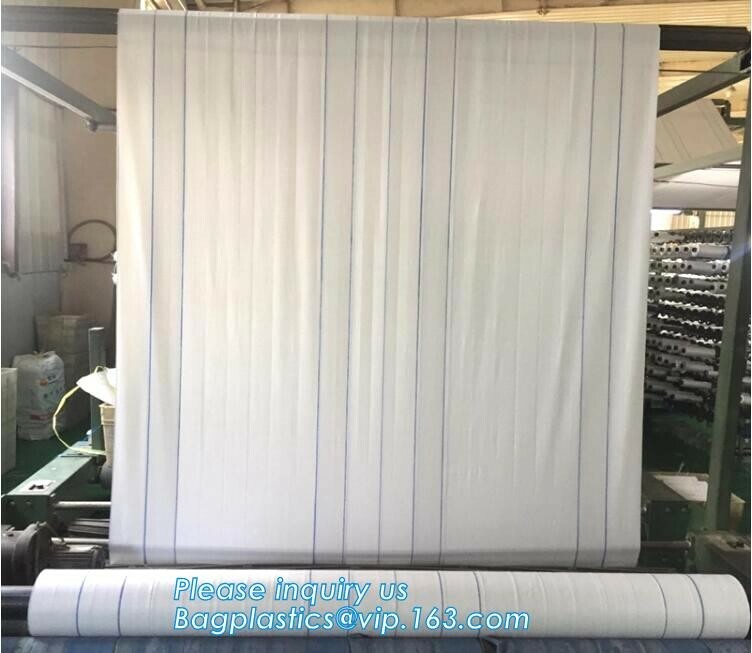 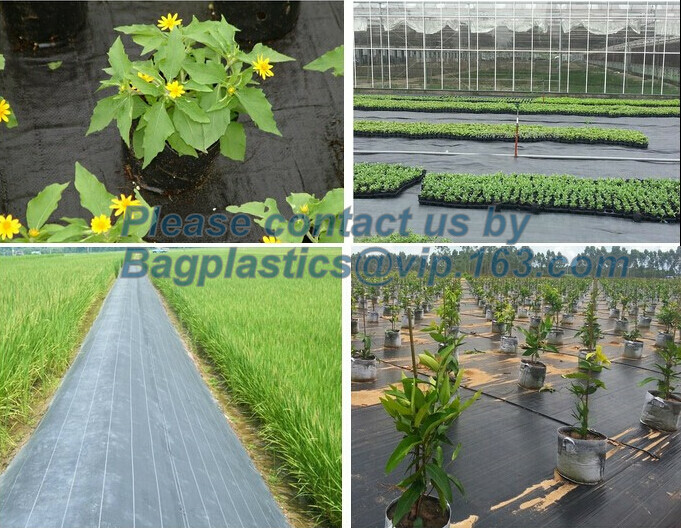 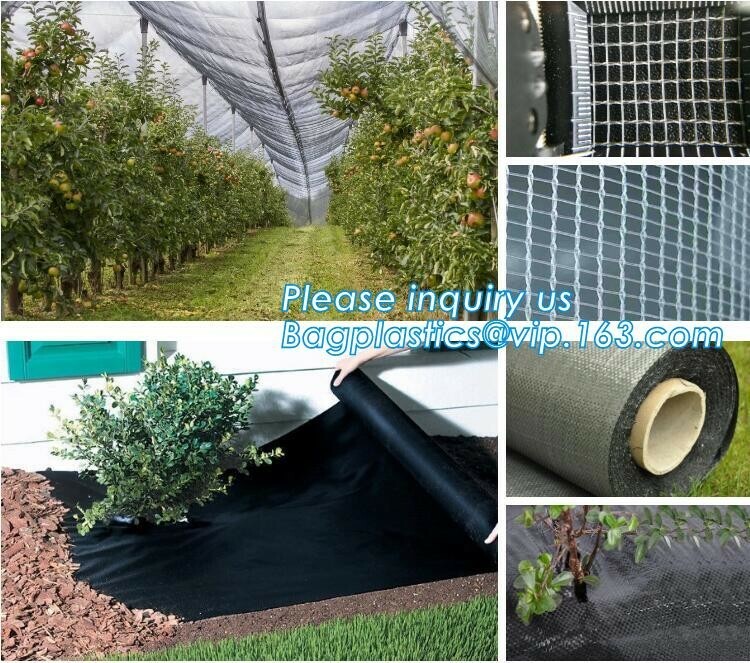 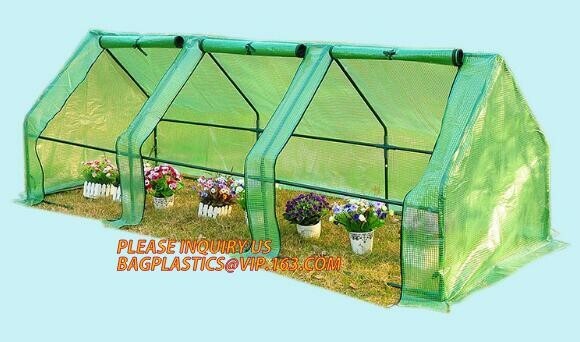 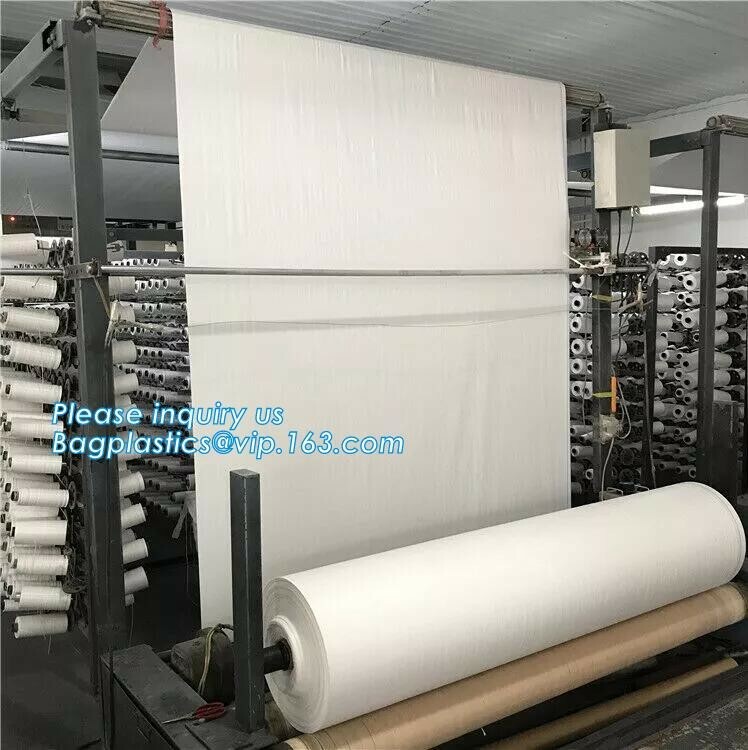 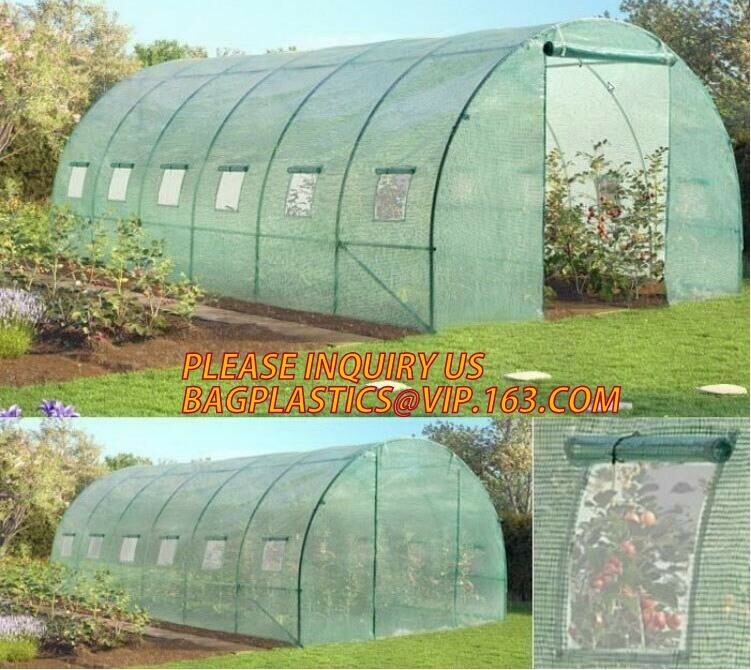 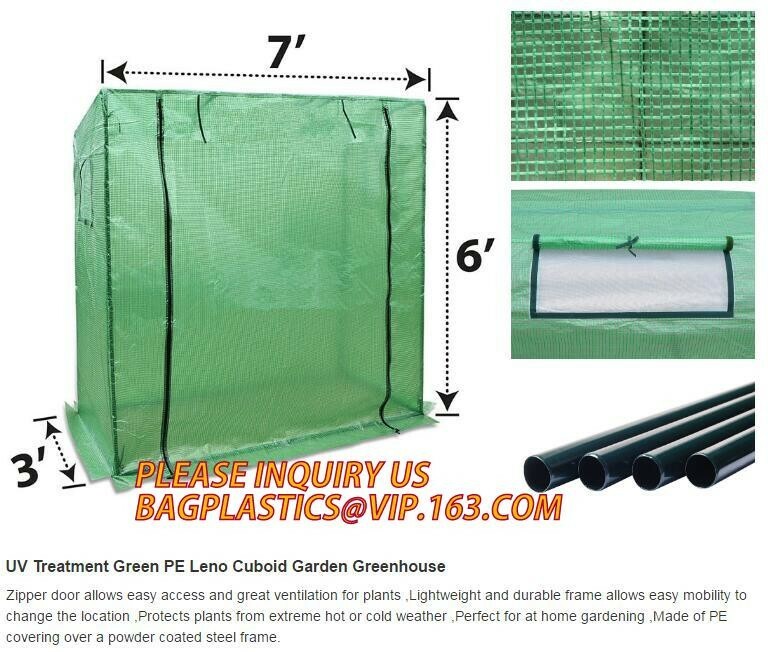 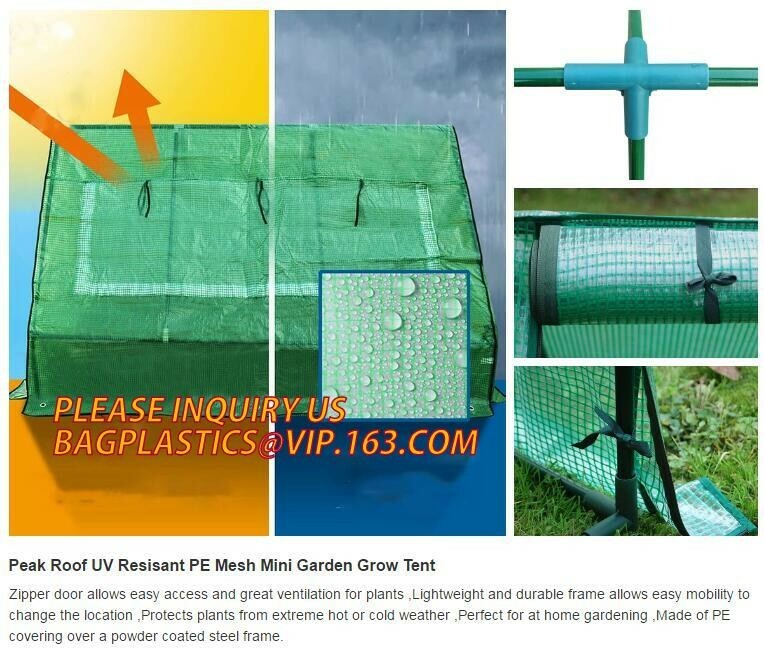 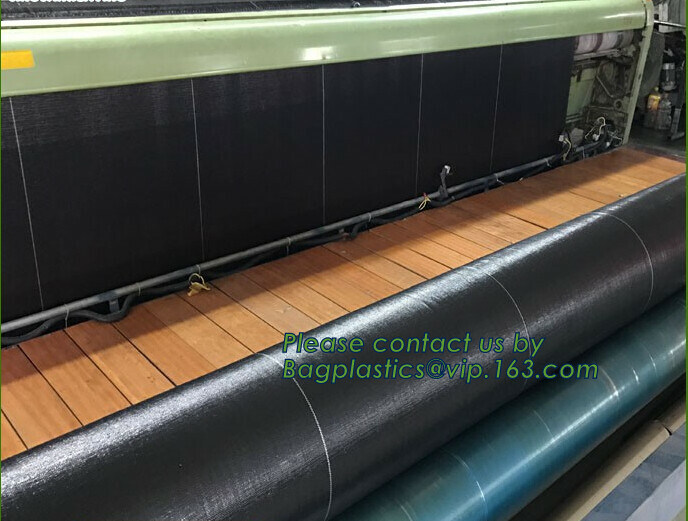 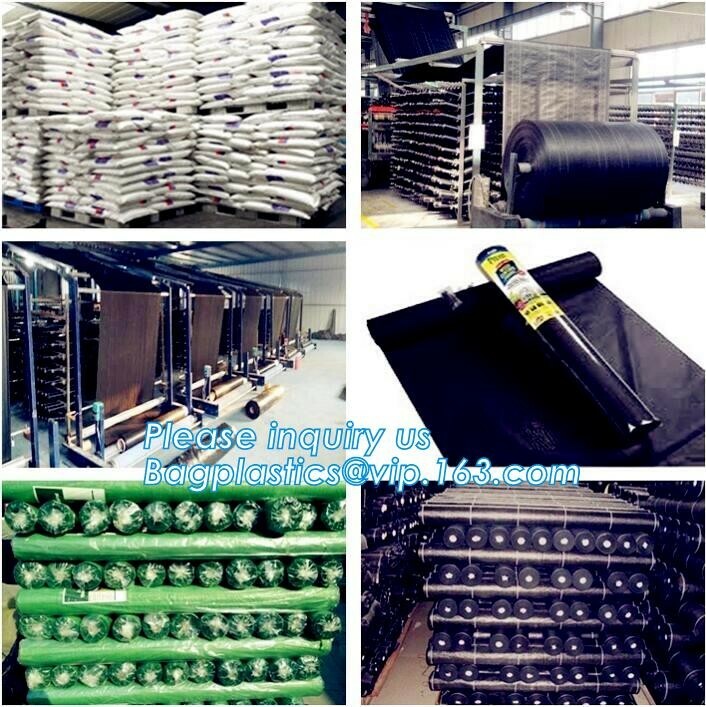 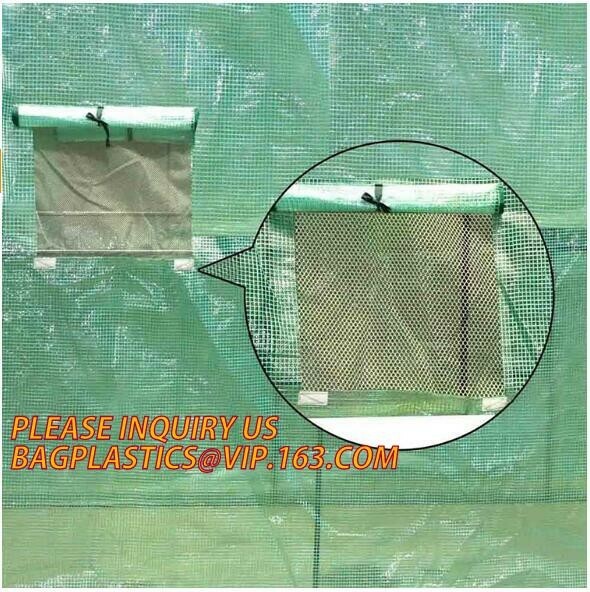 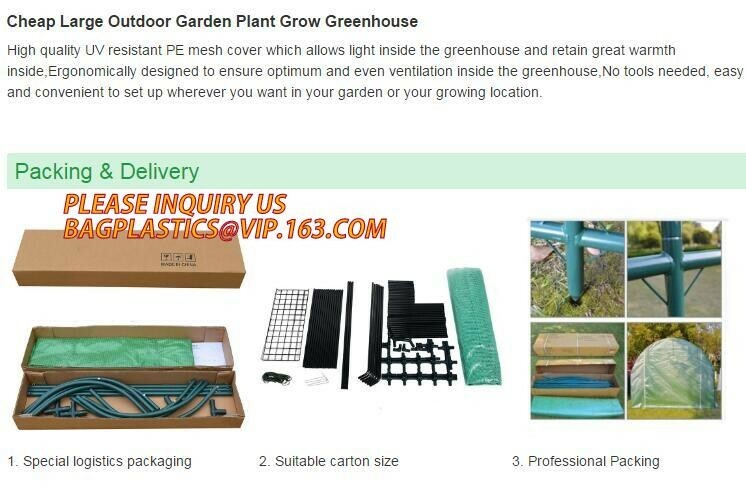 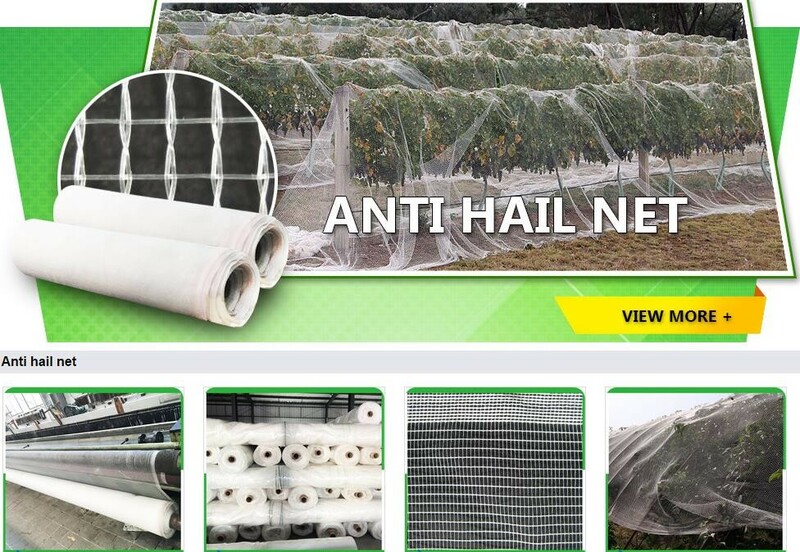 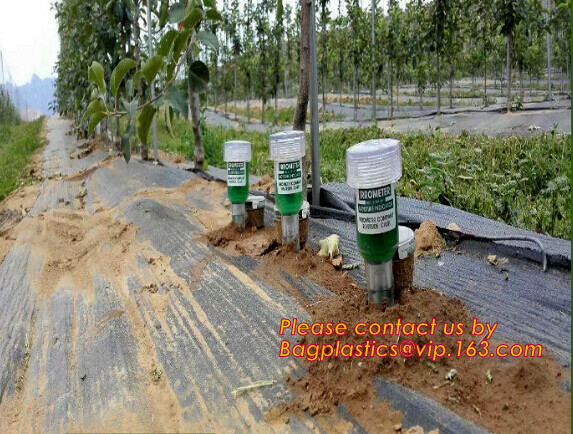 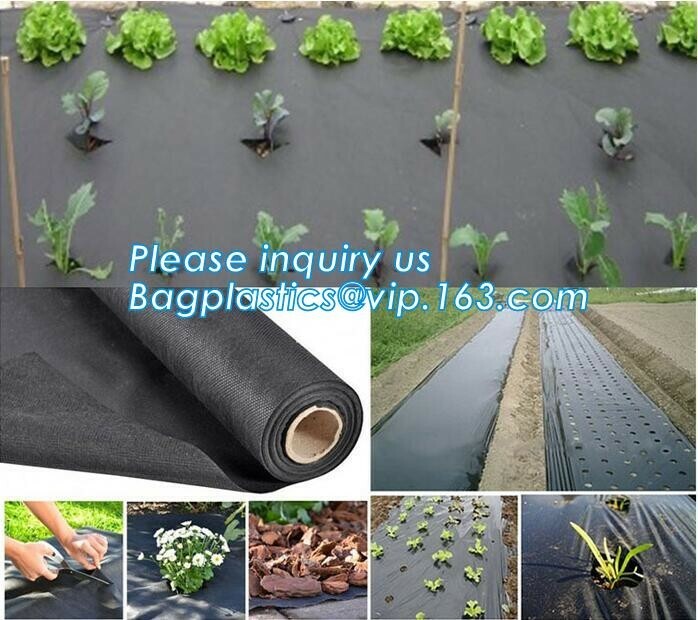 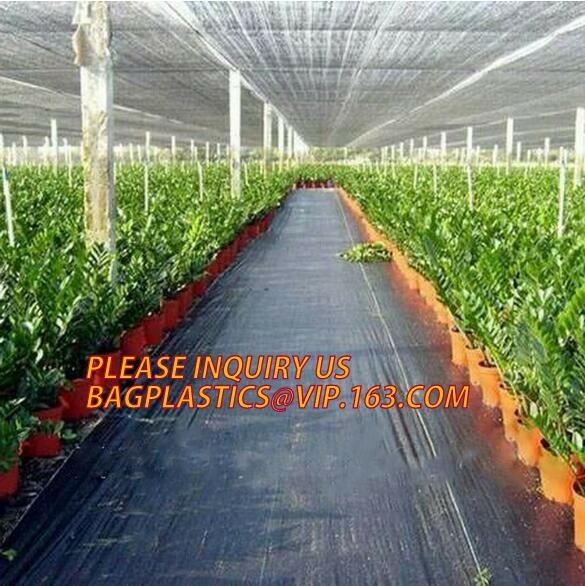 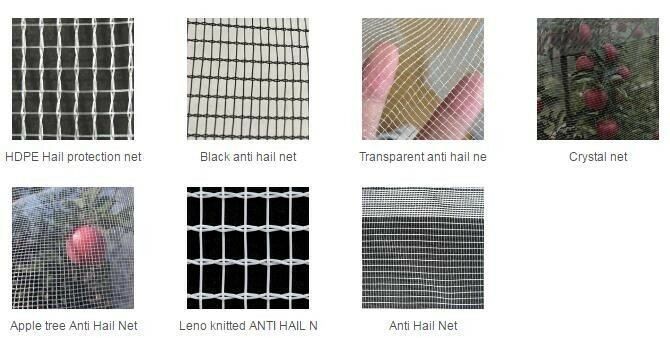 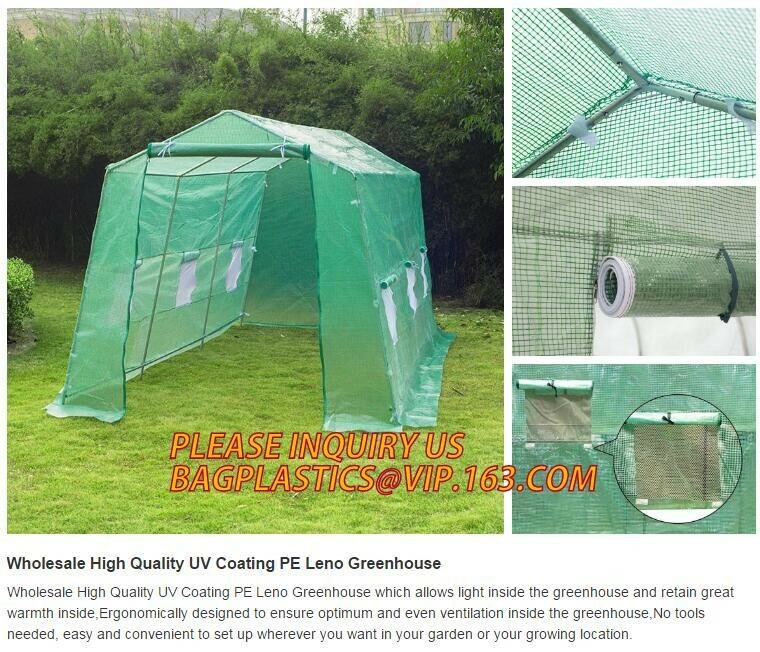 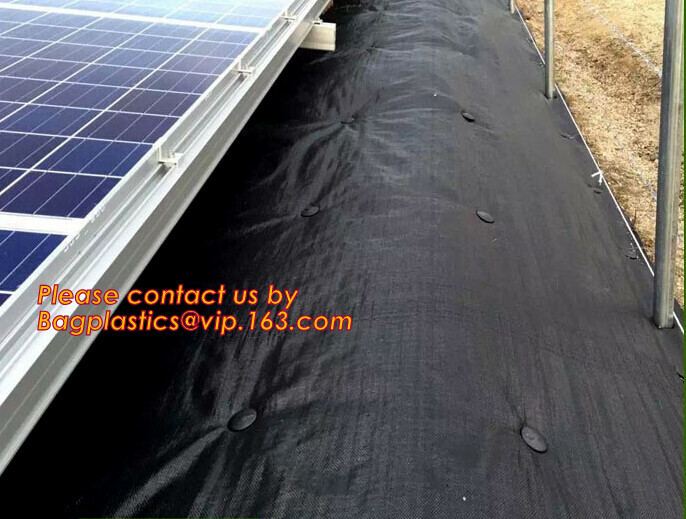 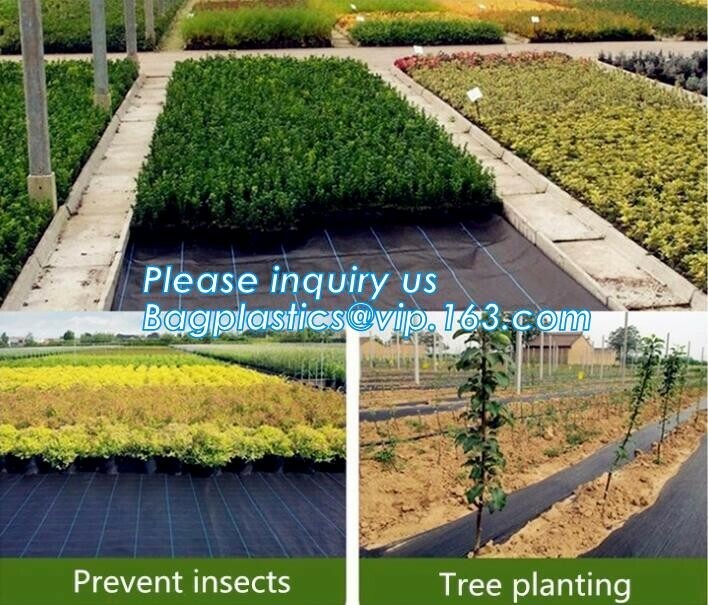 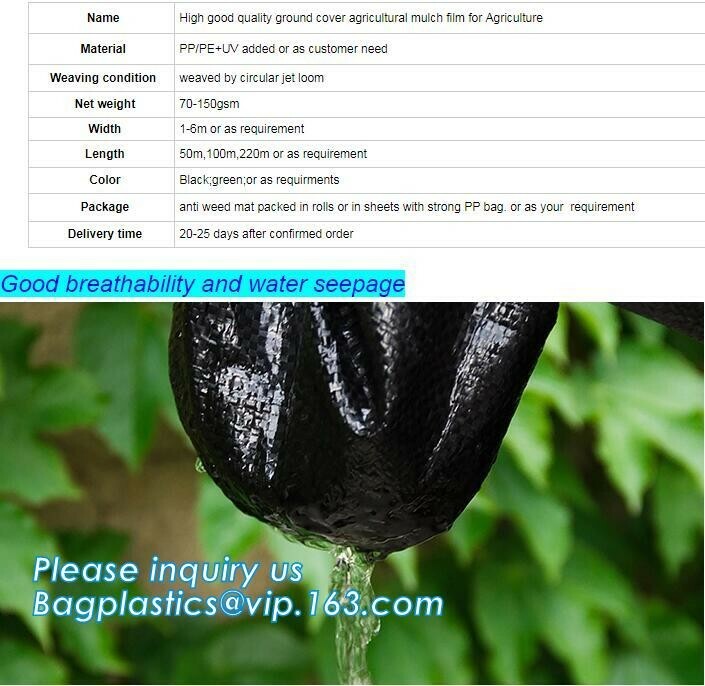 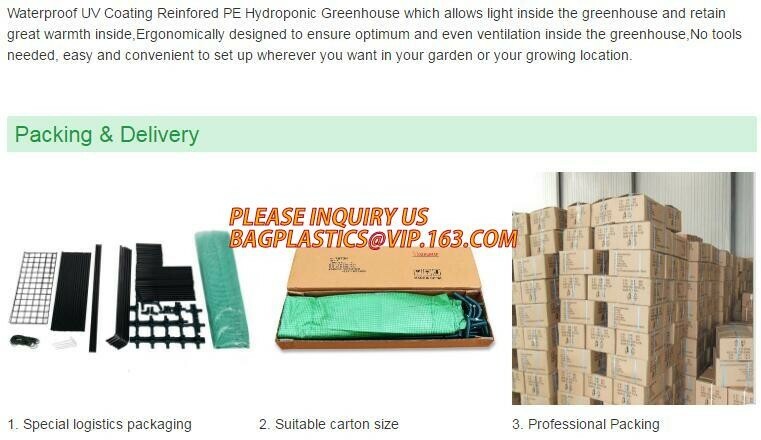 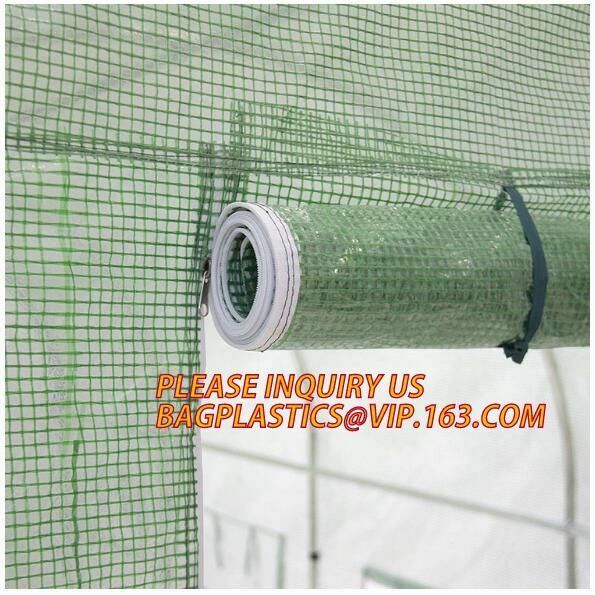 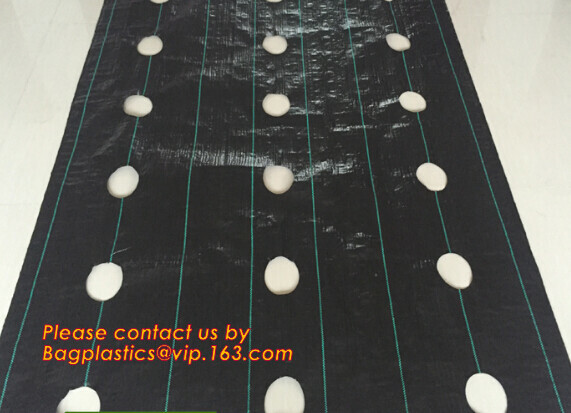 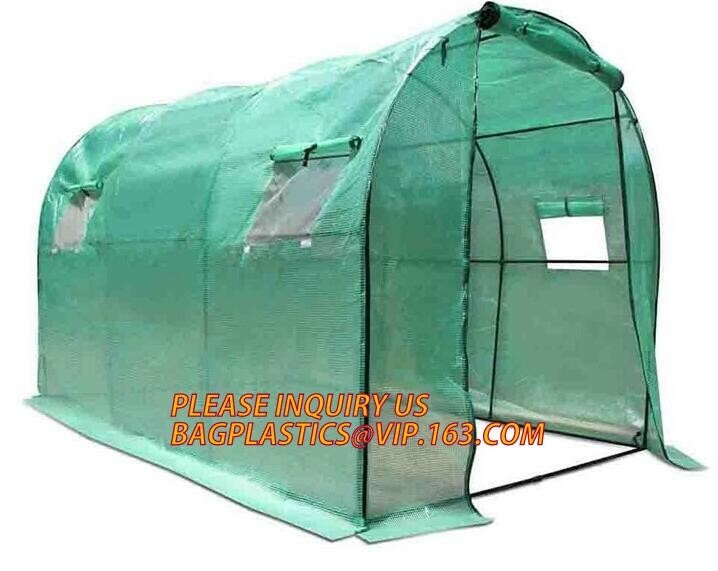 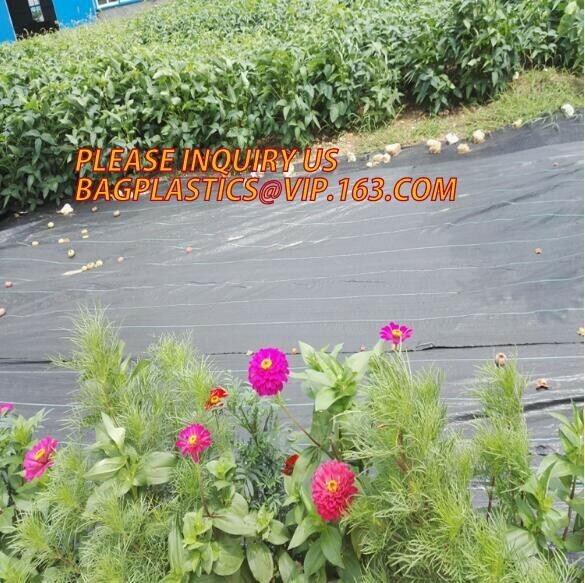 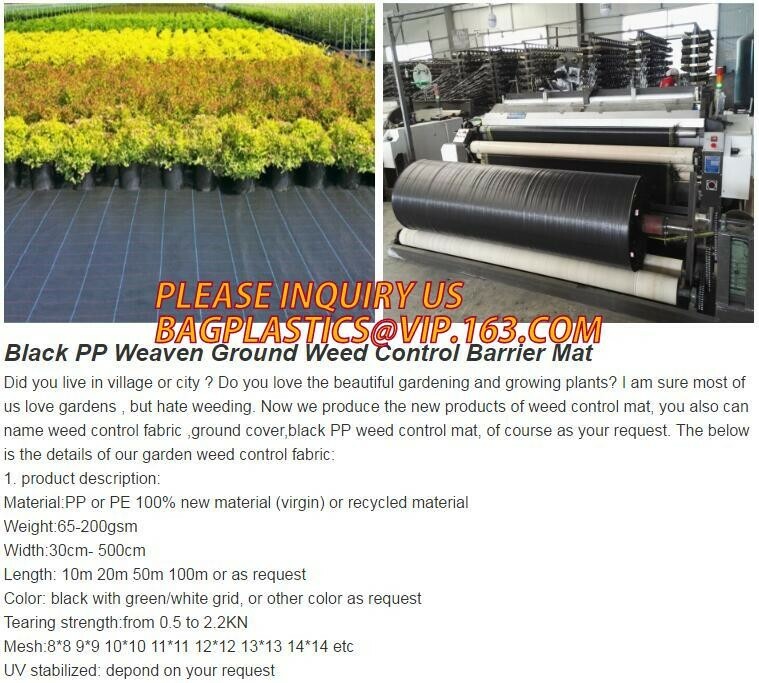 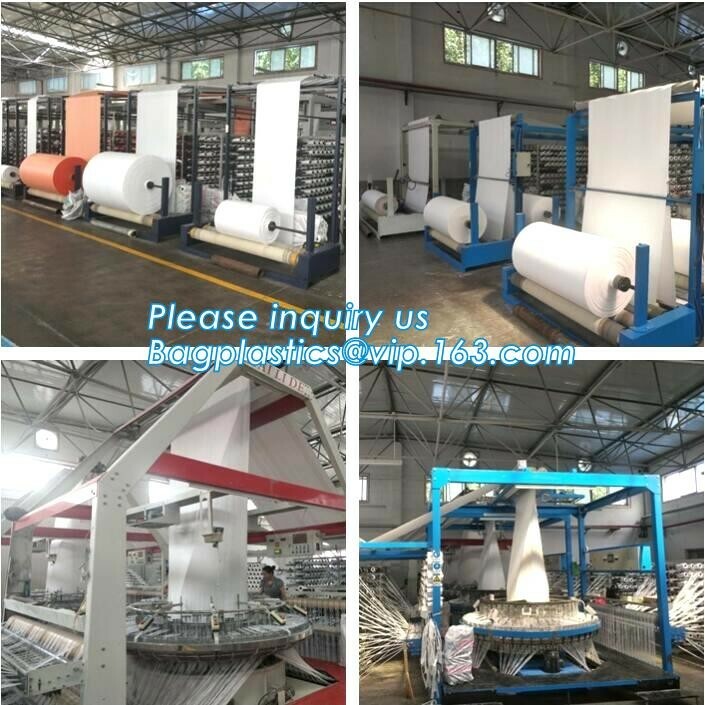 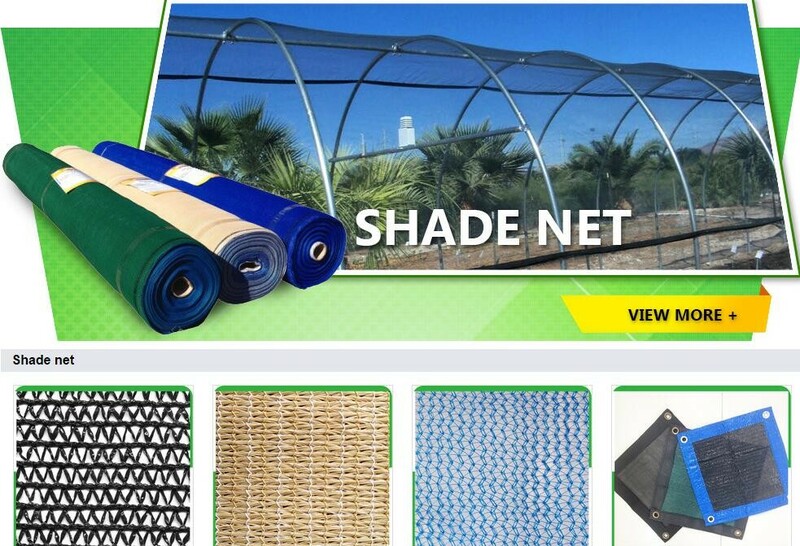 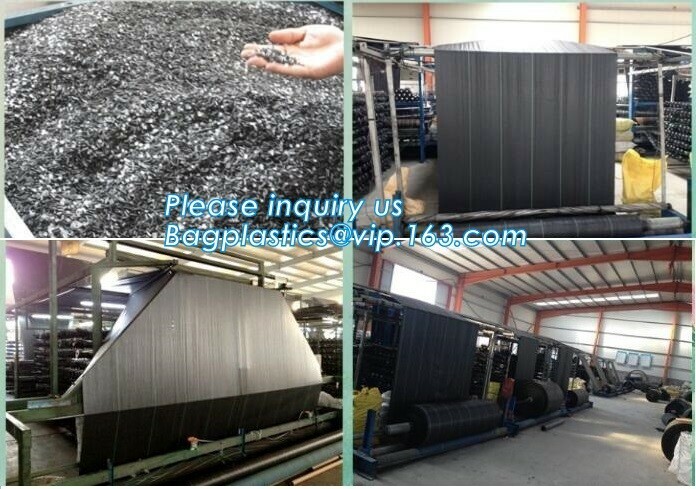 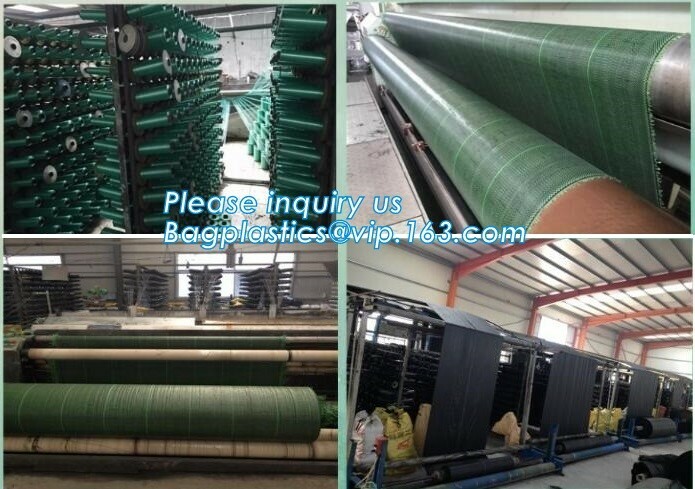 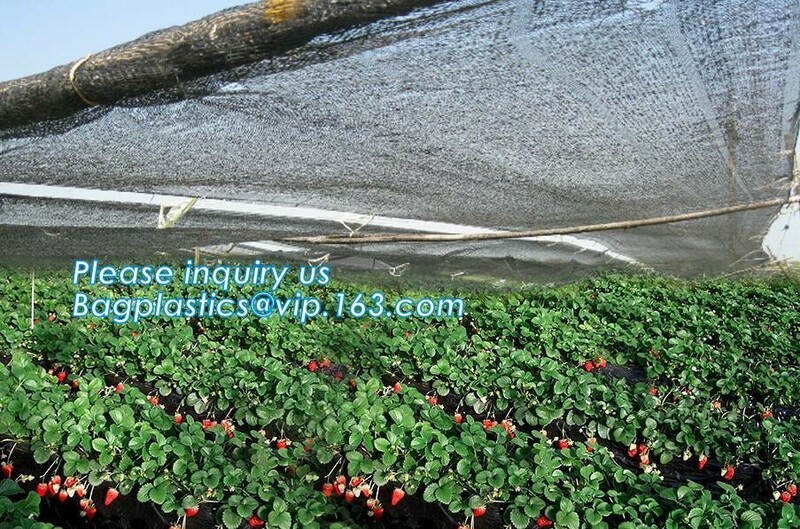 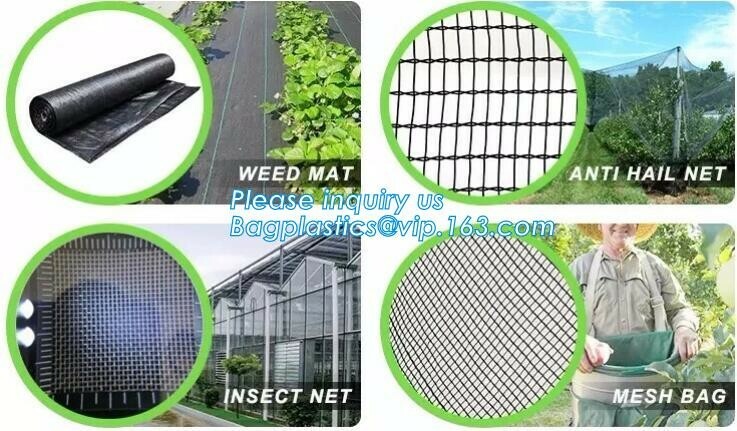 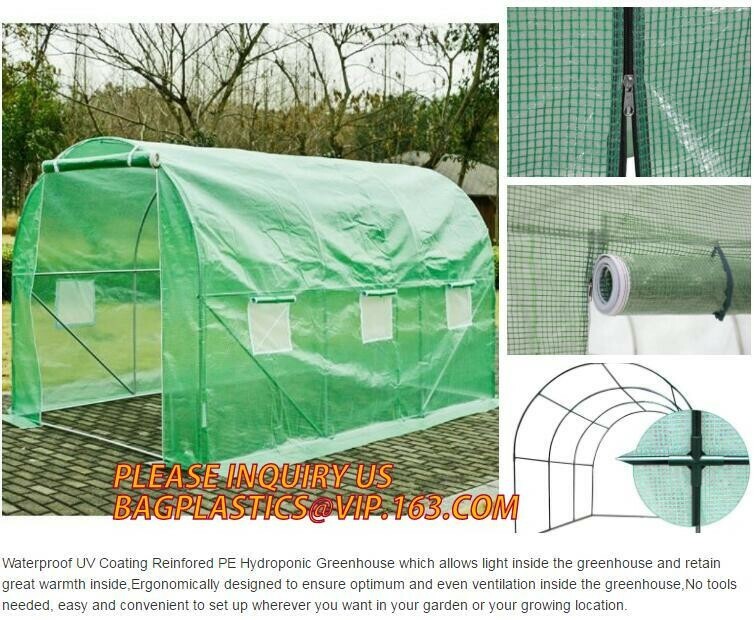 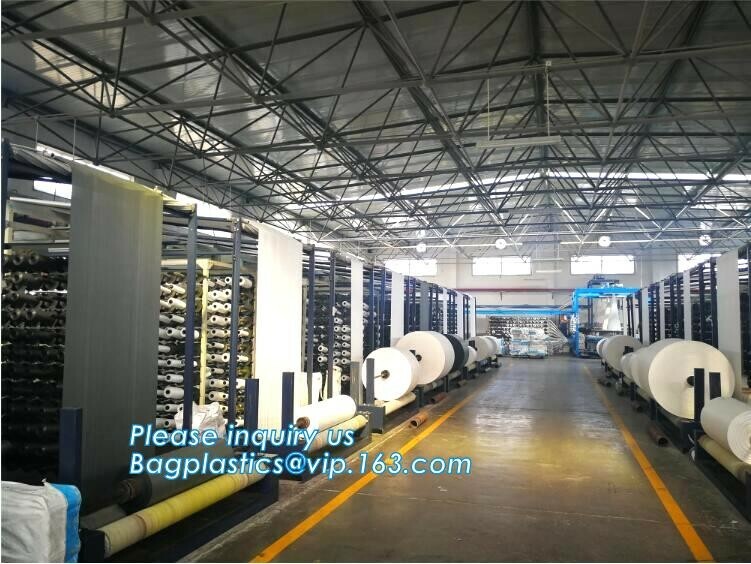 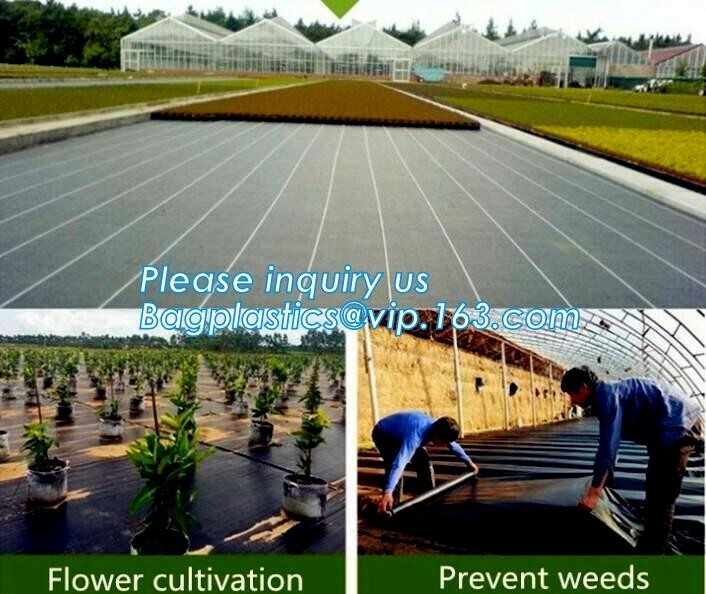 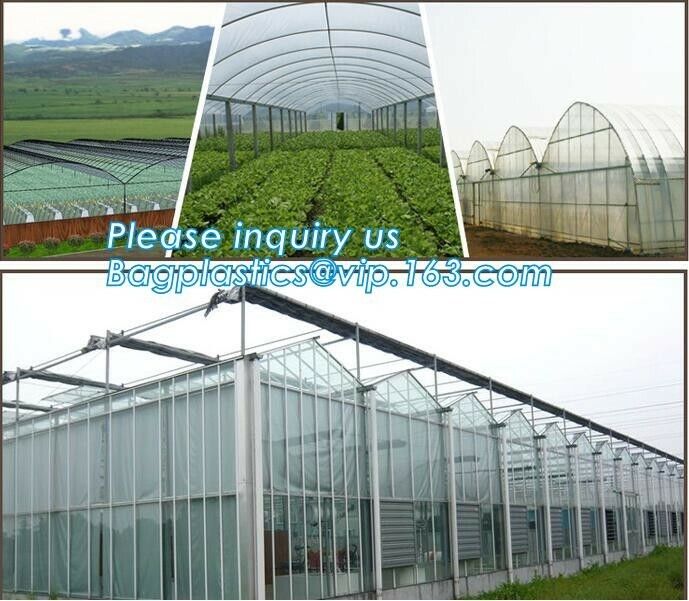 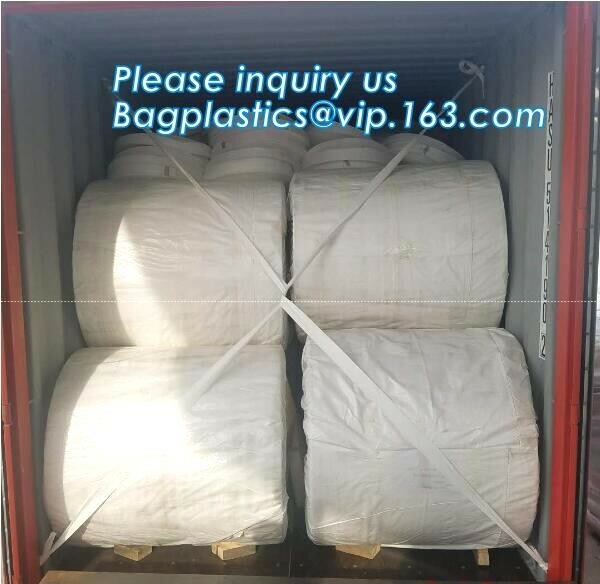 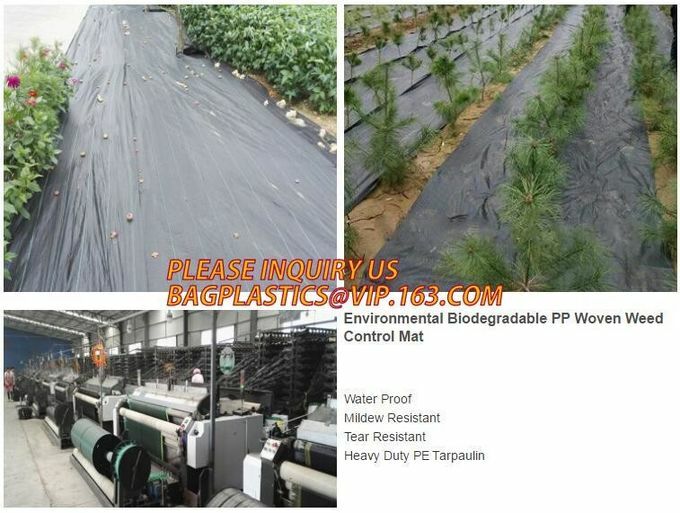 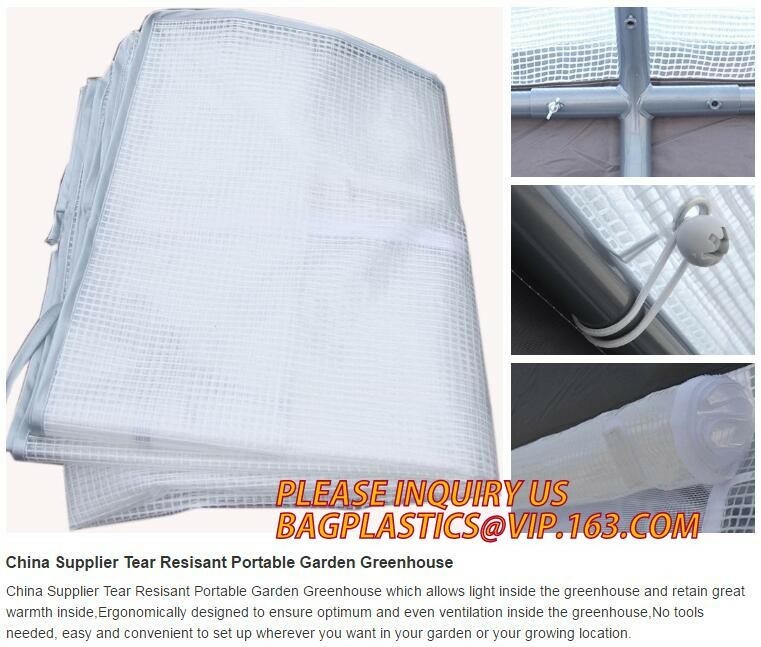 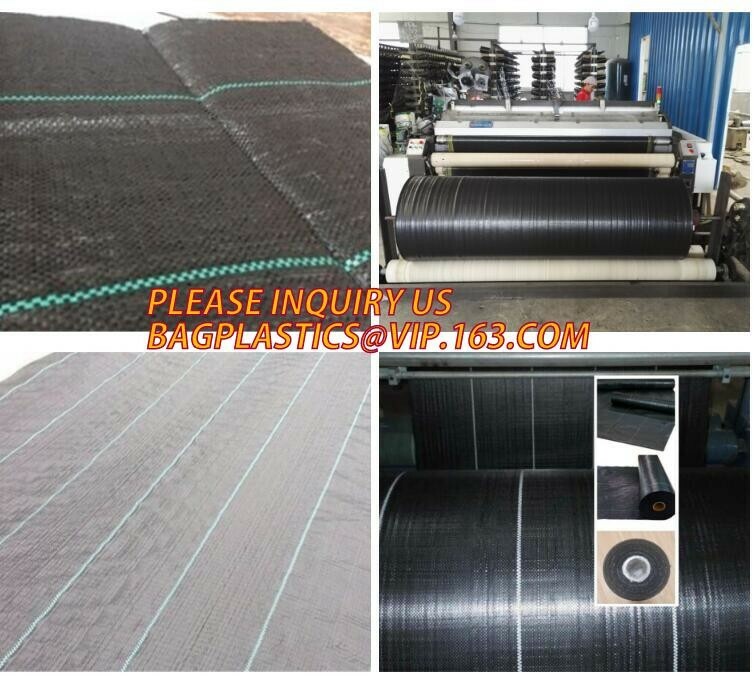 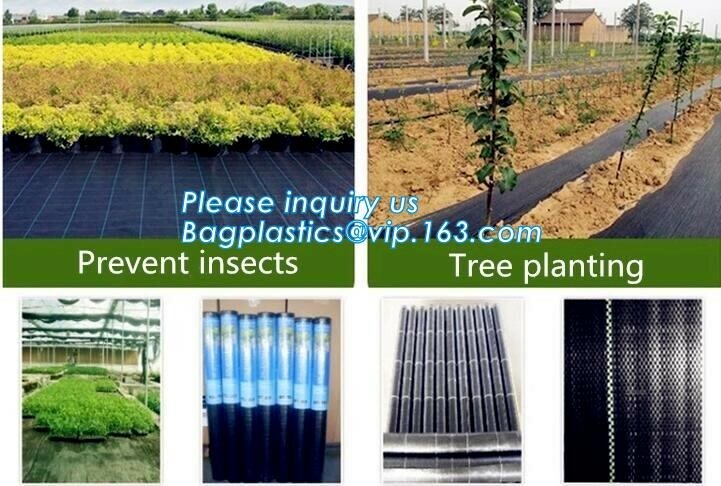 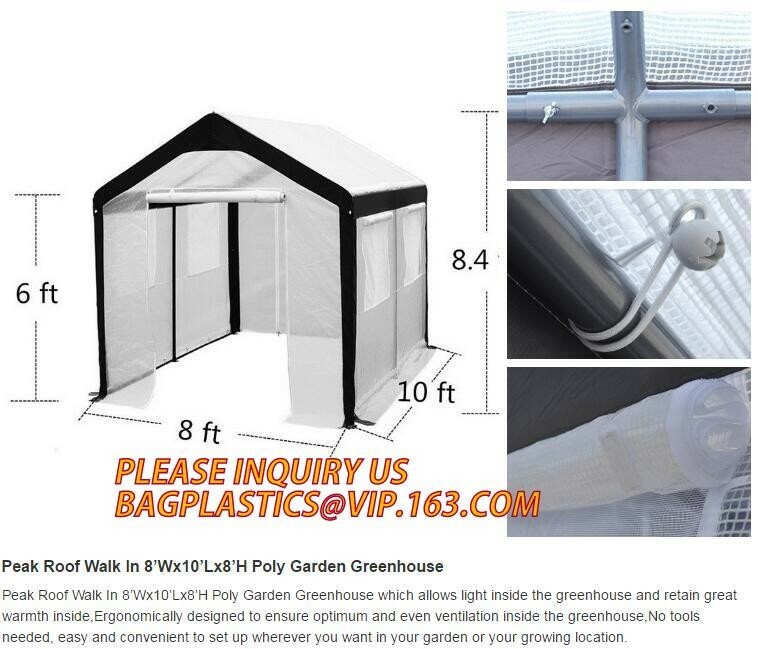 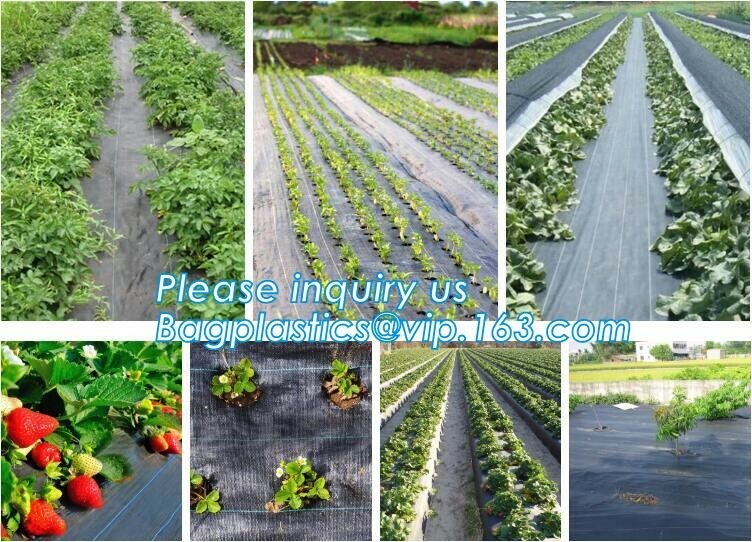 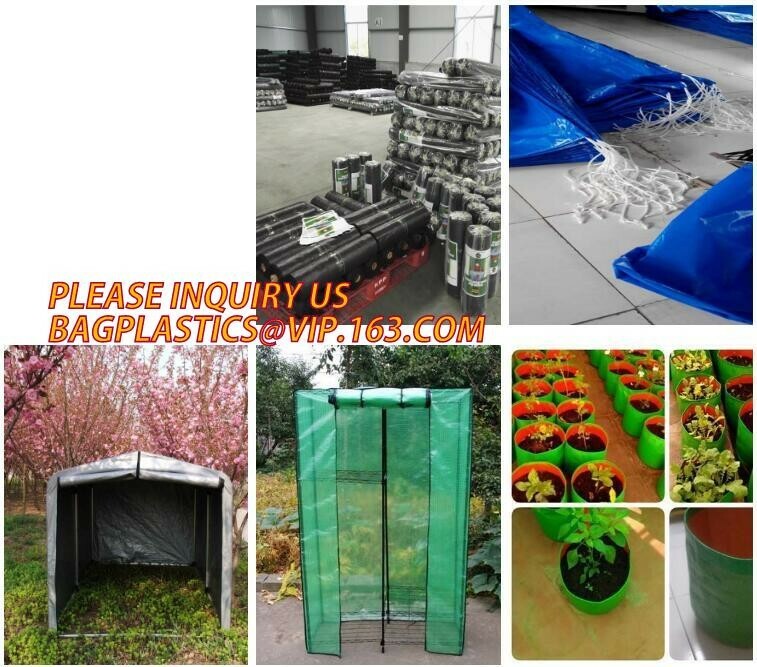 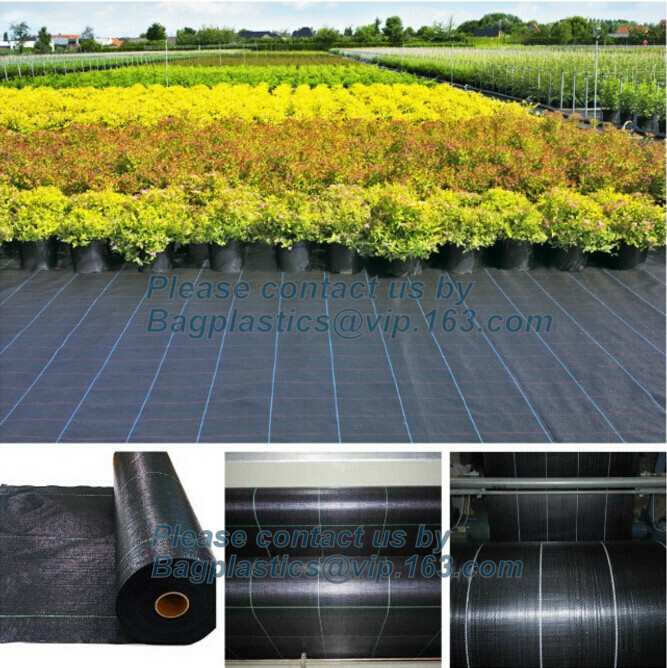 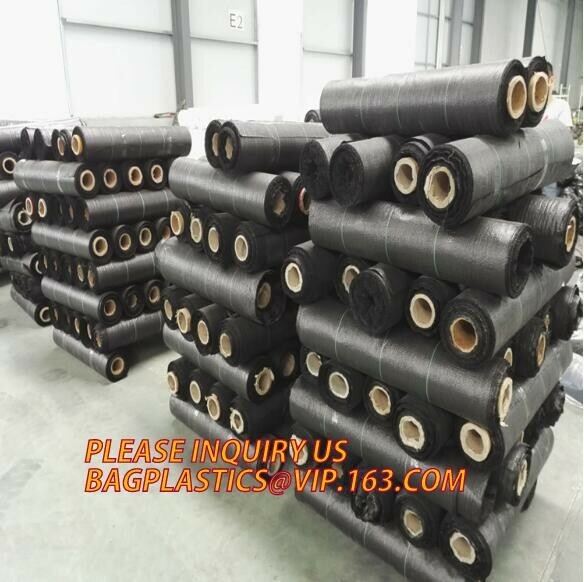 Breathable window design: The special design of the small window makes the bag more breathable.The bottom of the drain holes are helpful to promote heat dissipation and excess water evaporation.Also,you can harvest the fruits via the small window. 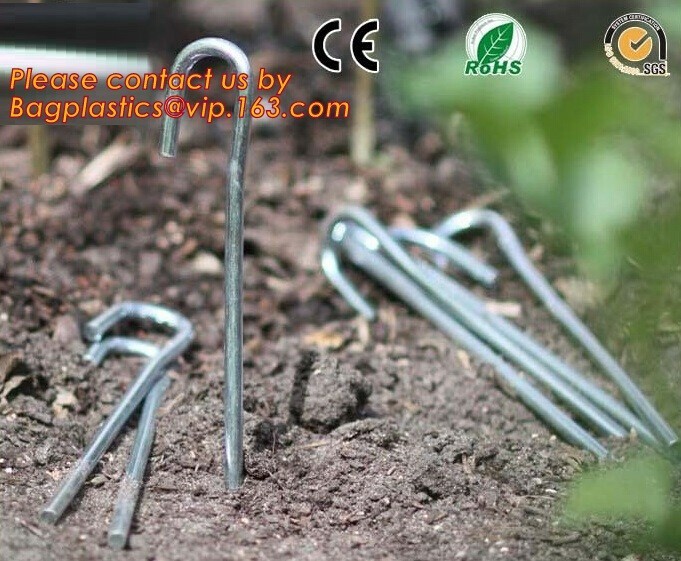 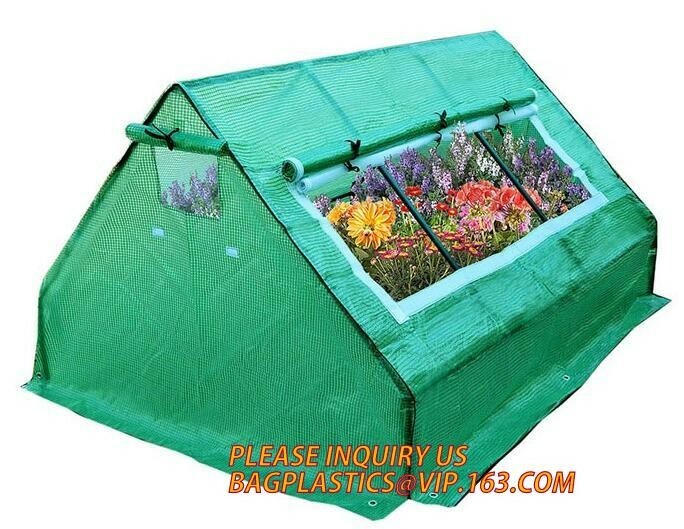 The grow bagsare suitable for growing tomatoes, potatoes, carrot, onion and plants. 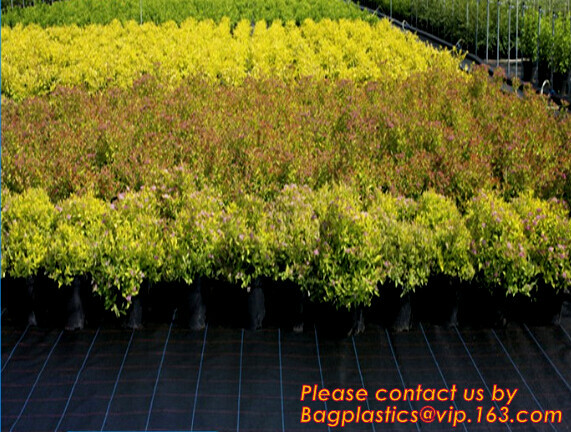 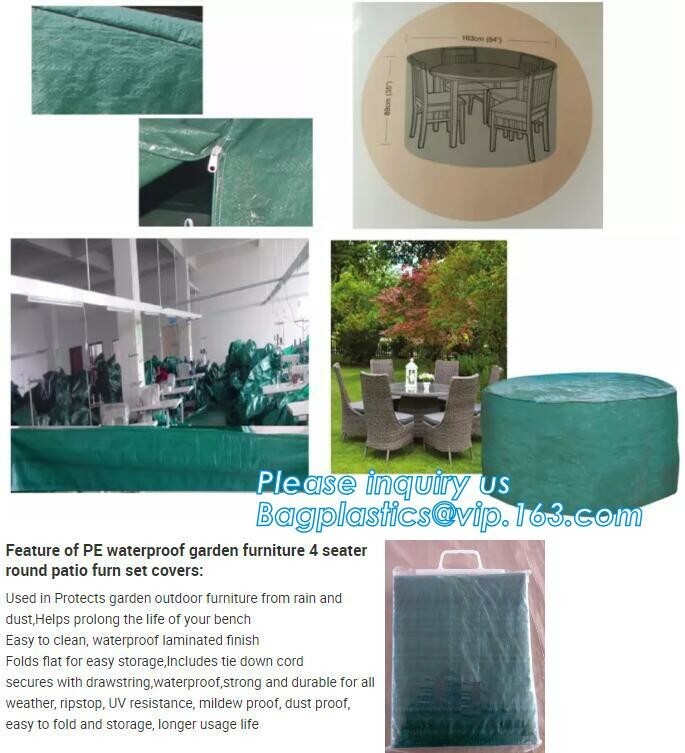 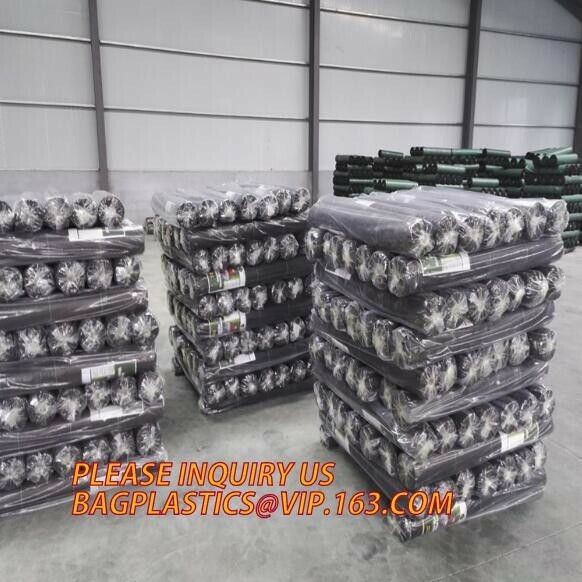 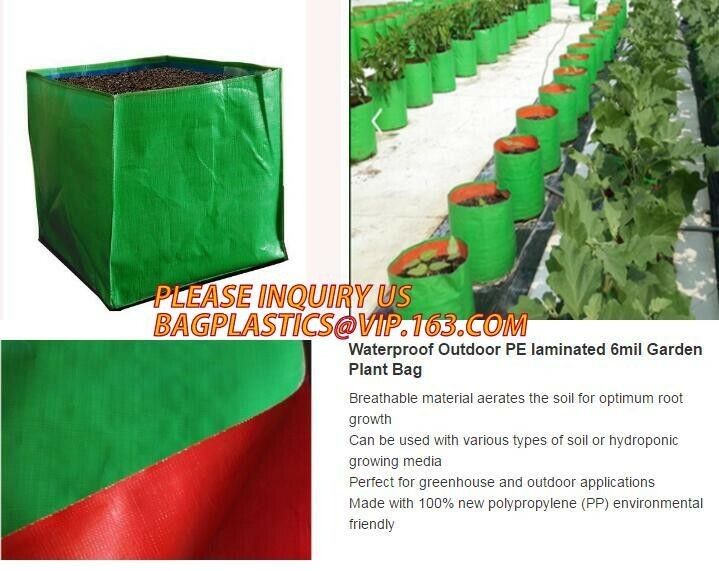 These garden planter bags are also suitable for indoor and outdoor planting. 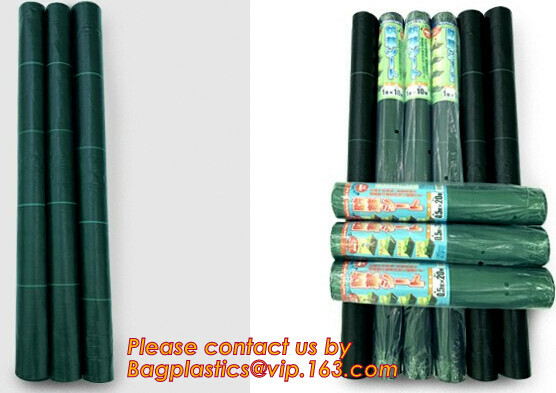 They are ideal for patios, small gardens, balconies, sun rooms, and any outdoor space. 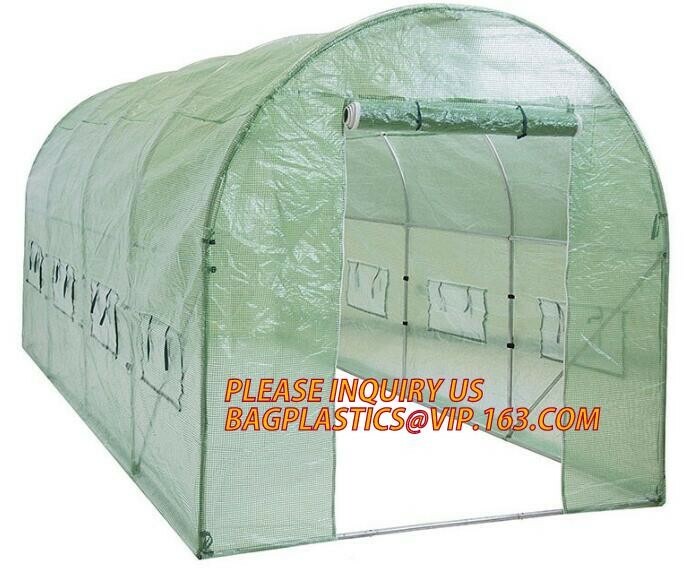 Place 3-5 seed potatoes in a cool,light place for about 2 weeks. 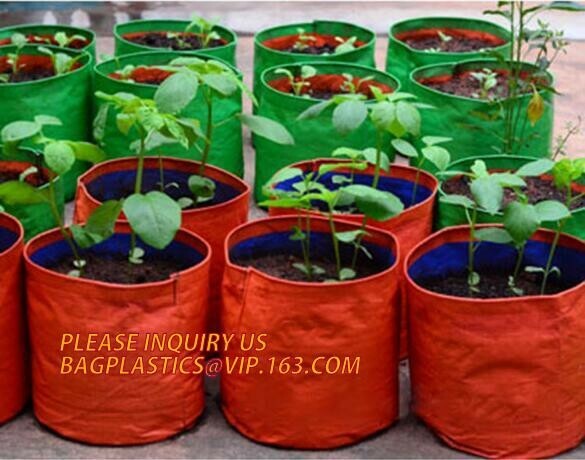 When they start to sprout 1'' long,plant them in the planter bag. 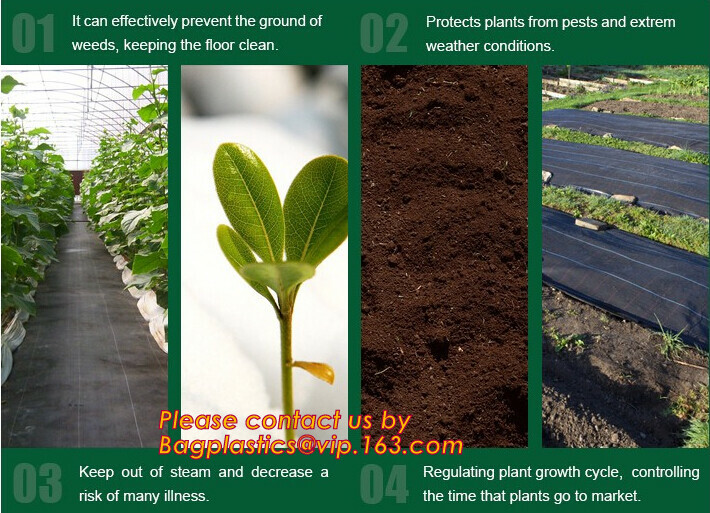 Plant the seed potatoes with sprouts facing up about 2'' down. 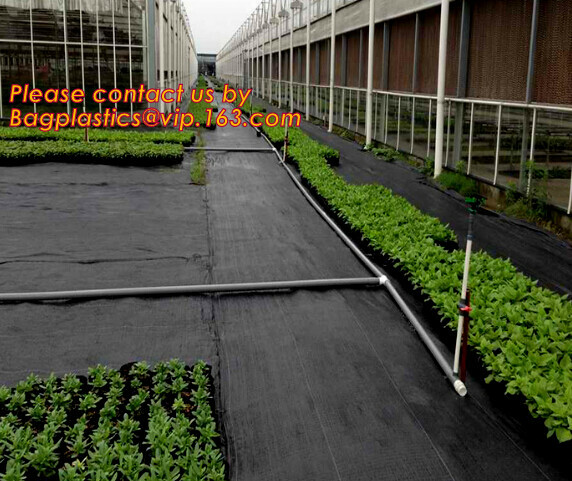 When sprouts are 3'' H add more planting mix and water. 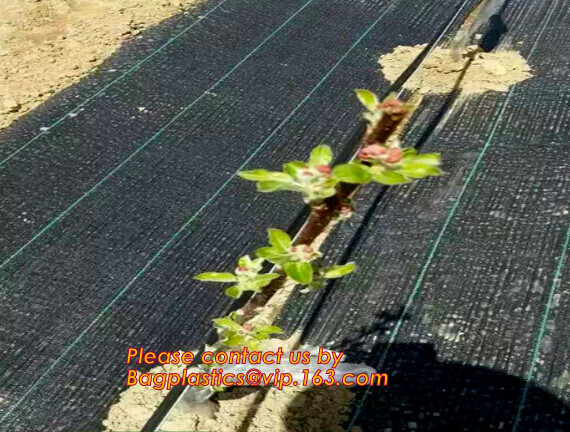 Repeat process until shoots/mix are 1'' from top of planter. 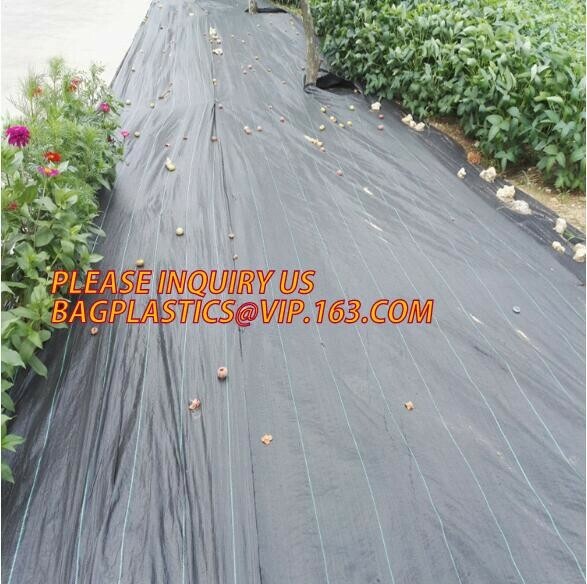 In about 2-3 weeks,after the flowers have fallen off,your potatoes are ready to harvest. 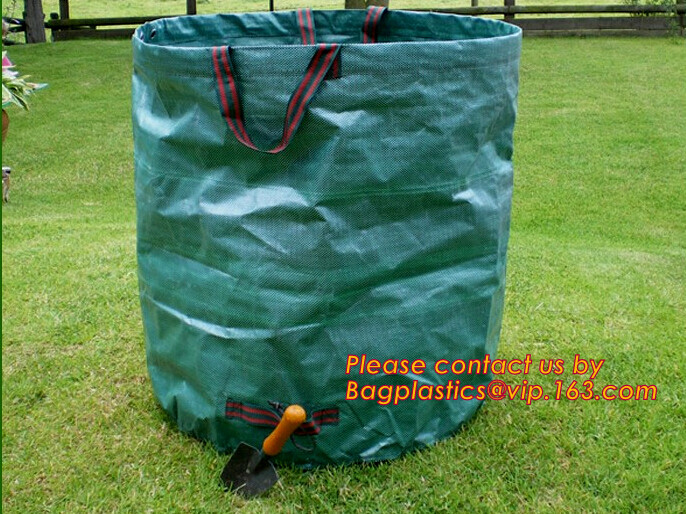 How to Use 1.Loosen the compost in the bag by shaking and kneading it like a pillow. 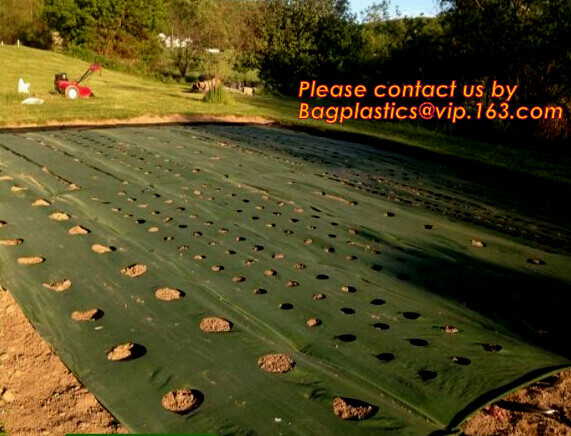 Shape the bag into a low hummock, making sure compost is evenly spread. 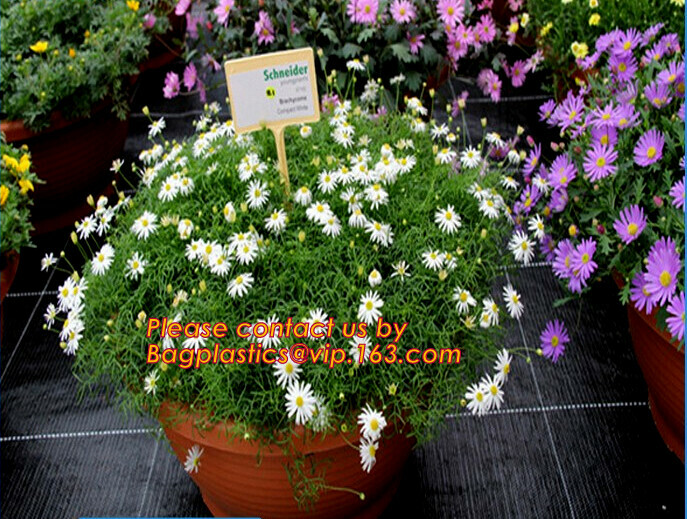 2.Open the small window and cut out the pre-marked planting squares. 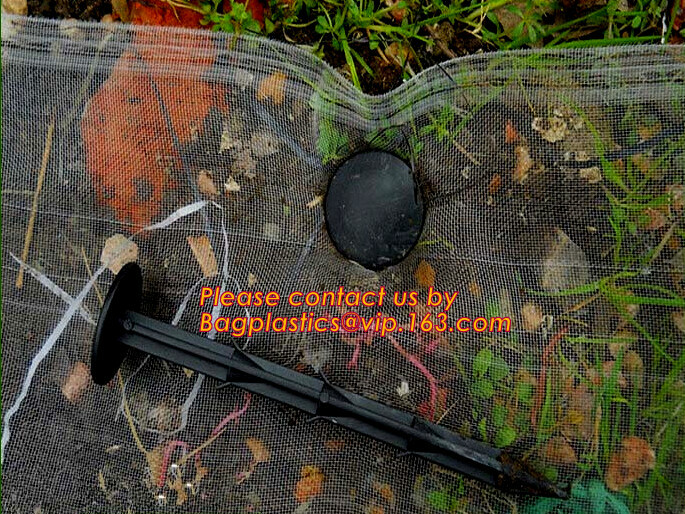 3.Scoop out compost from each square leaving a hole big enough for the root ball of your plant. 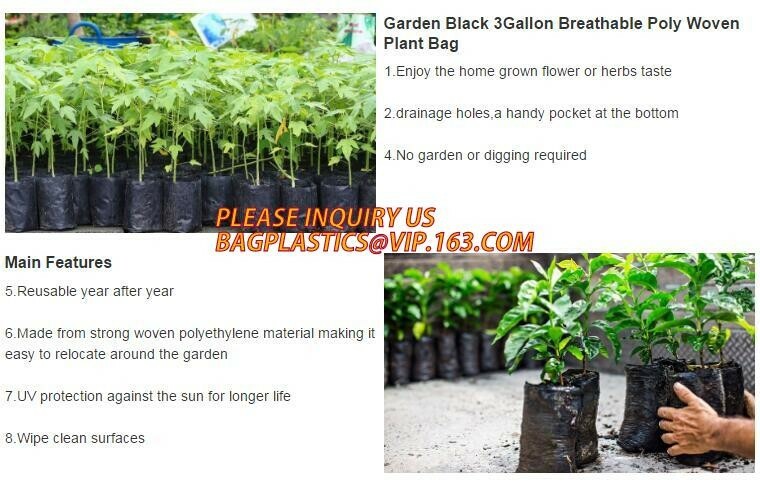 Put a plant in each hole and refill around it with compost. 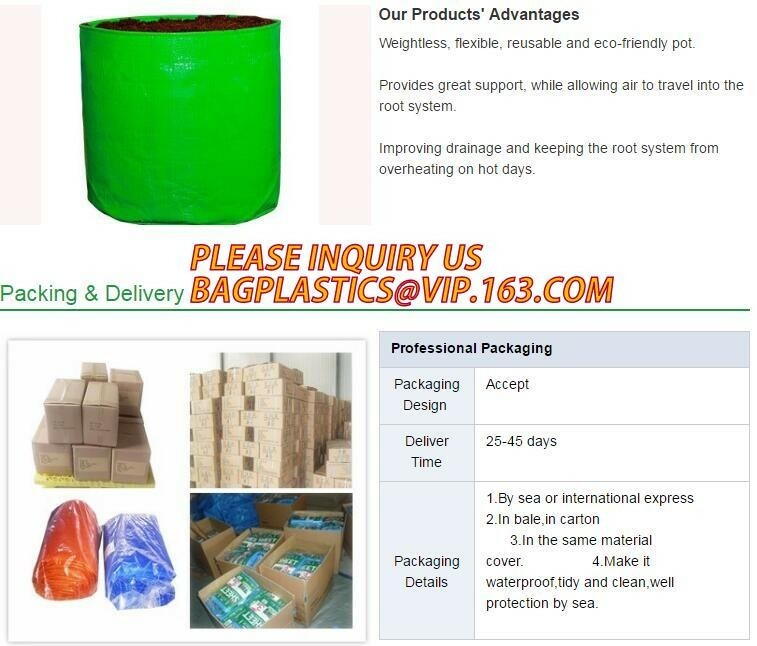 The top of each root ball. 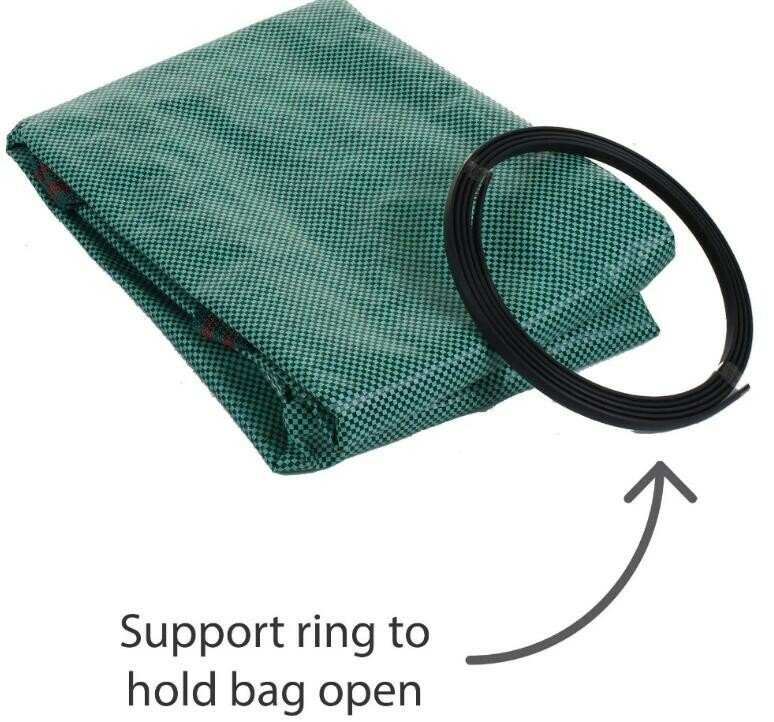 Note:should be just below the top of the bag. 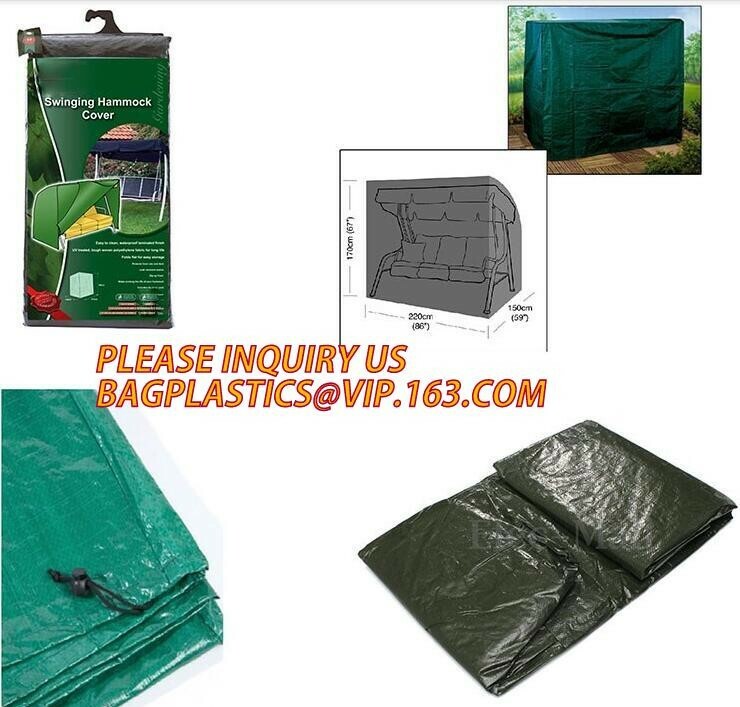 Feature Breathable,UV resistant,Waterproof, lightweight, heat & cold resistant, durable, reusable. 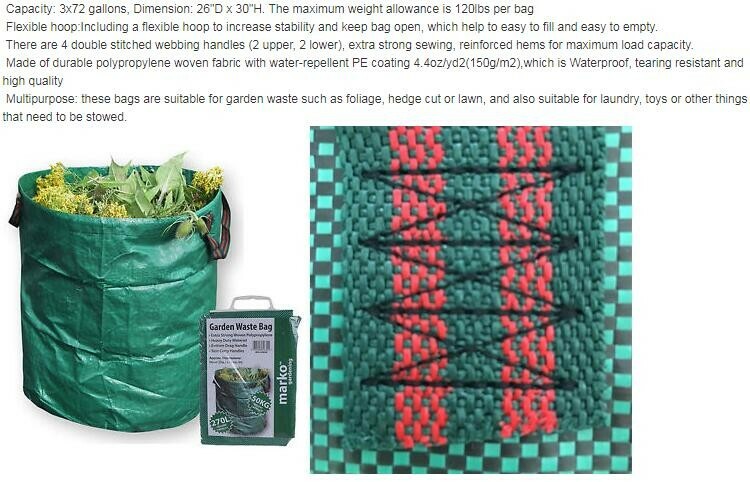 1.Growing bags are ideal for plants that don't have deep roots, such as tomatoes, cucumbers, sweet peppers, chilli peppers, aubergines and courgettes. 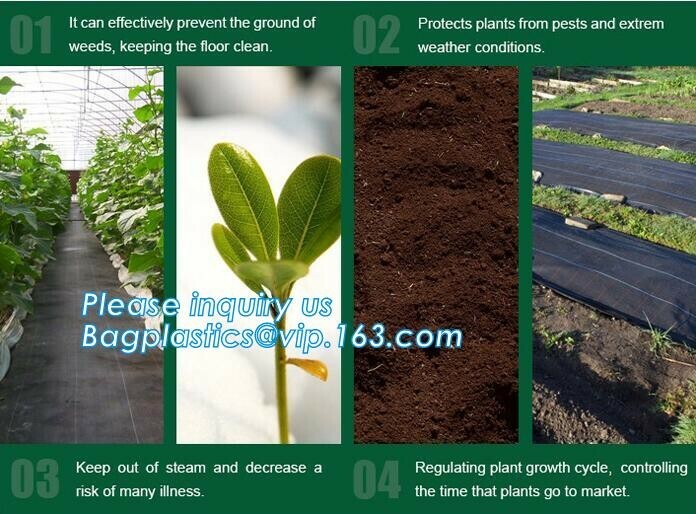 2.Plant two to three plants in each bag during spring. 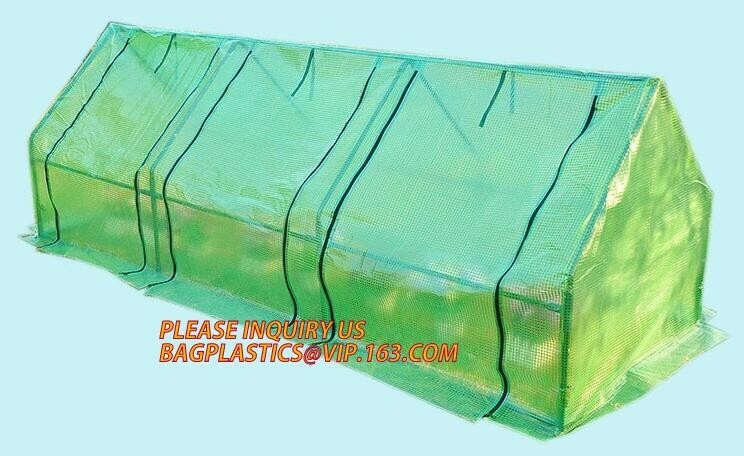 Alternatively, cut a long panel in the top of the bag and sow salads in rows. 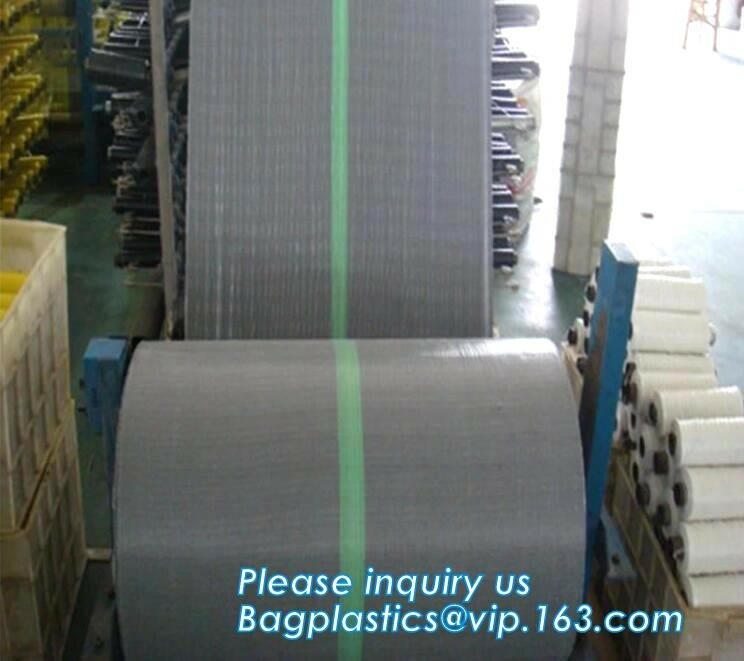 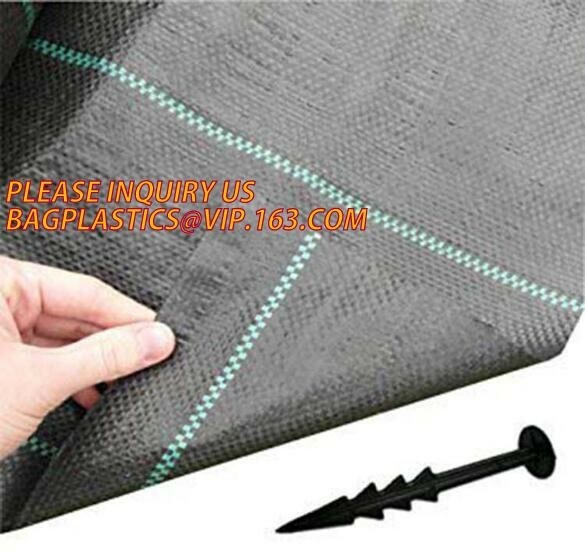 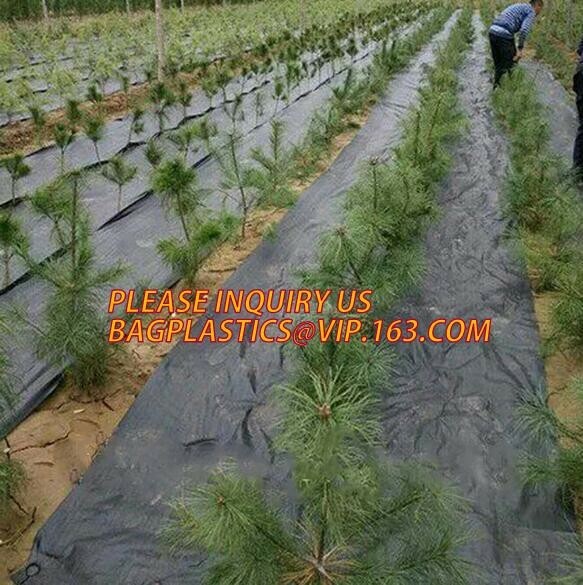 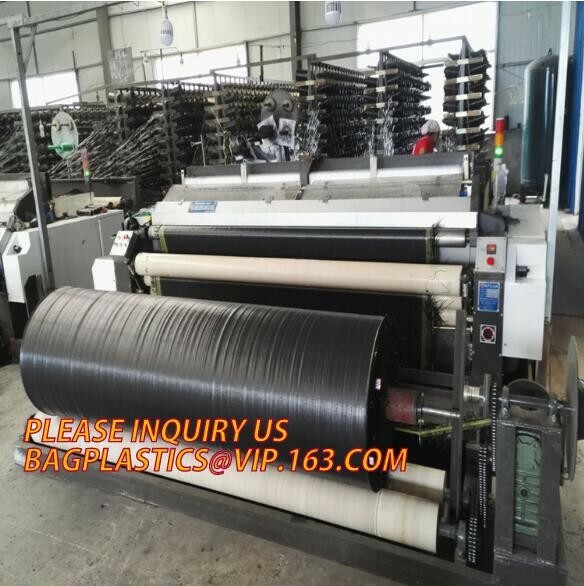 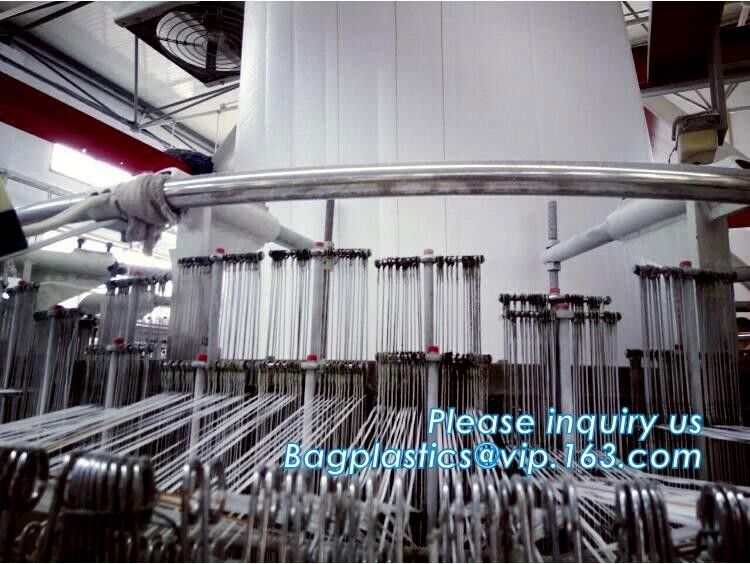 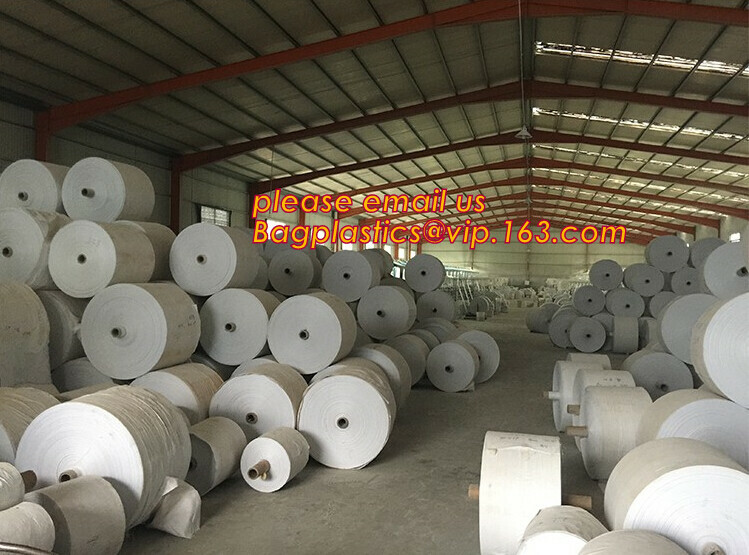 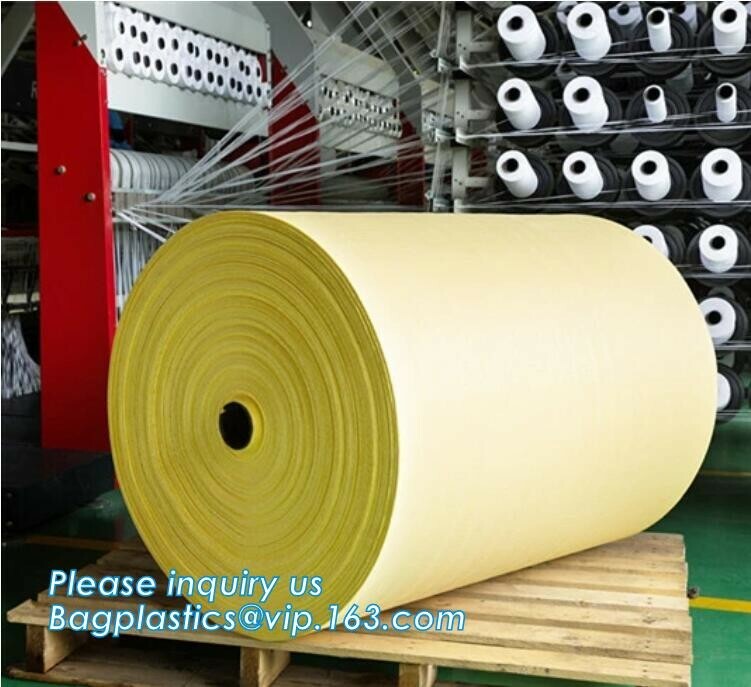 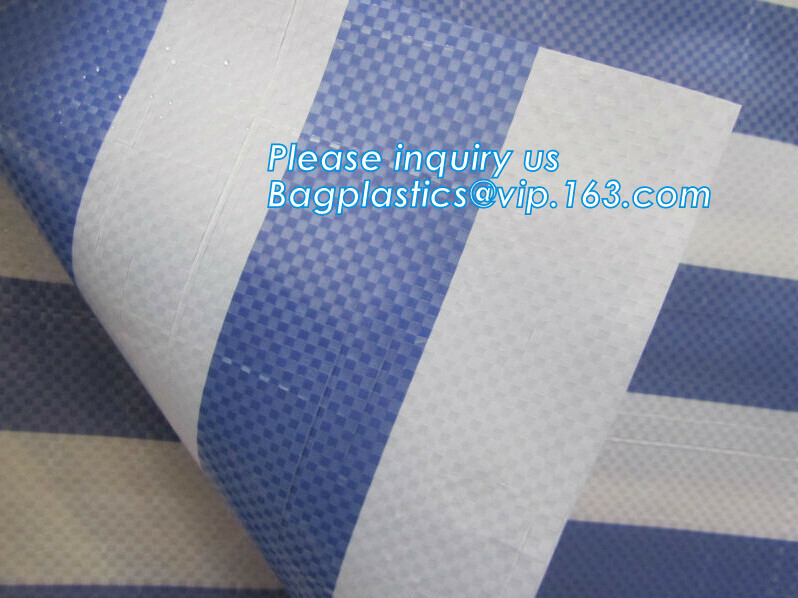 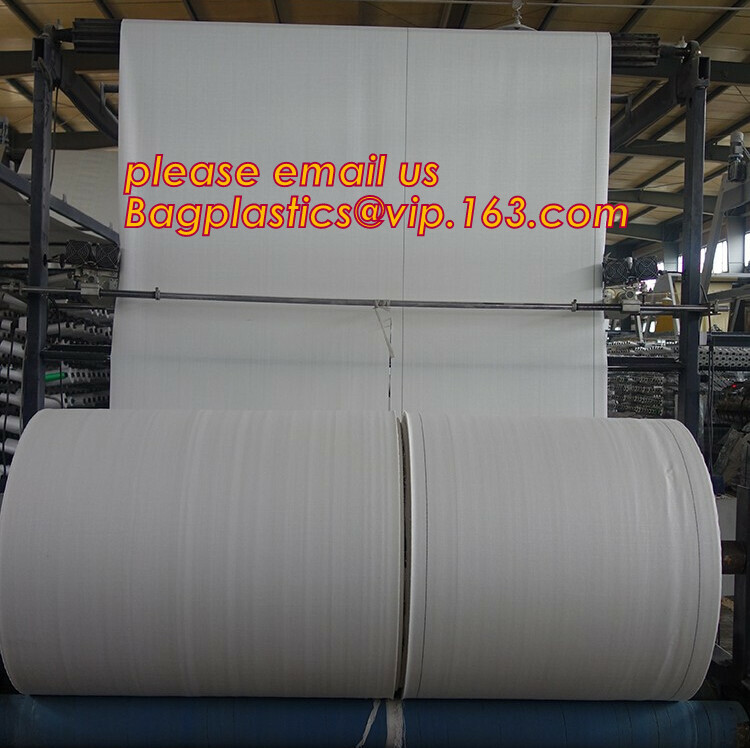 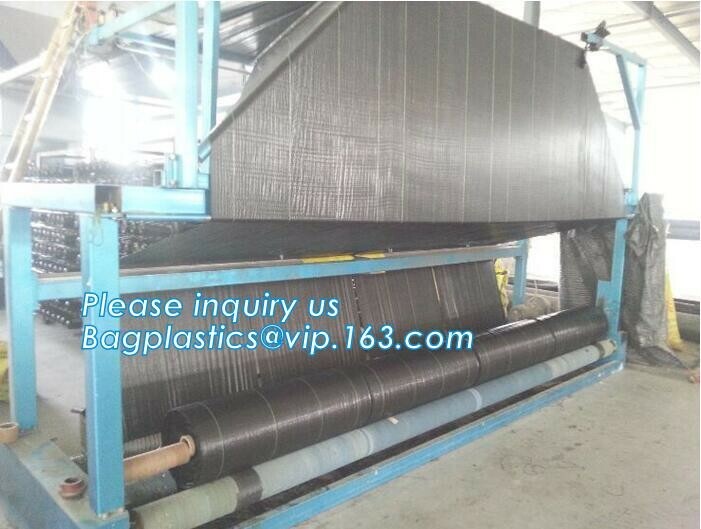 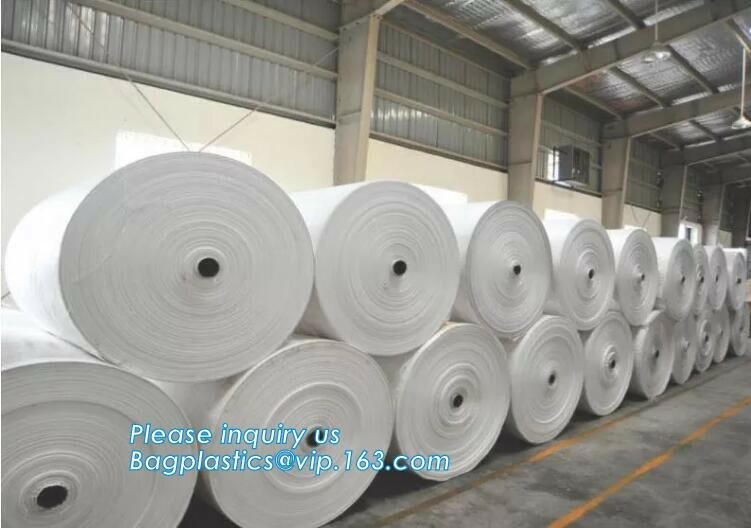 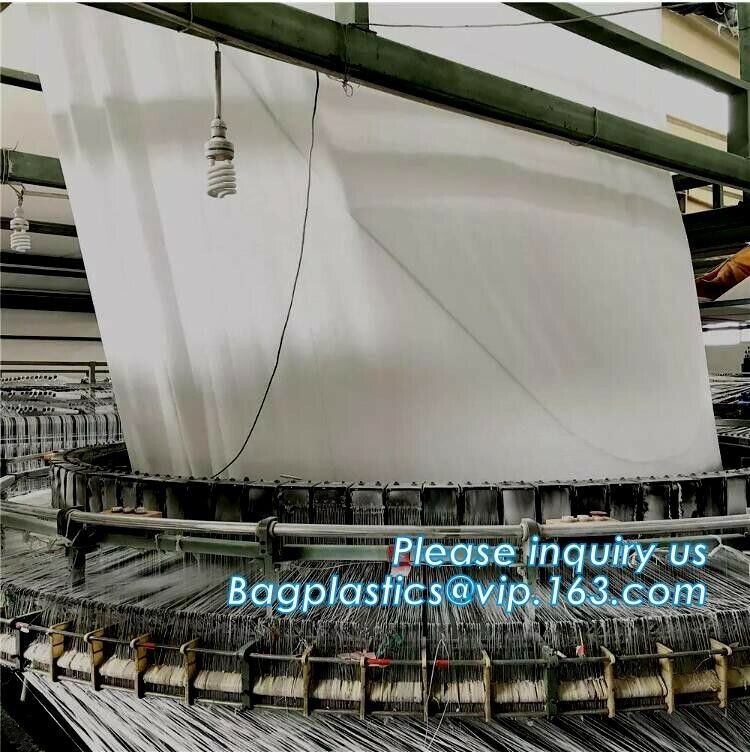 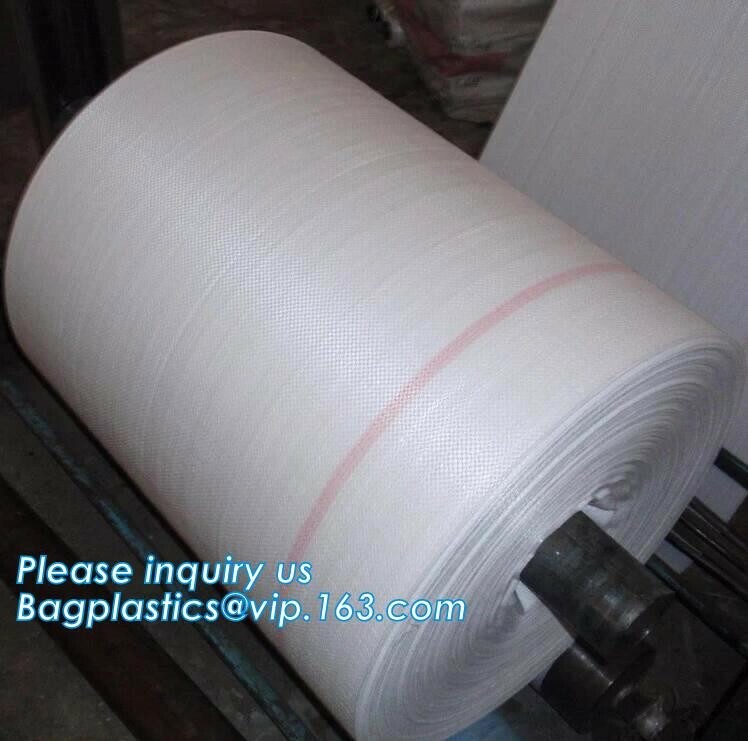 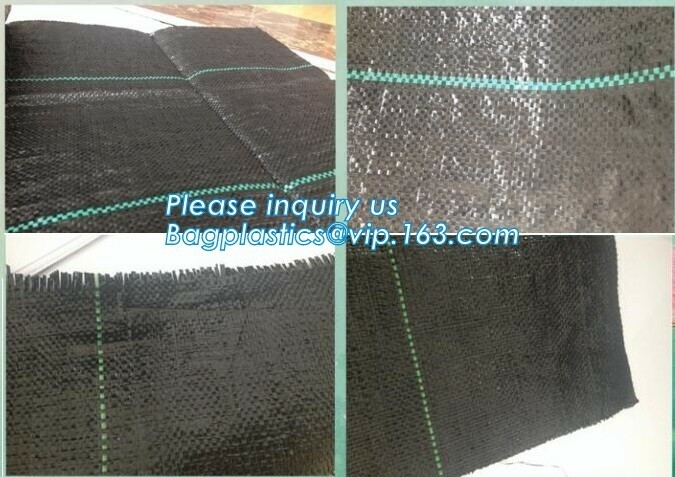 prepare the bag as before and cut out a long panel on top of the bag. 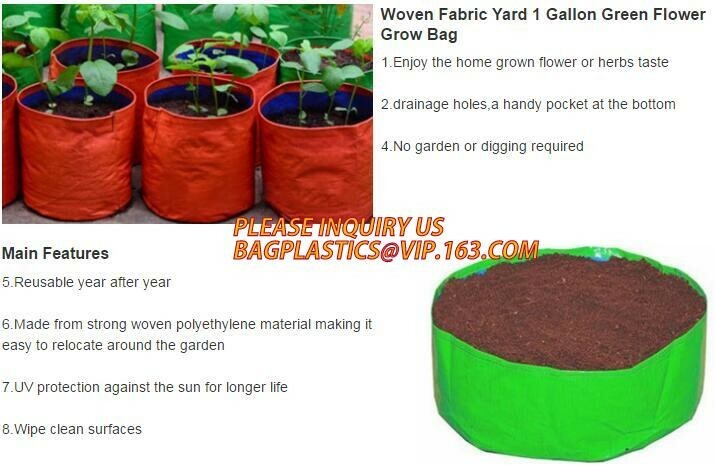 Plant or sow in rows across the width of the bag. 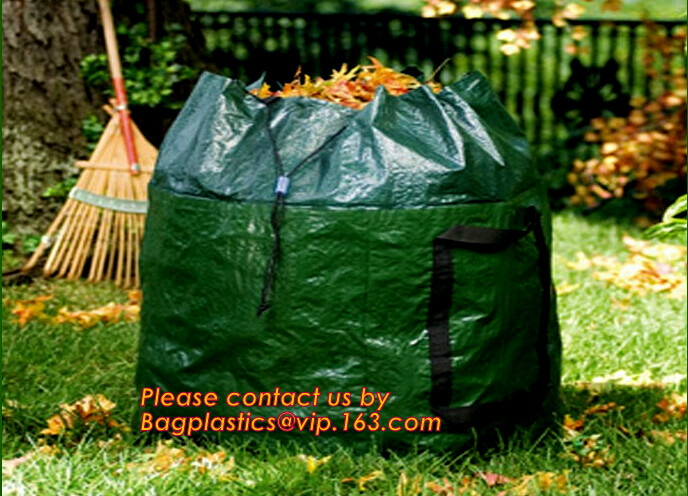 Get ready to take on your Spring garden and landscape clean up!!! 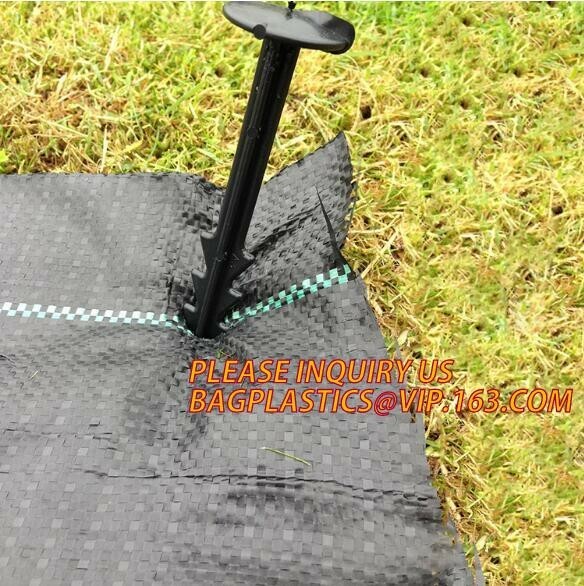 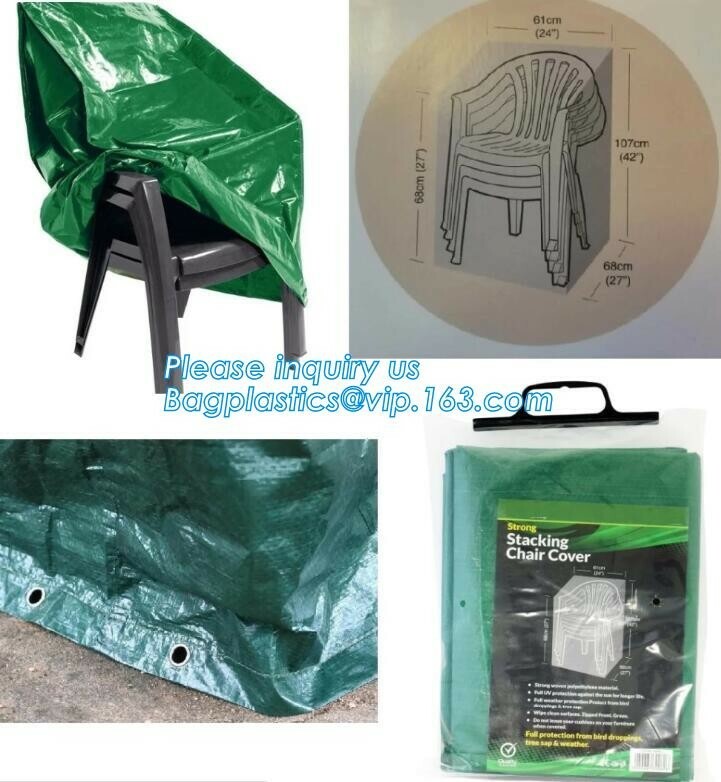 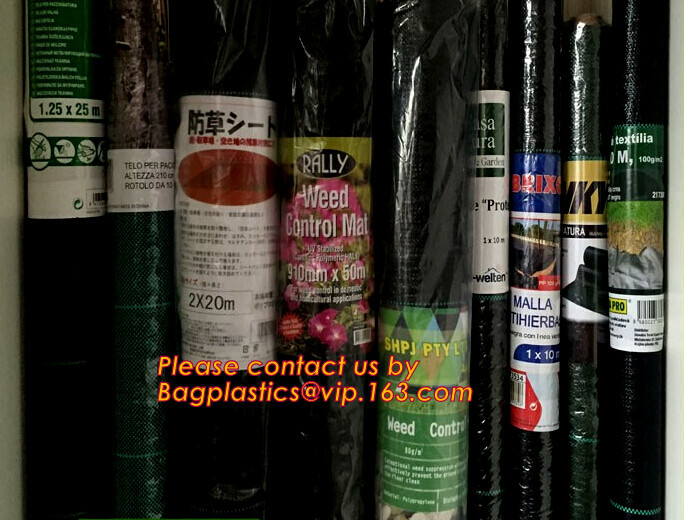 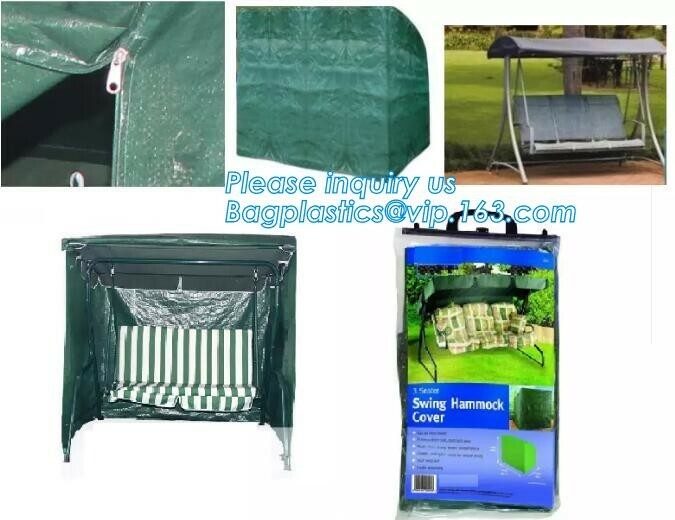 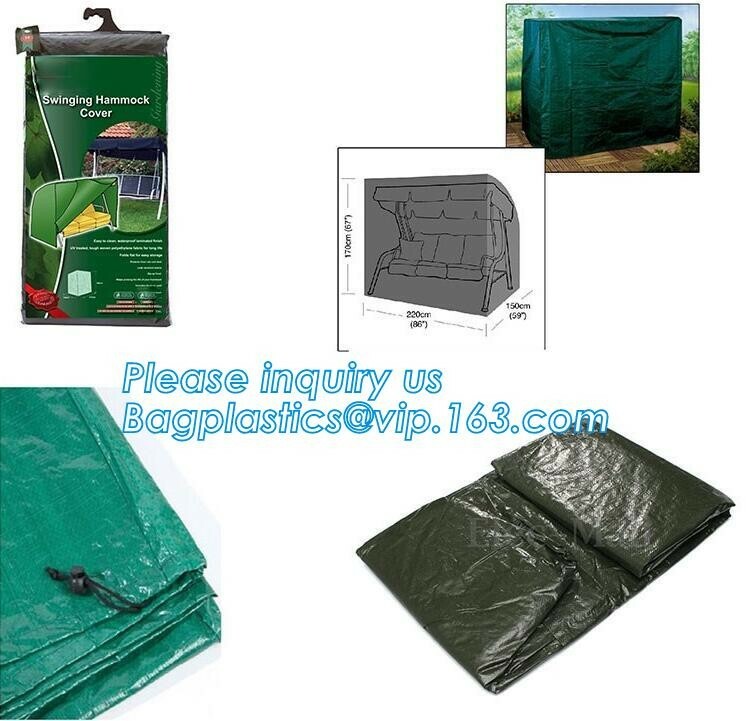 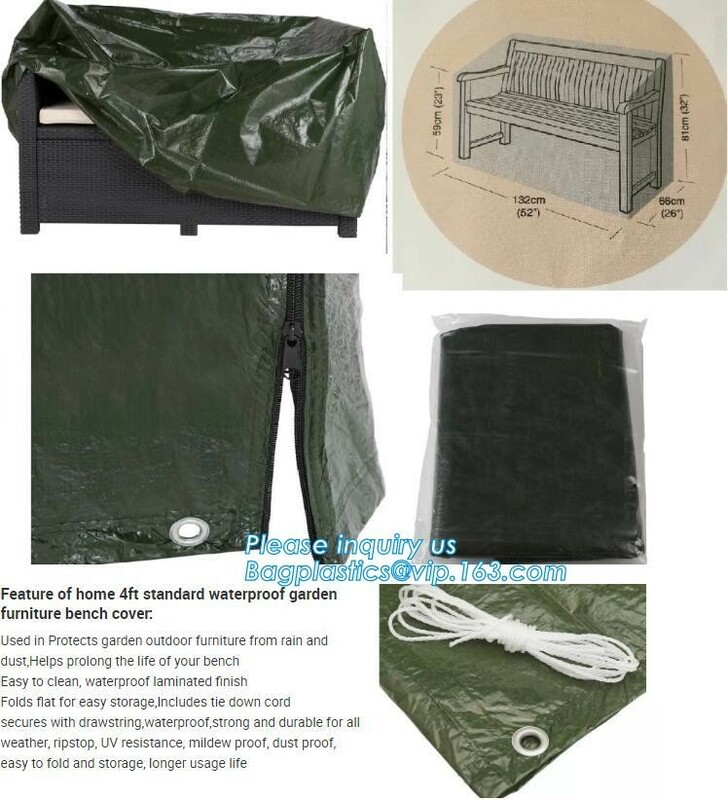 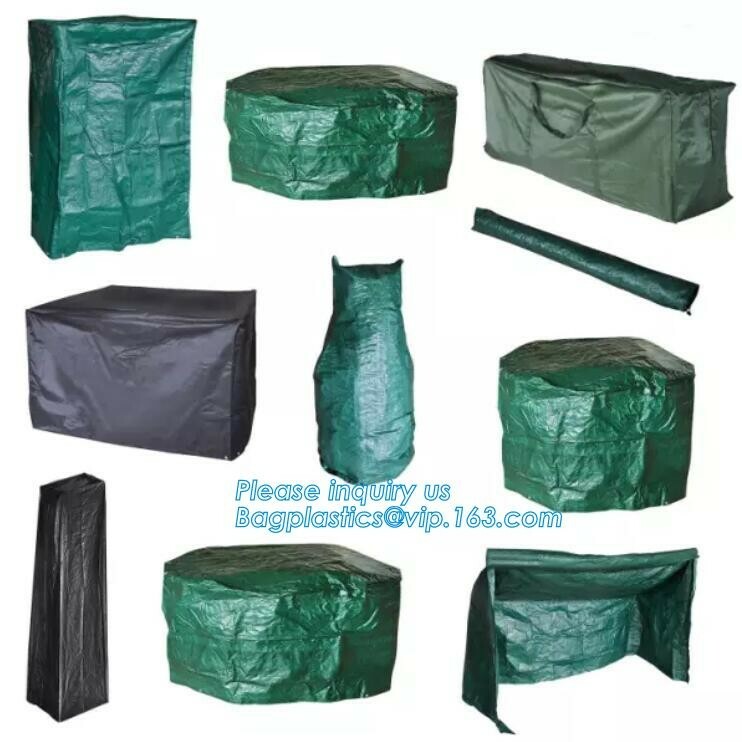 Unlike other flimsy bags that fall over and collapse when you try to fill them, the Bagease Green Gardening Large Reusable Lawn, Garden and Leaf Bag stays open, upright and stable while you are filling it. 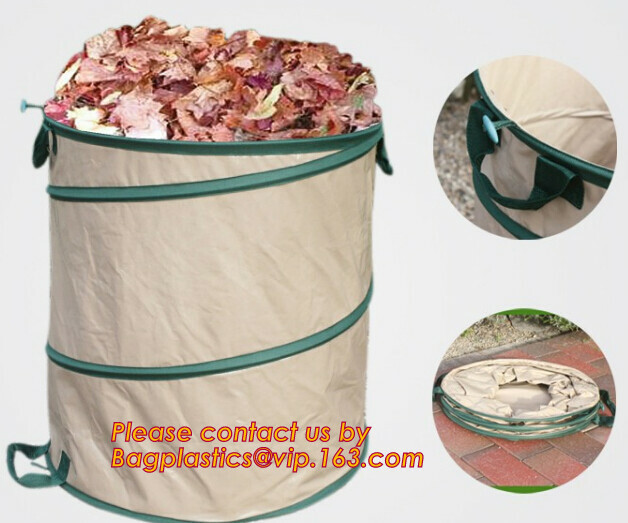 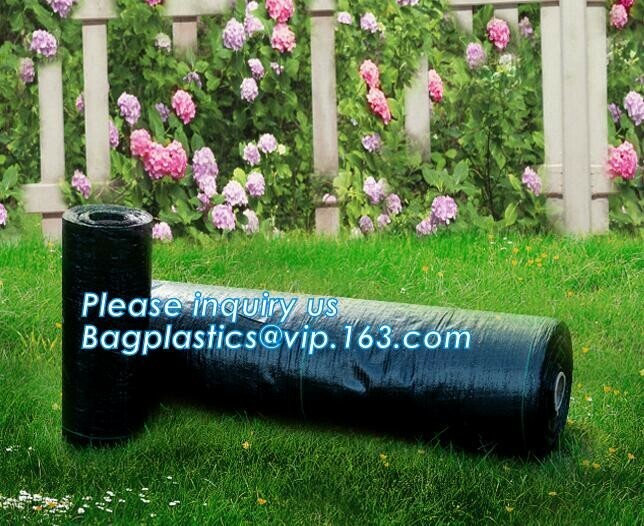 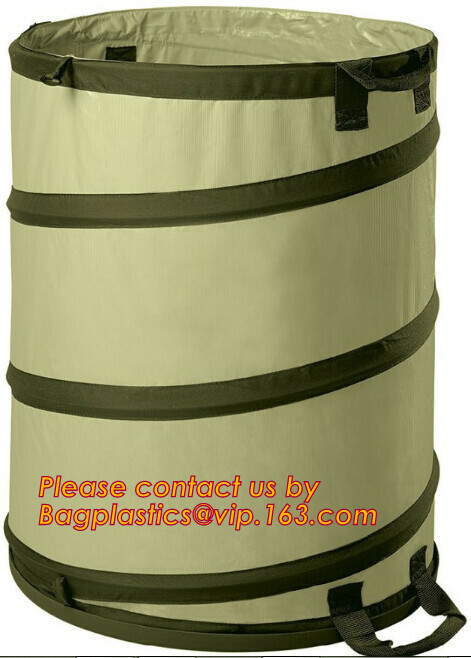 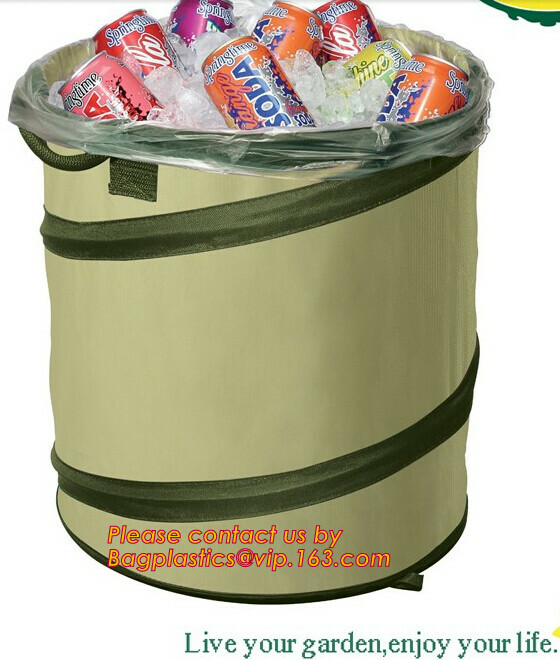 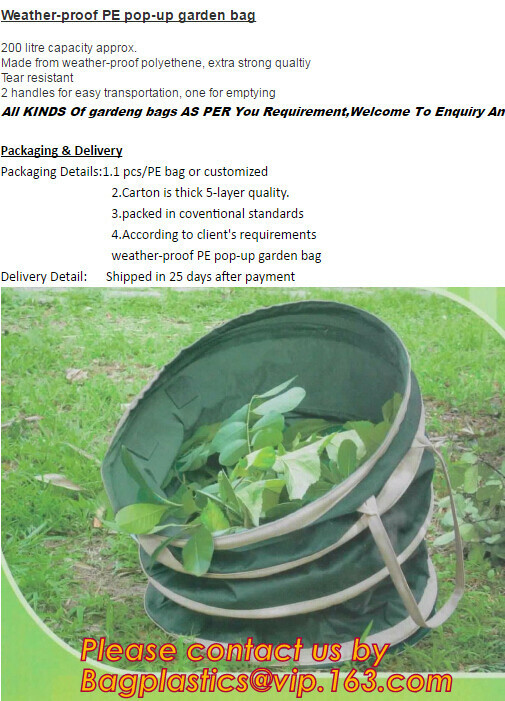 Our bag can hold up to 68 gallons or 75 pounds of your yard and garden waste. 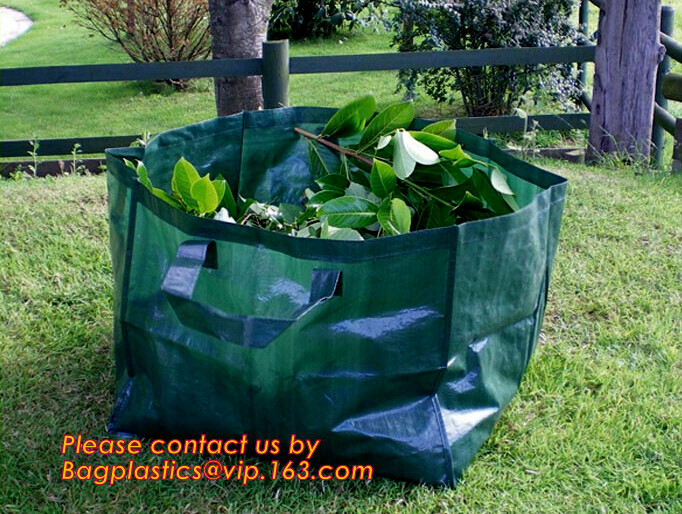 Ideal for collecting leaves, yard waste, plant clippings and grass. 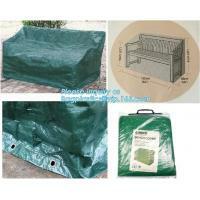 It is also great for moving and storing items around the garage, barn or house. 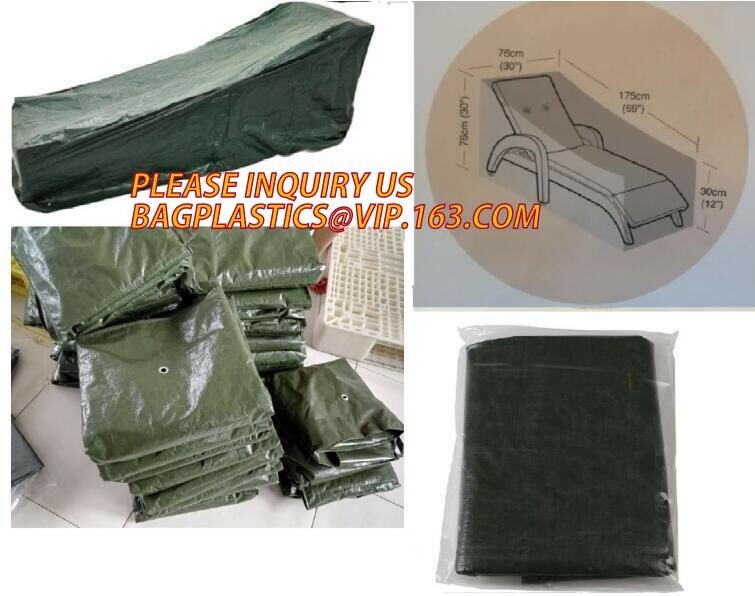 And it can be folded flat and stored when not needed. 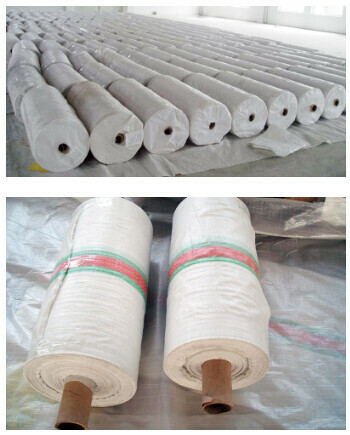 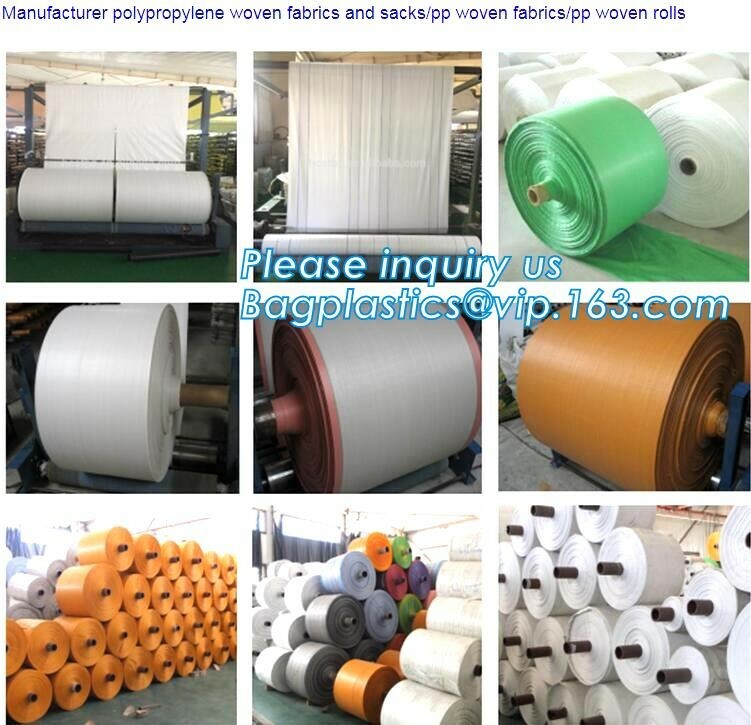 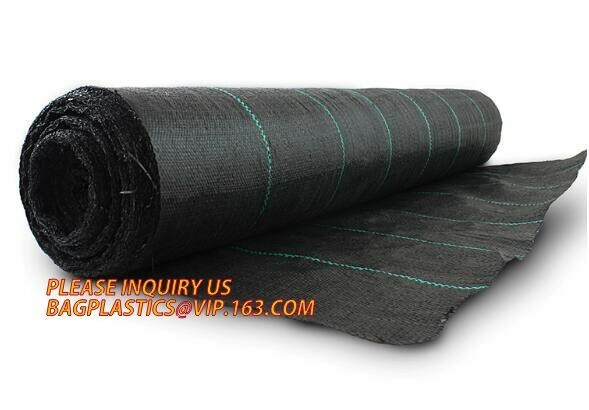 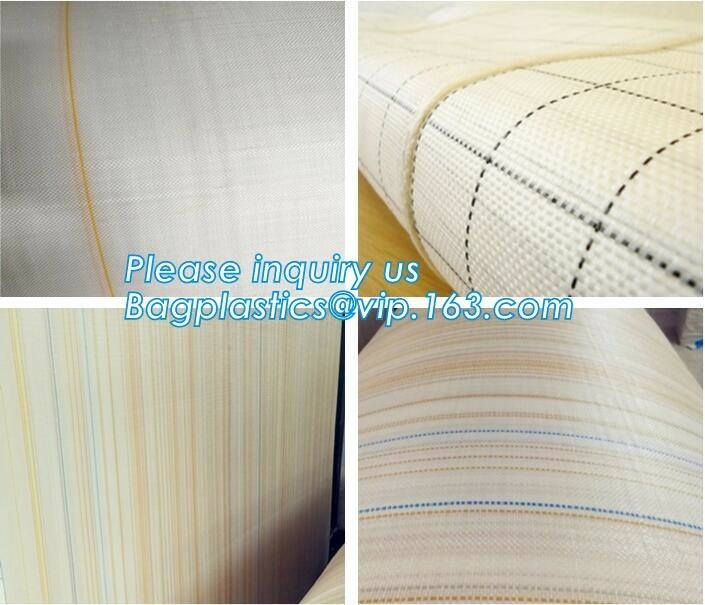 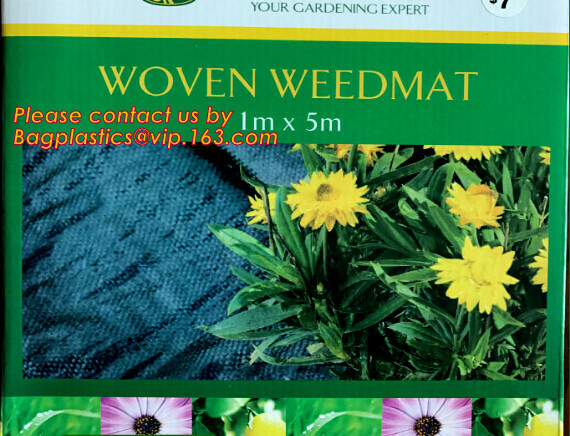 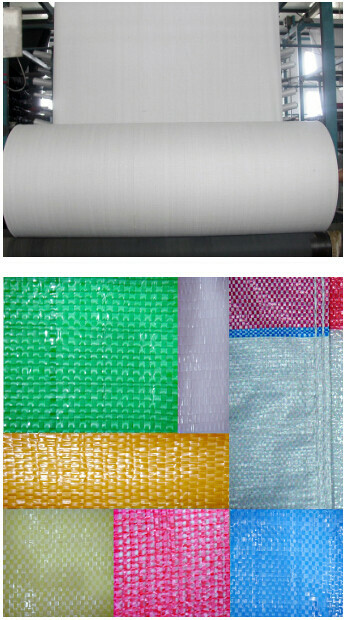 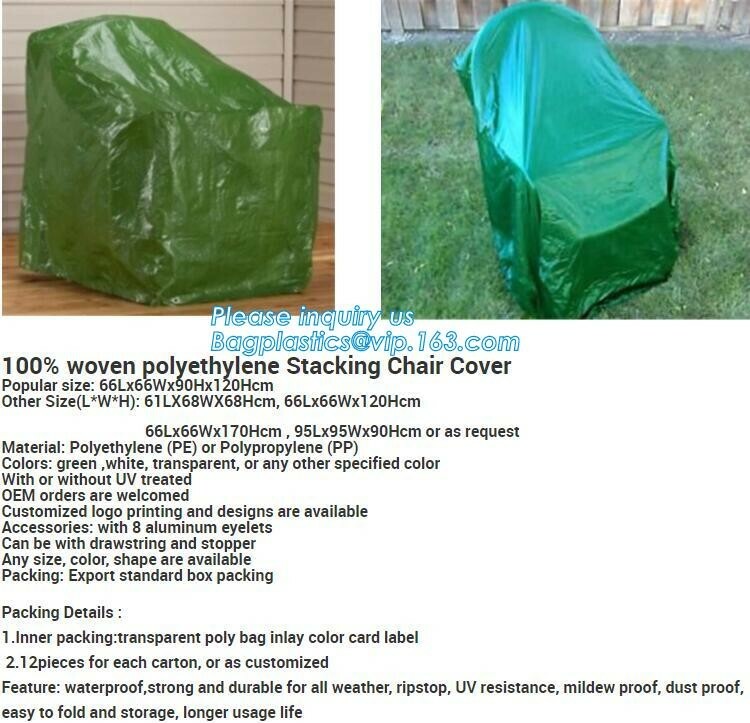 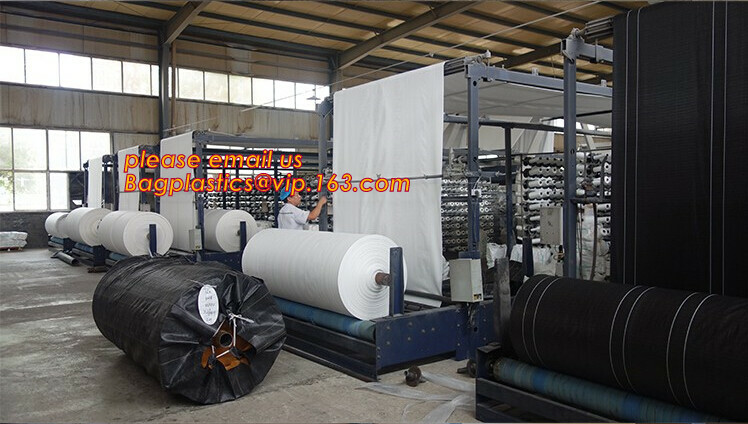 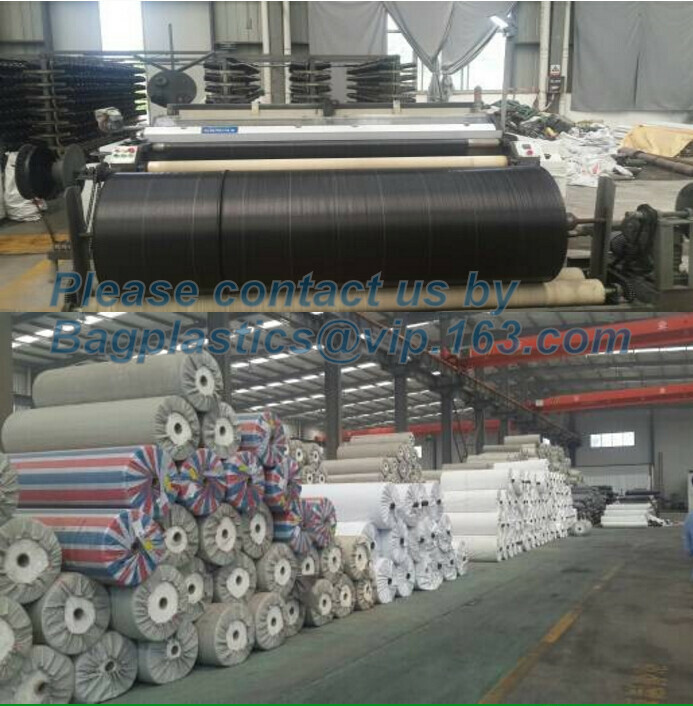 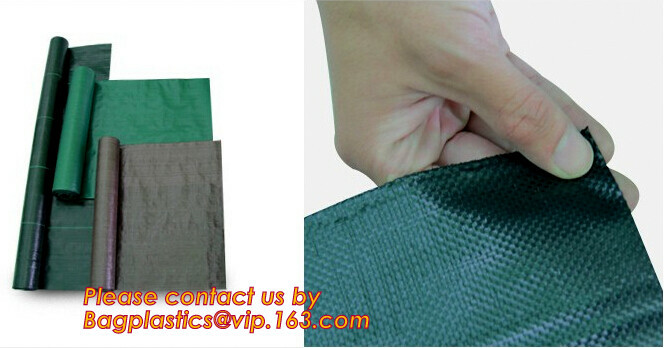 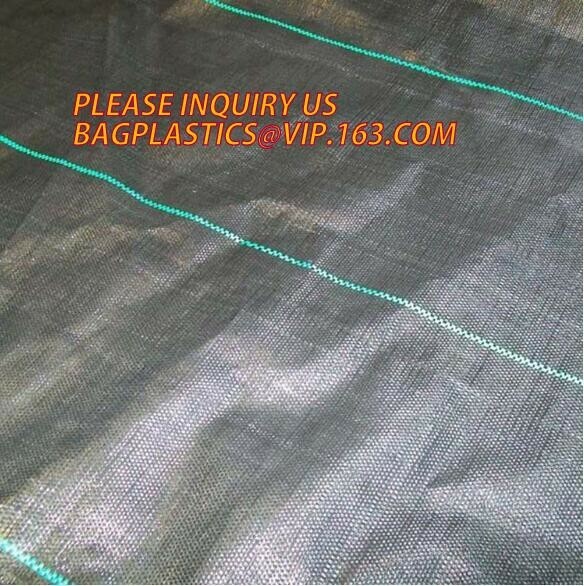 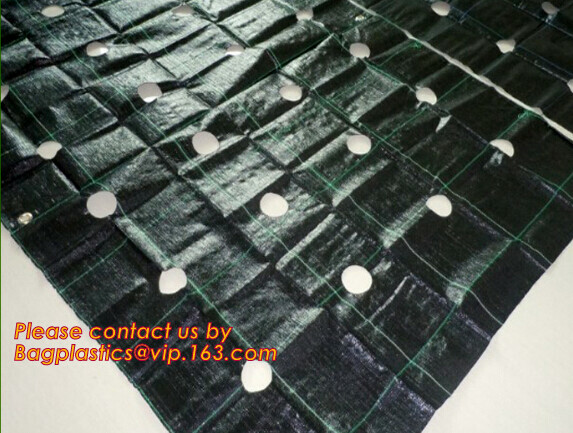 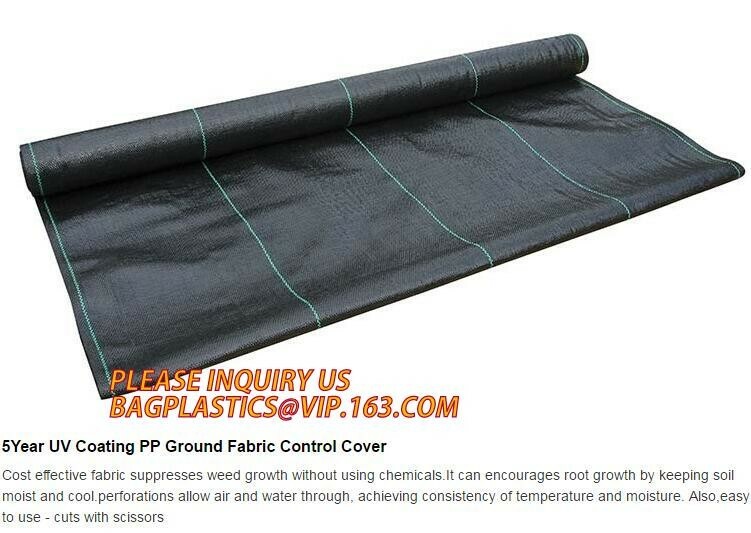 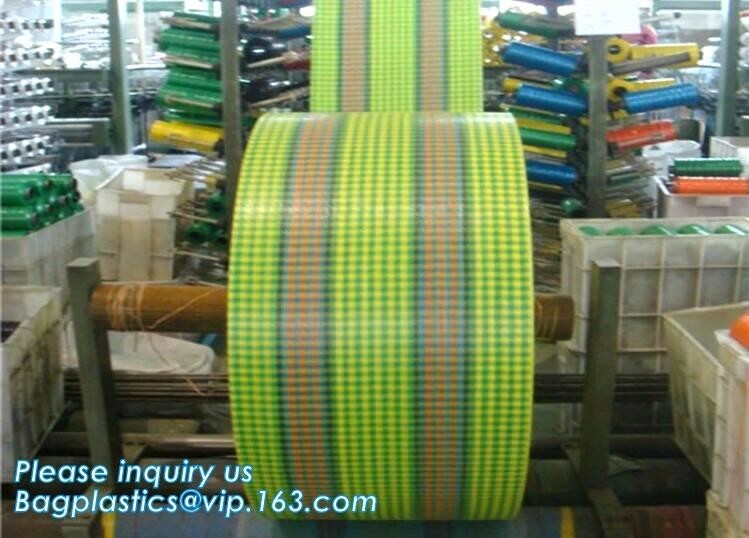 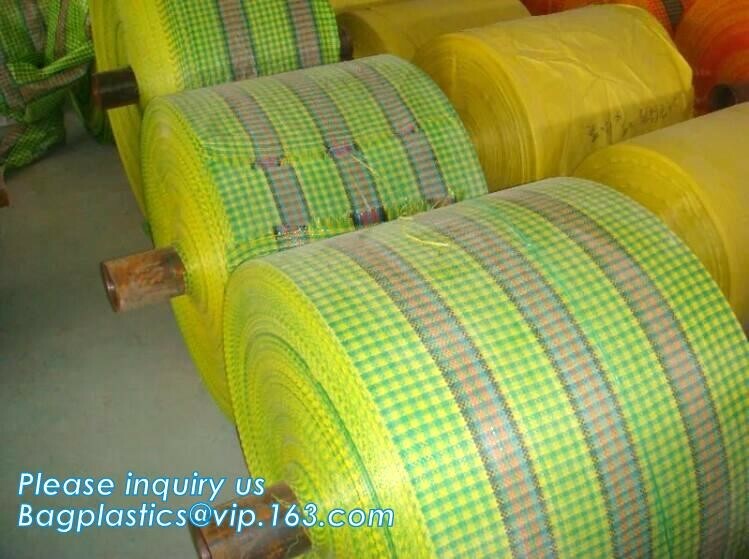 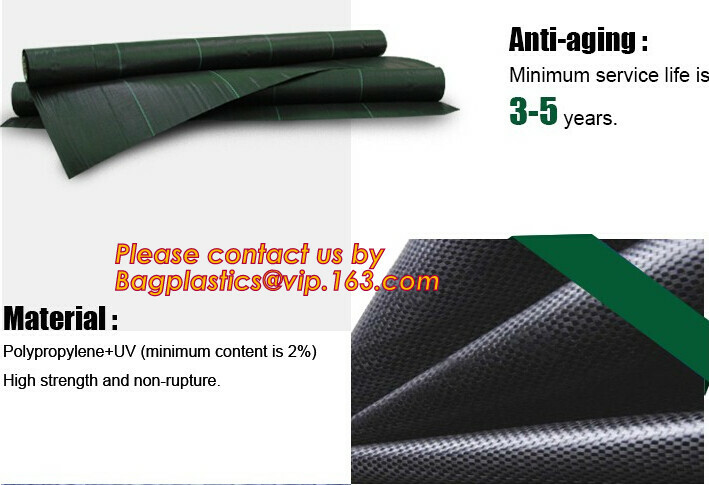 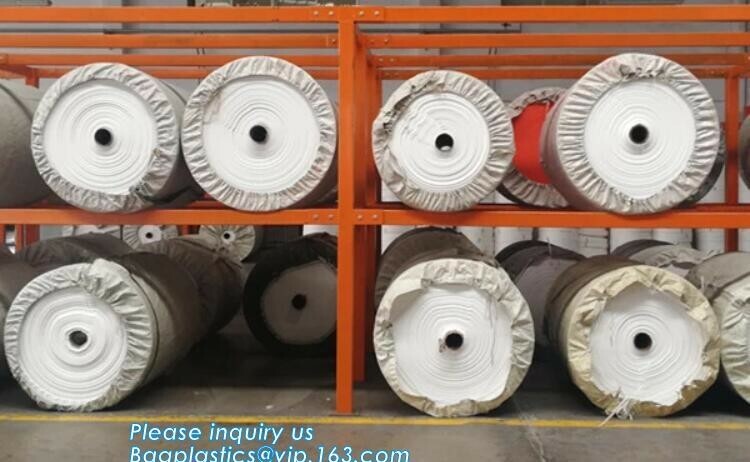 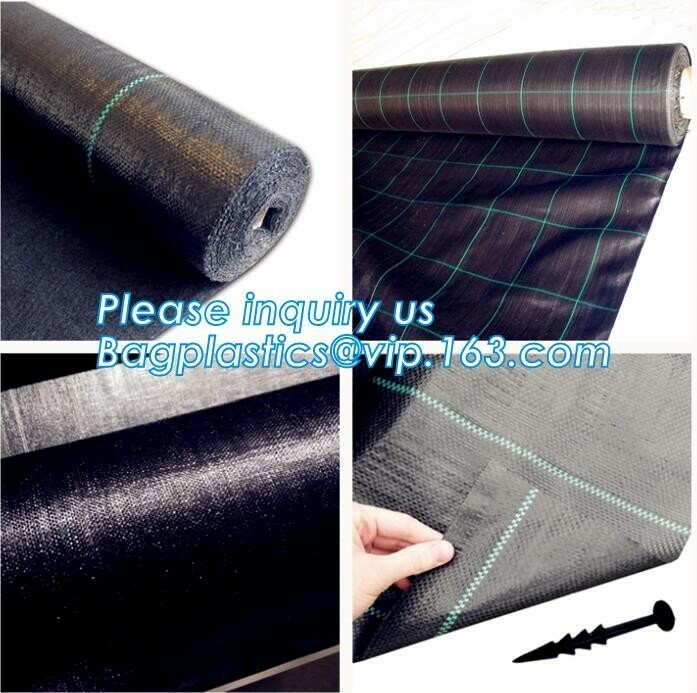 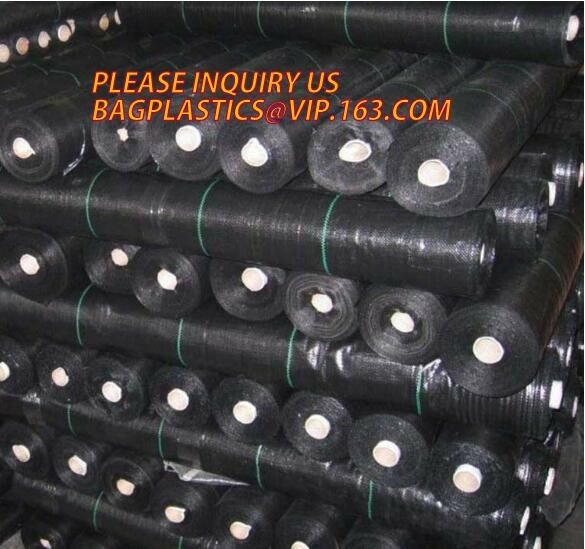 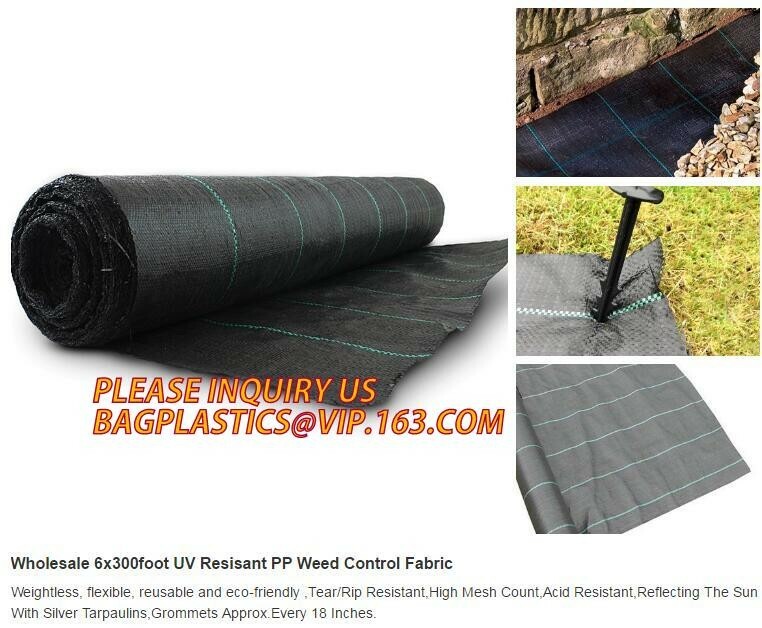 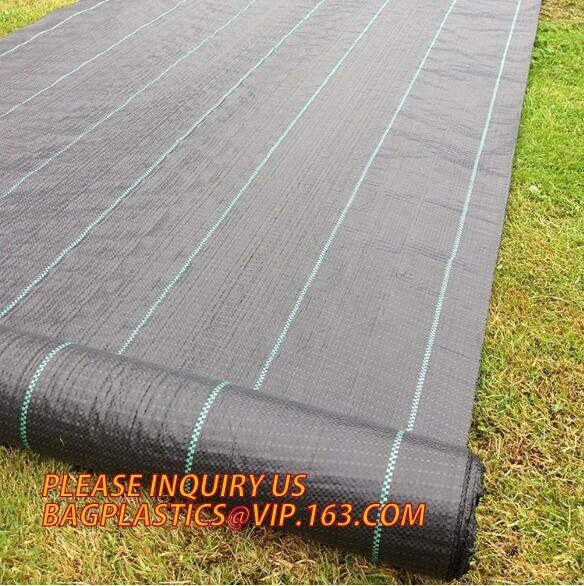 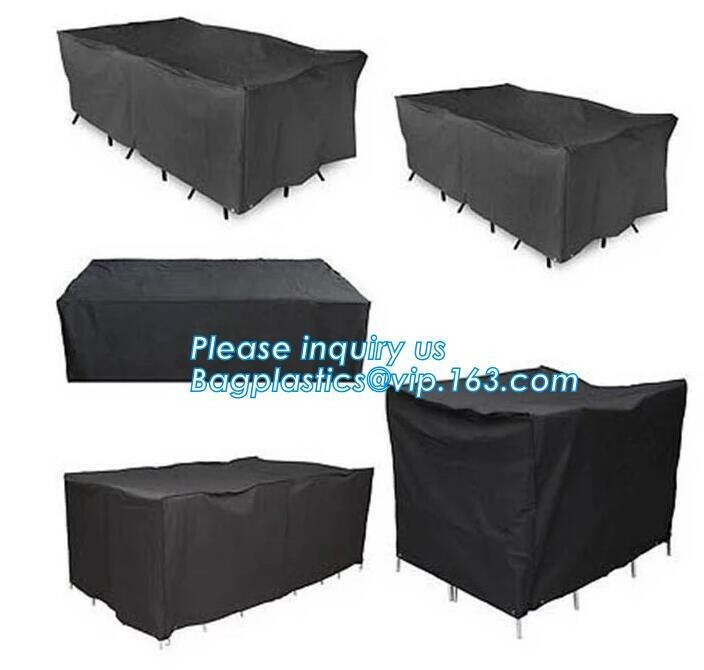 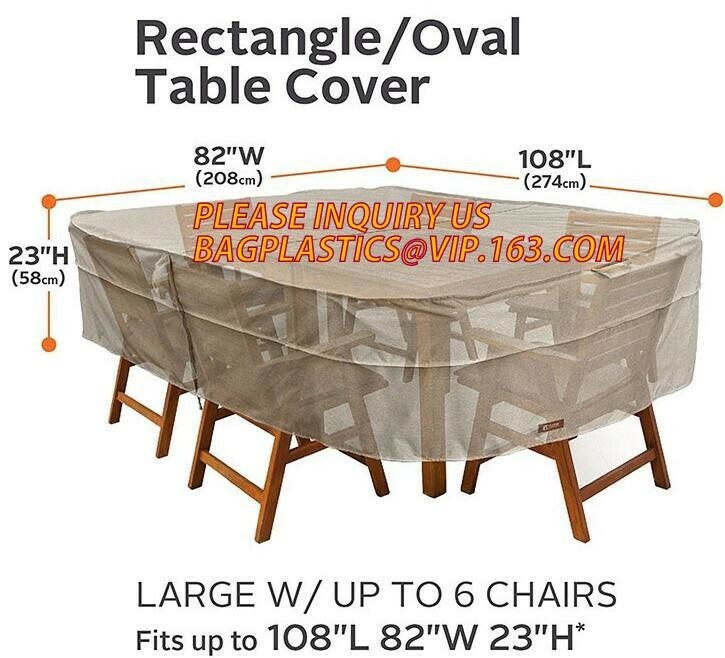 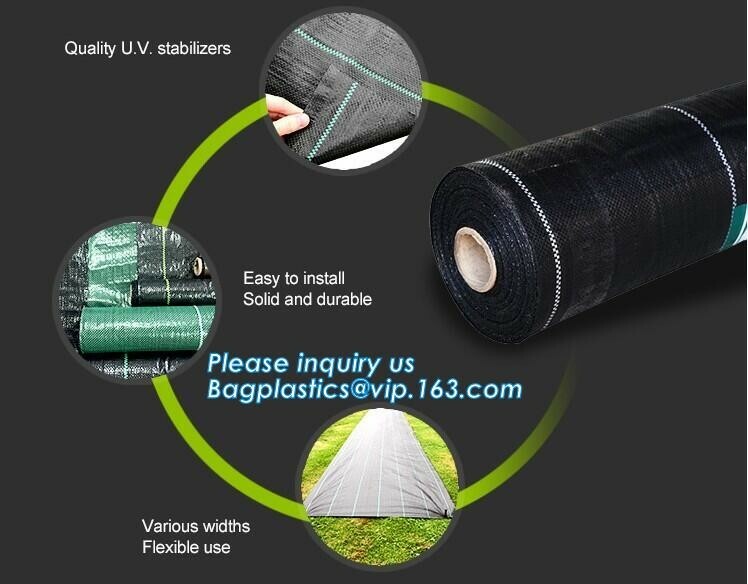 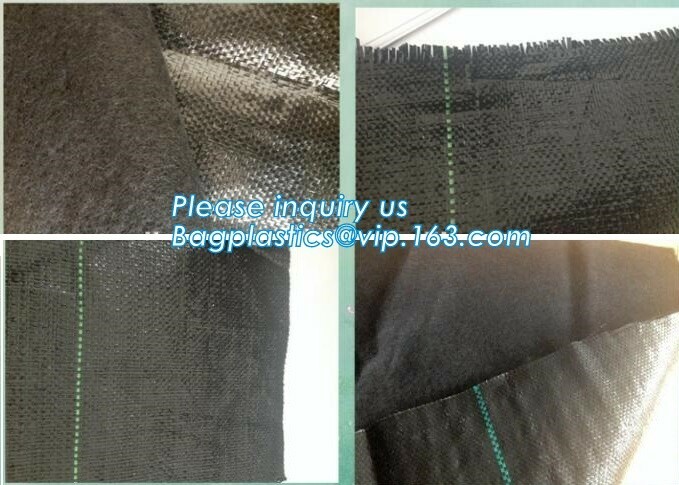 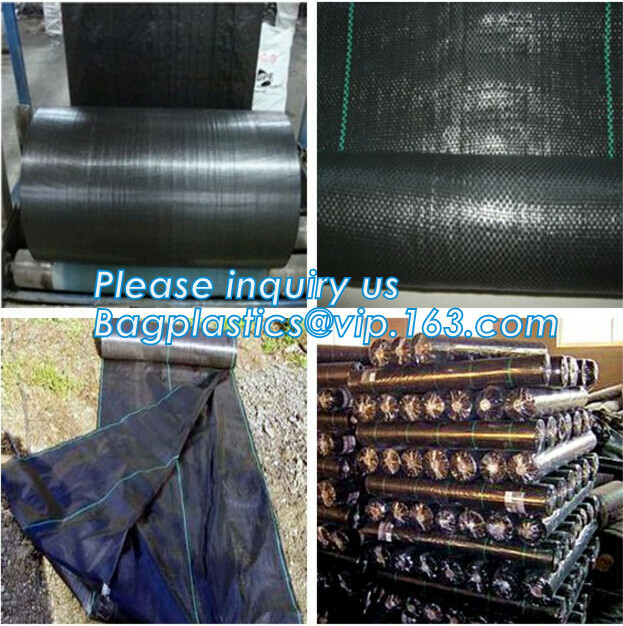 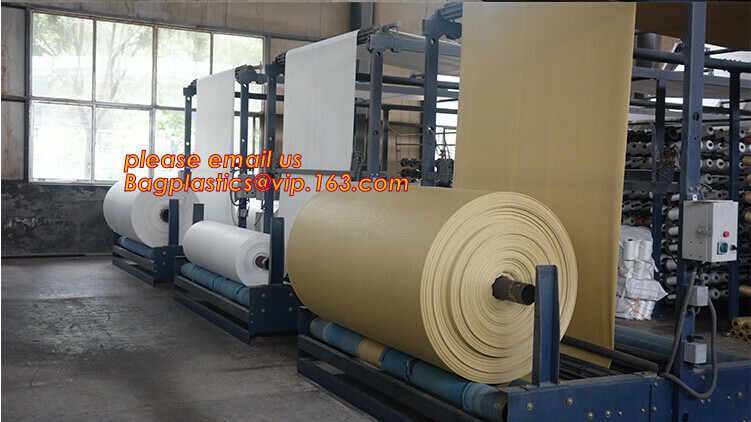 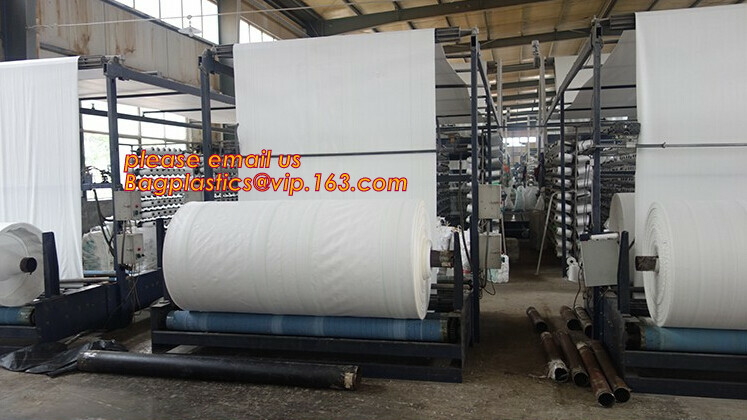 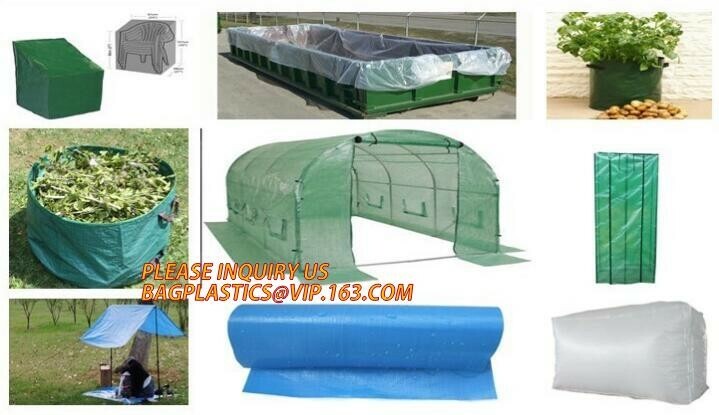 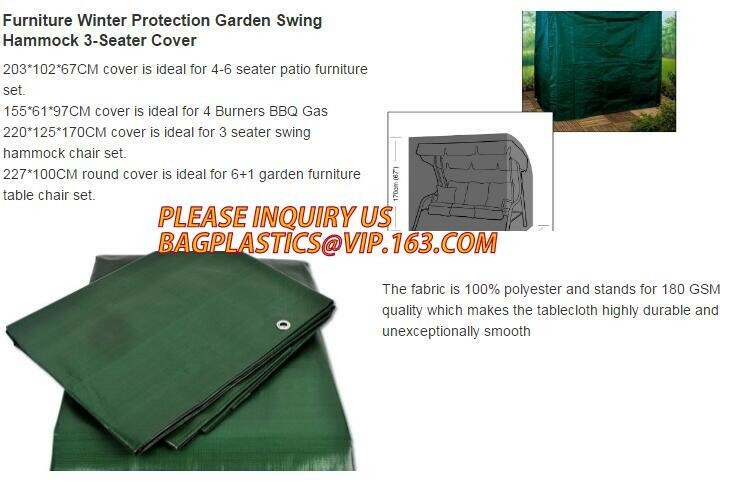 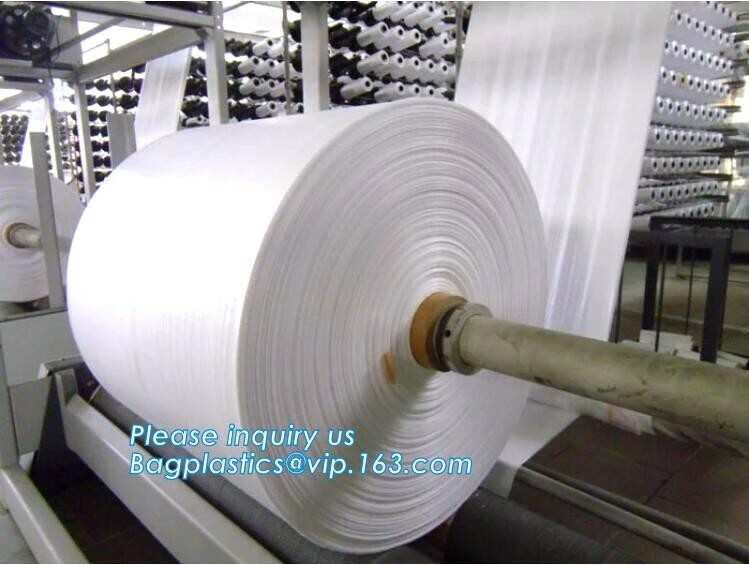 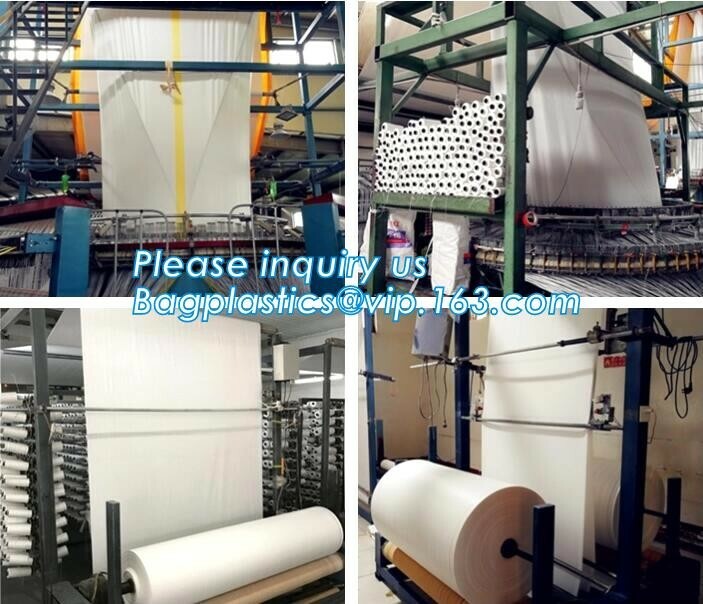 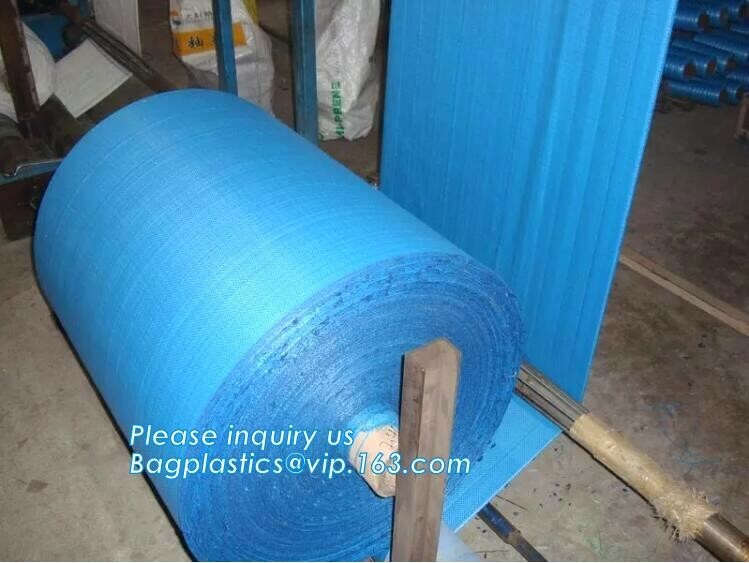 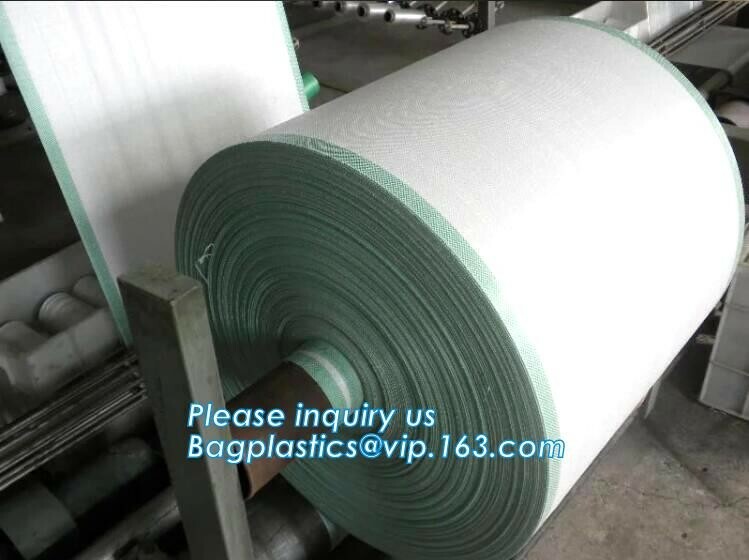 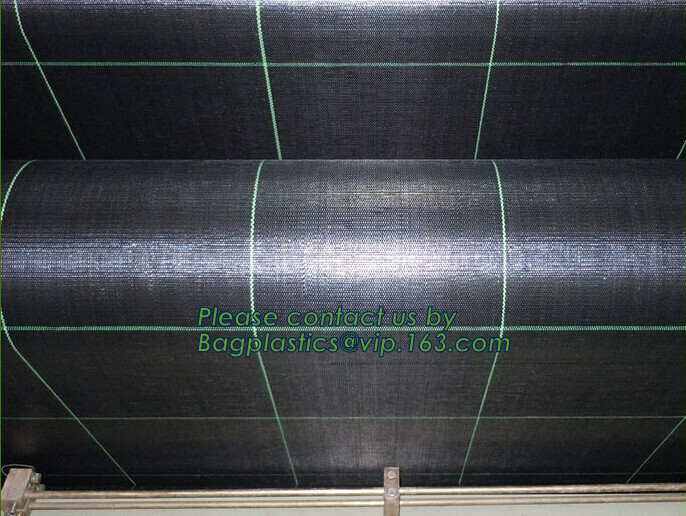 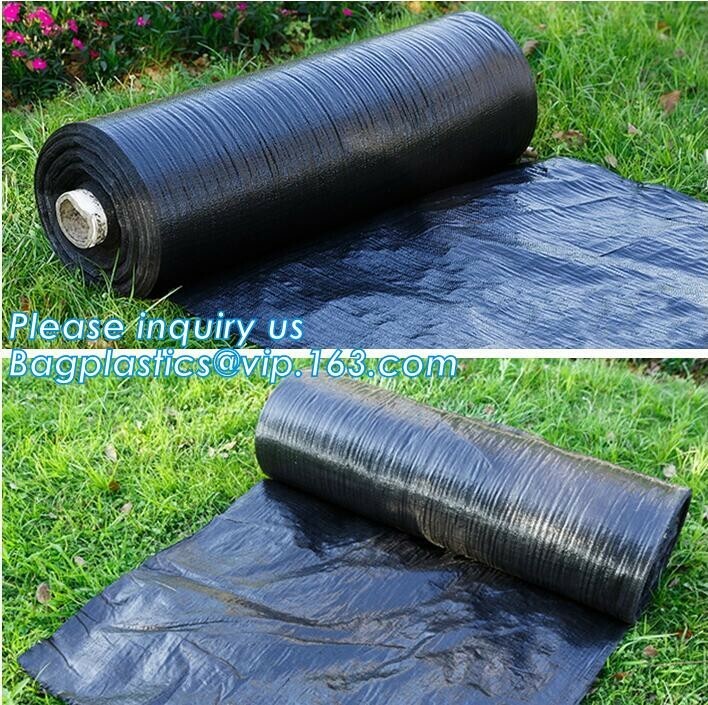 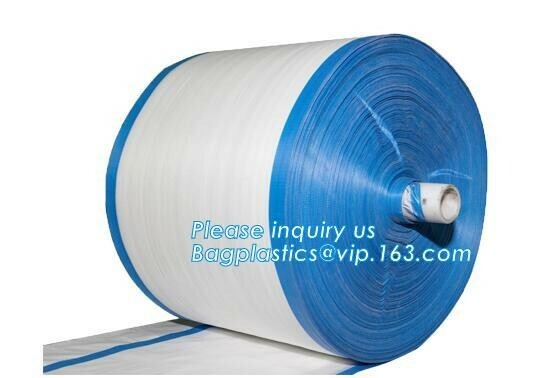 Made of durable polypropylene woven fabric, it will last for years. 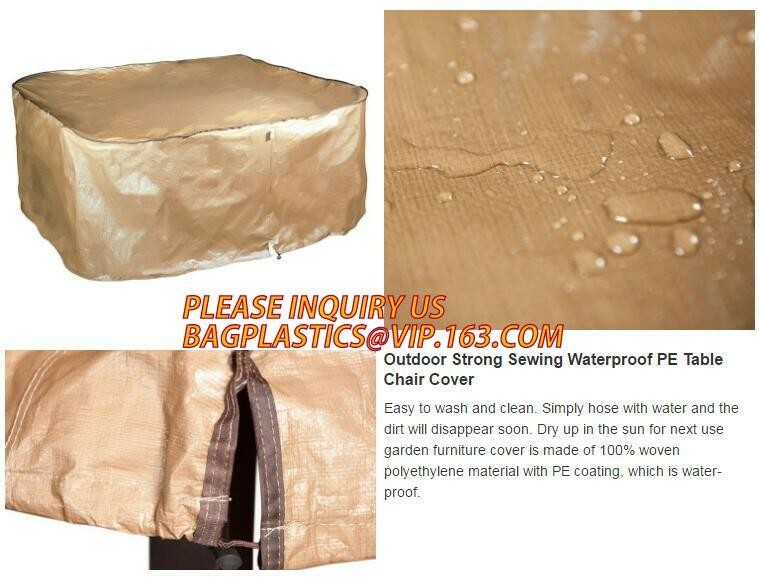 Size: 31"D*18"H ,We accept customization. 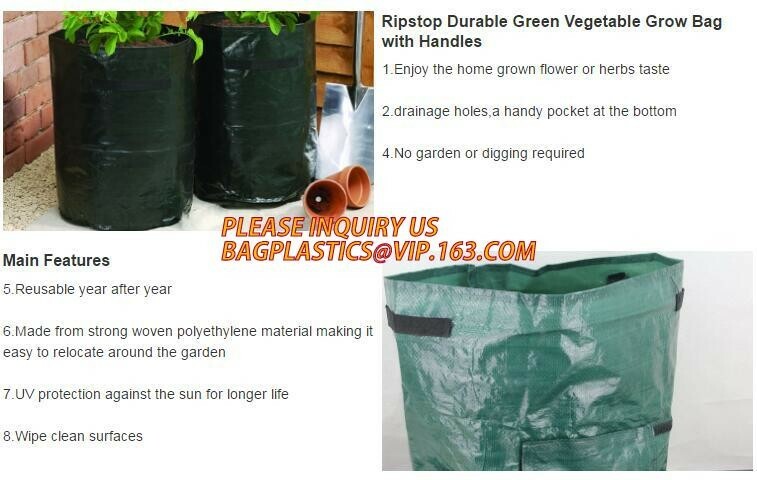 They won't flop over like flimsy plastic leaf bags, and they won't let garden refuse spill out like wheelbarrows can. 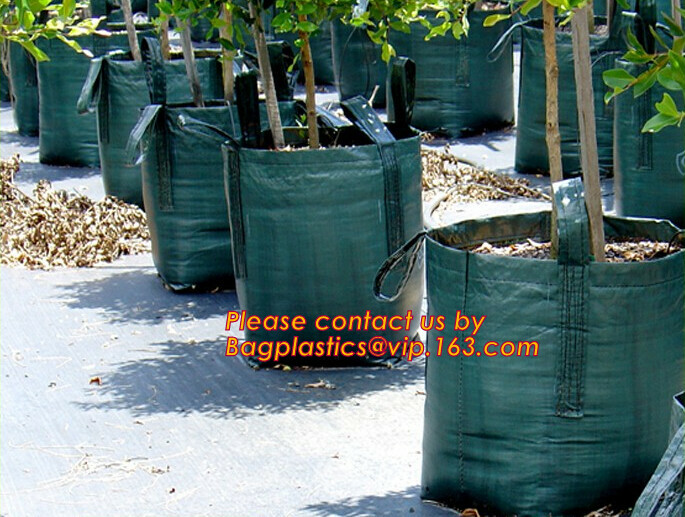 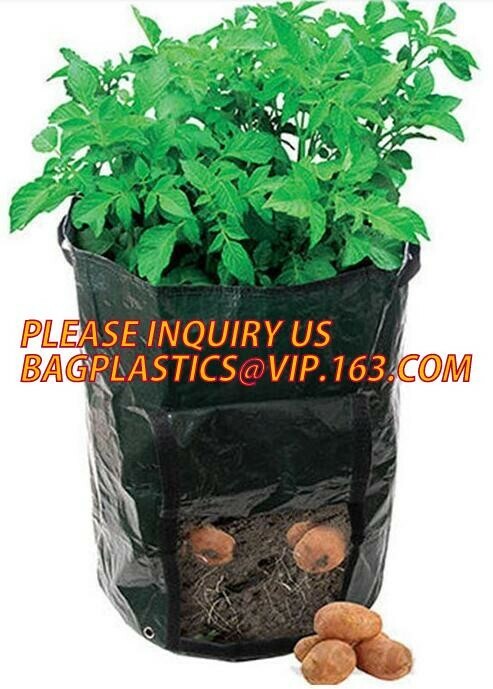 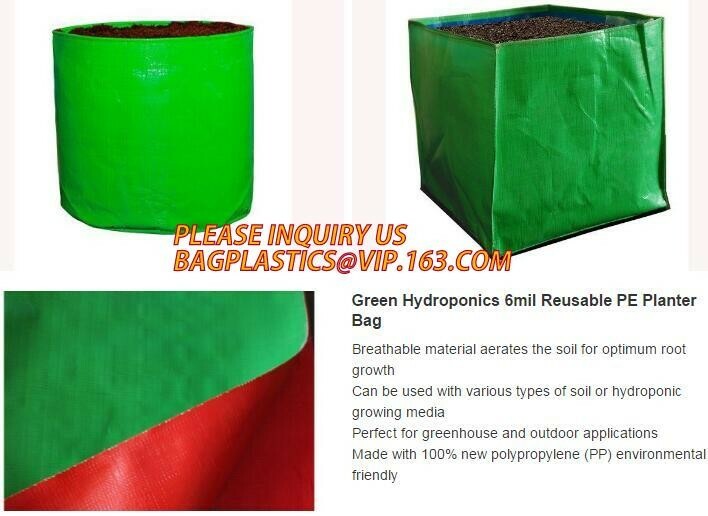 These tear-proof polypropylene garden bags have a wide base and plastic hoop rim, so they stand at attention, ready to fill with leaves, weeds or grass clippings. 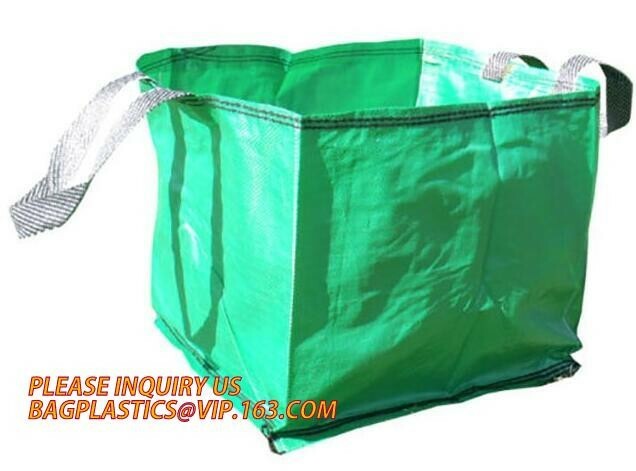 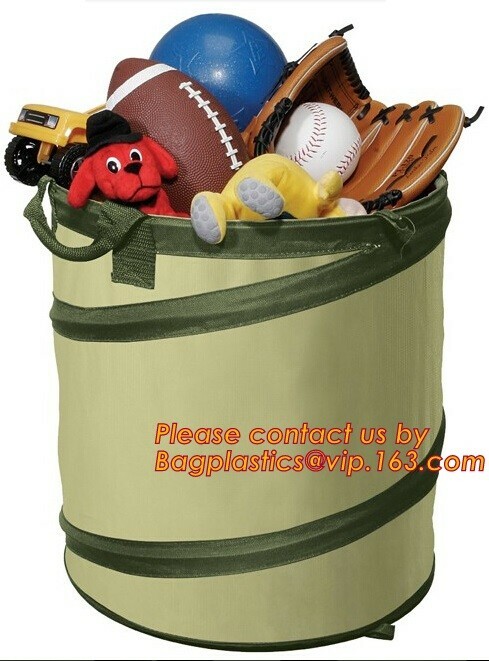 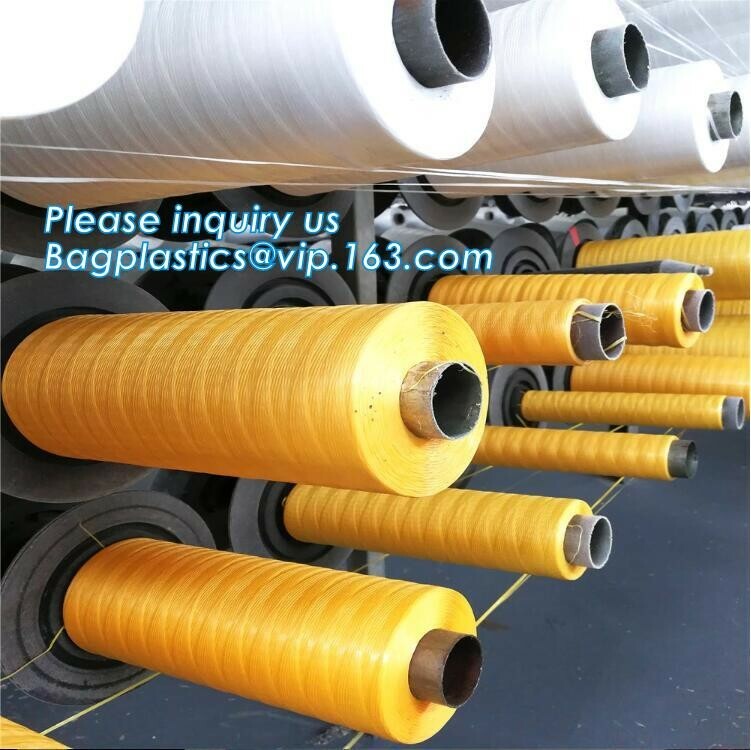 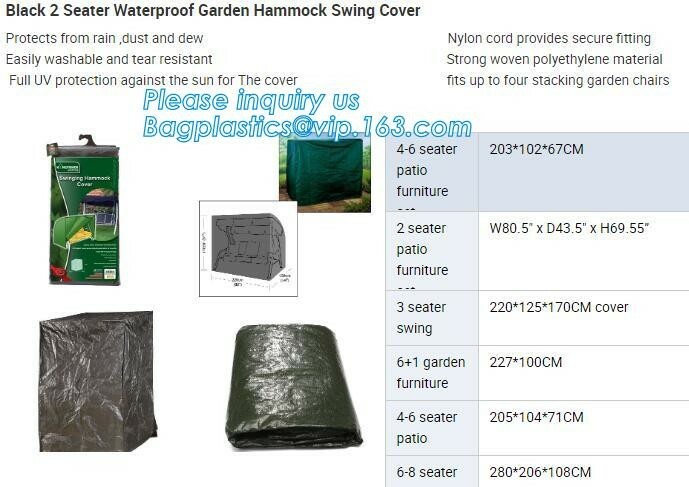 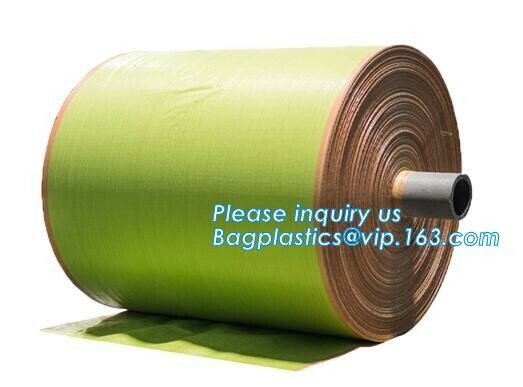 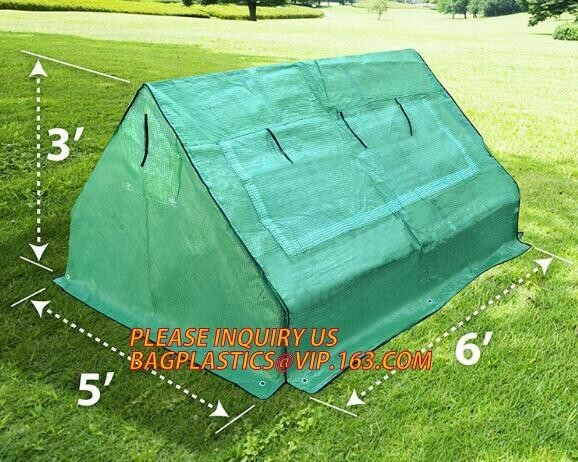 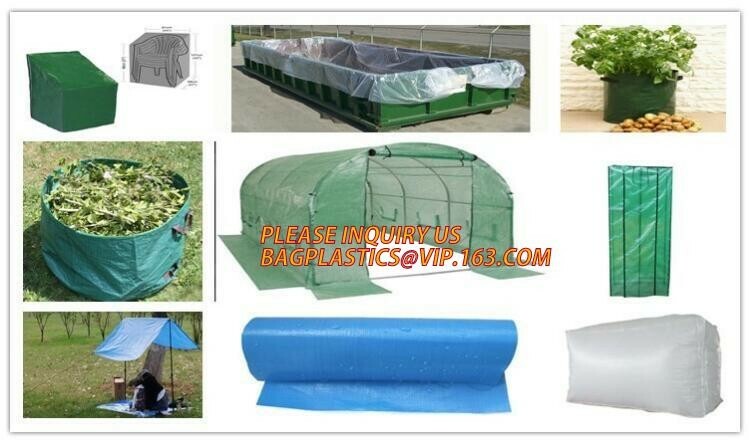 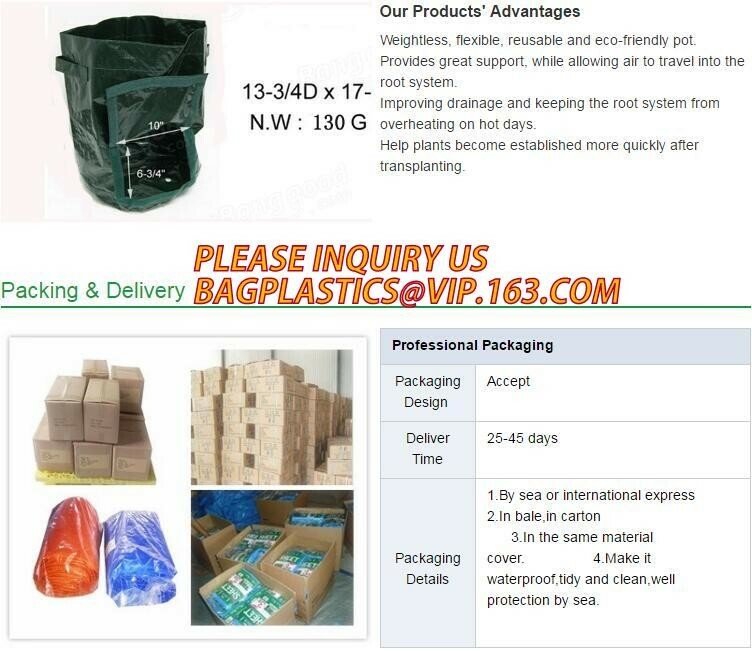 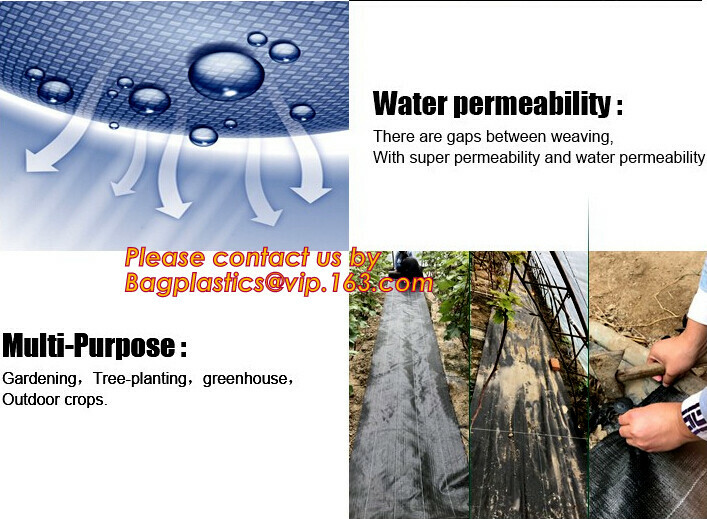 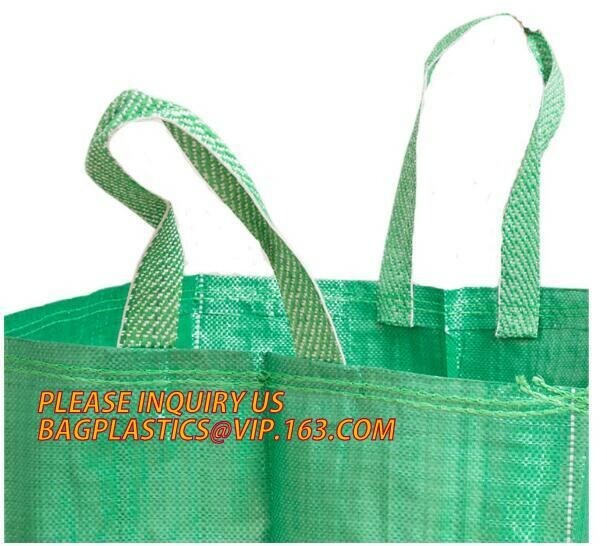 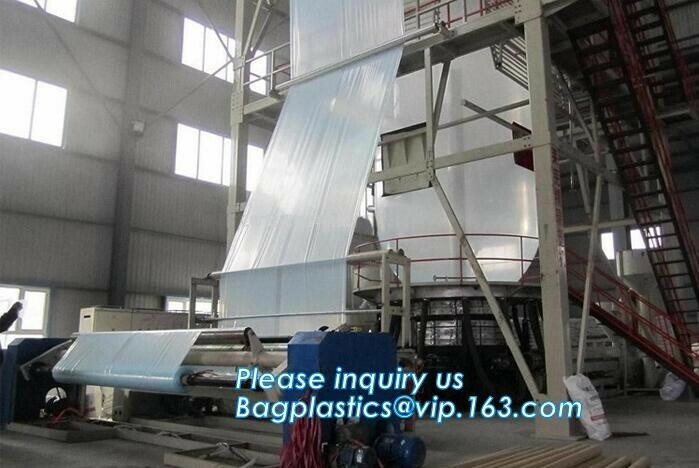 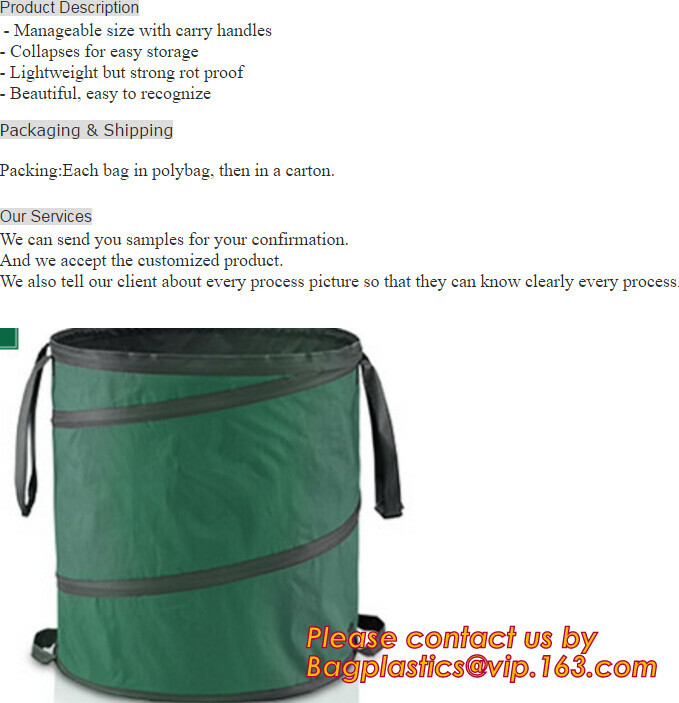 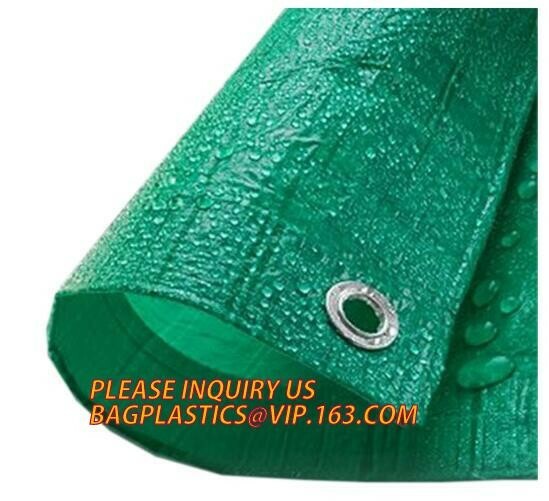 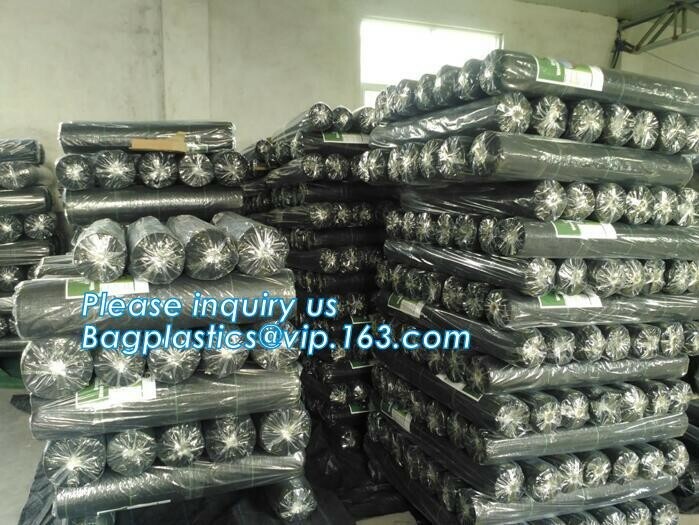 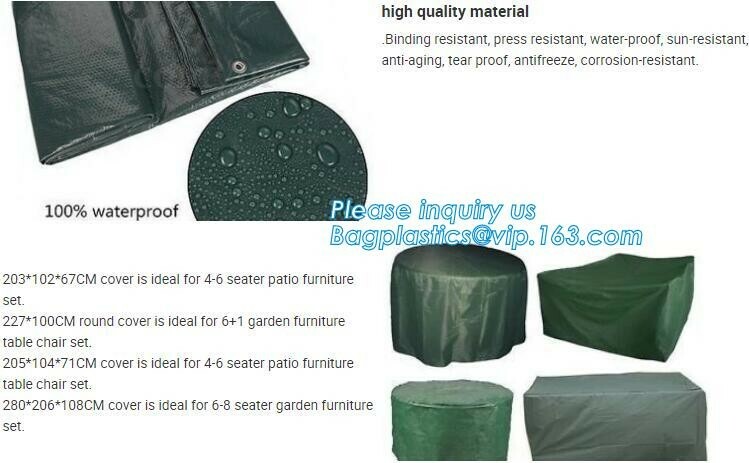 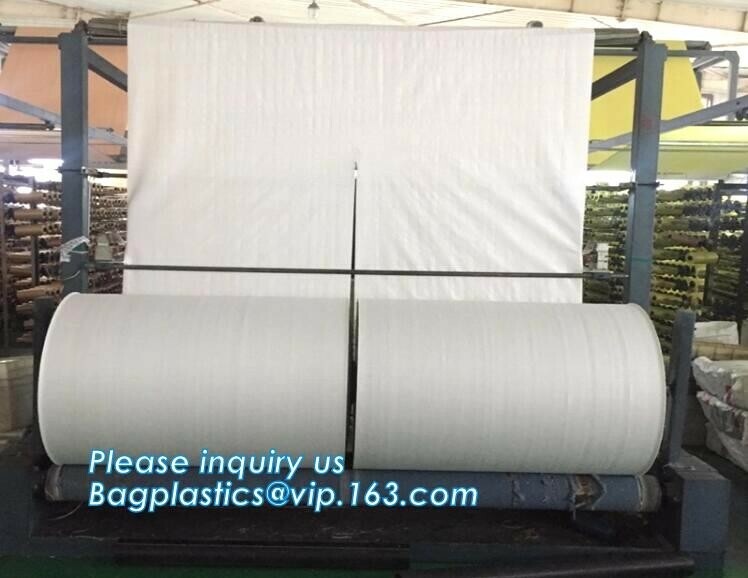 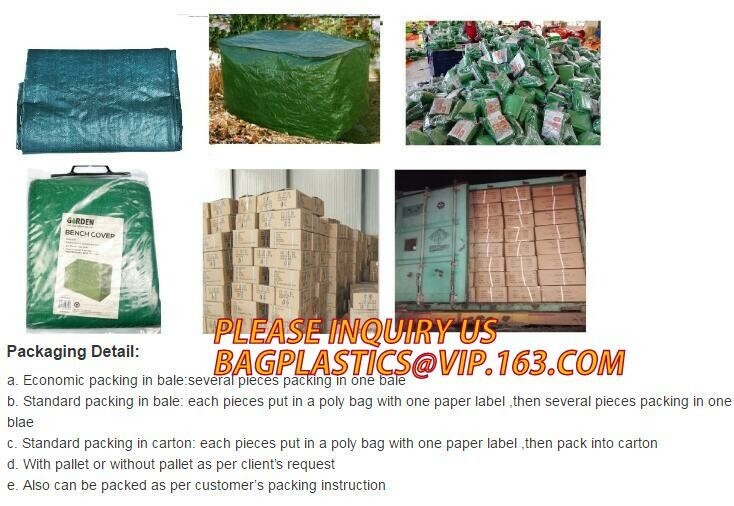 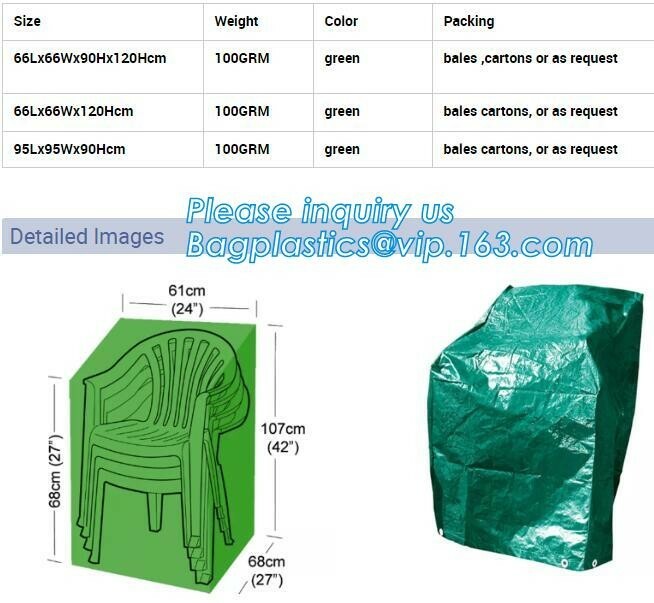 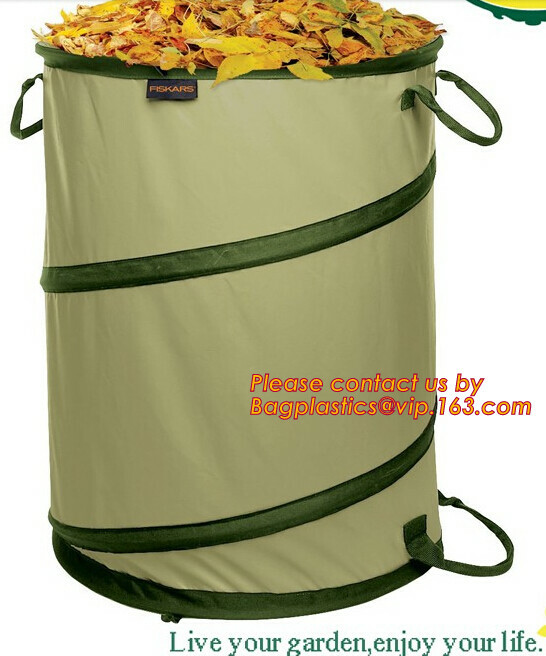 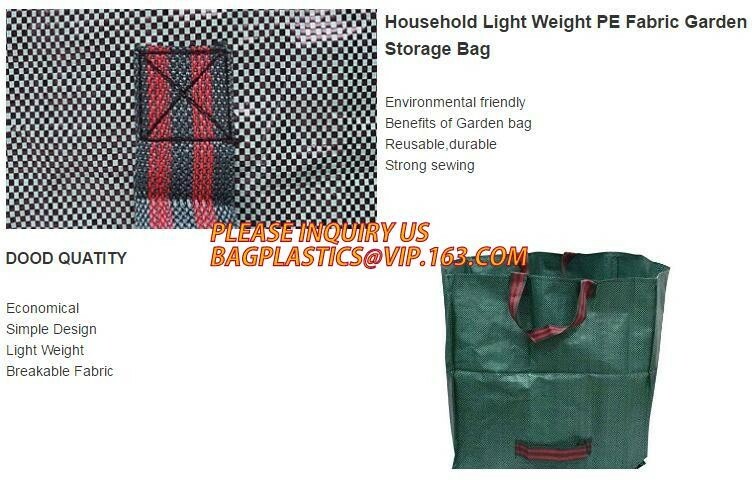 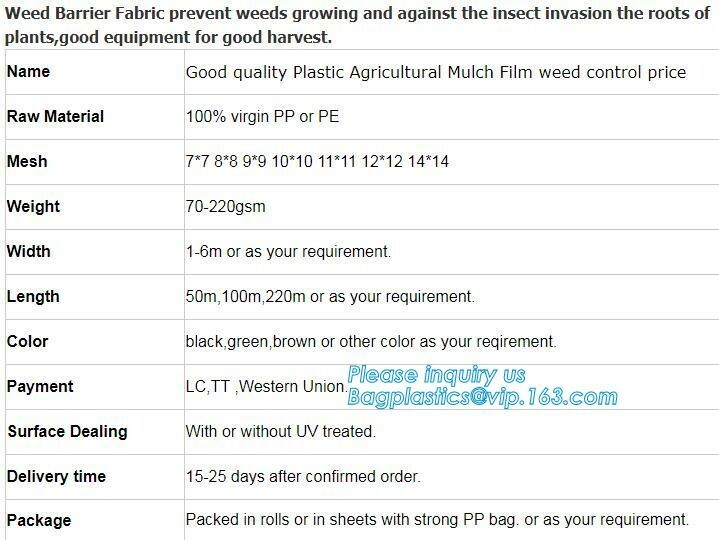 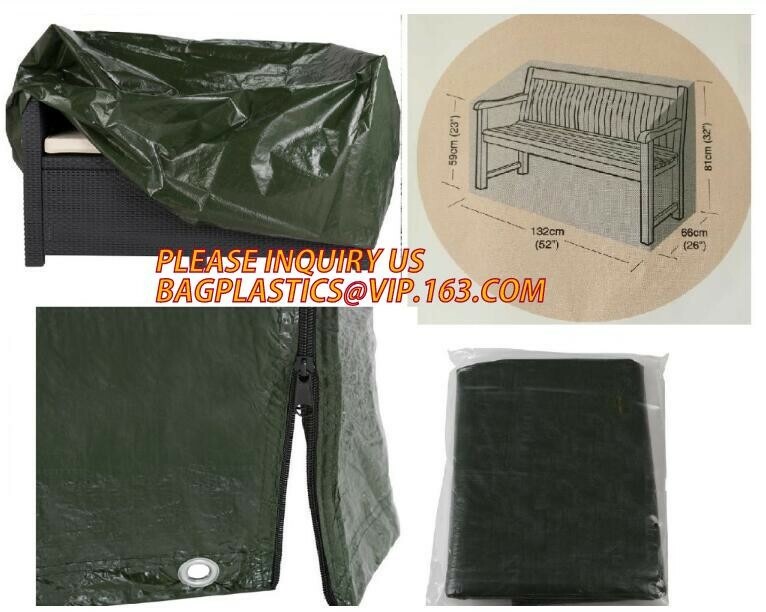 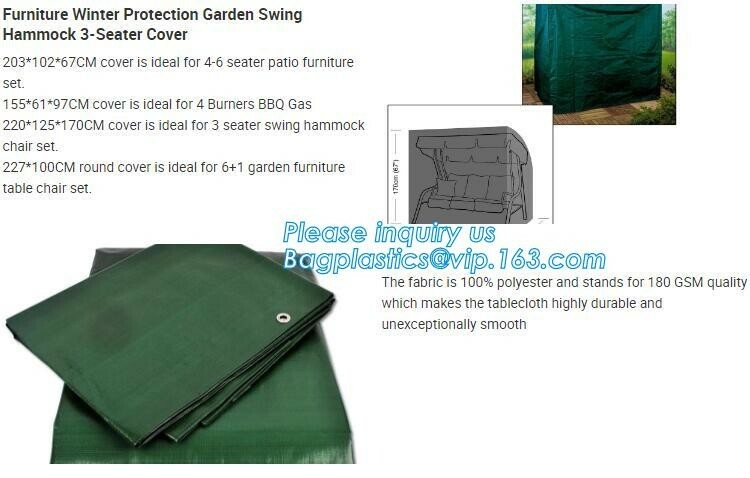 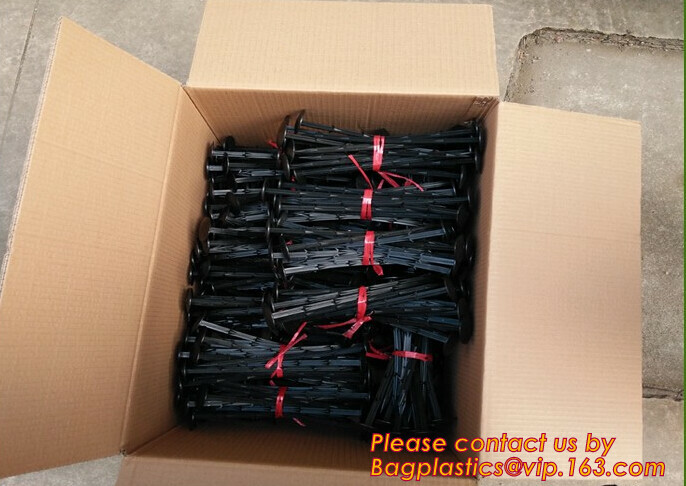 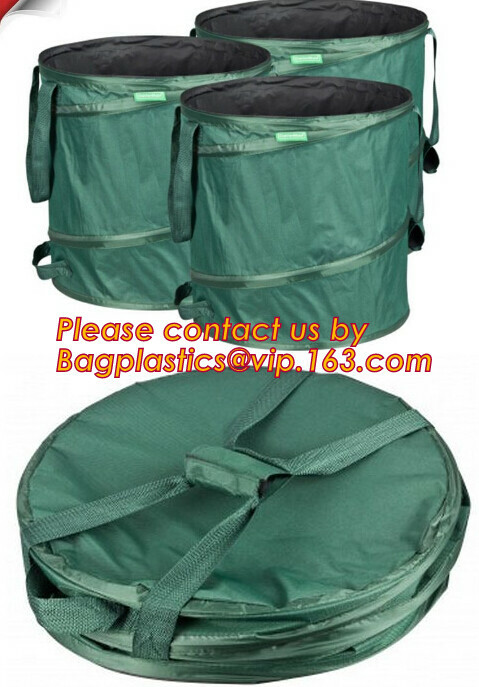 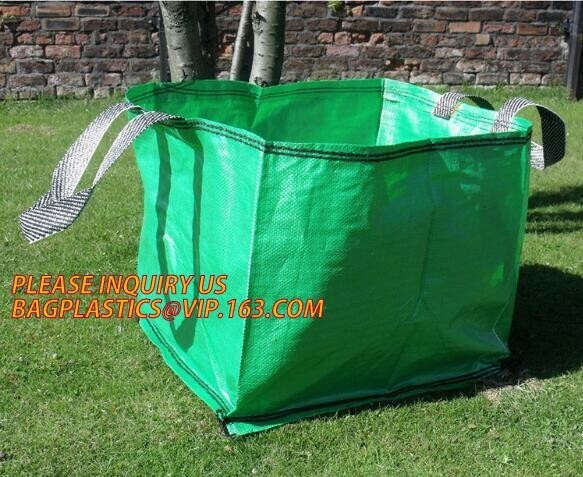 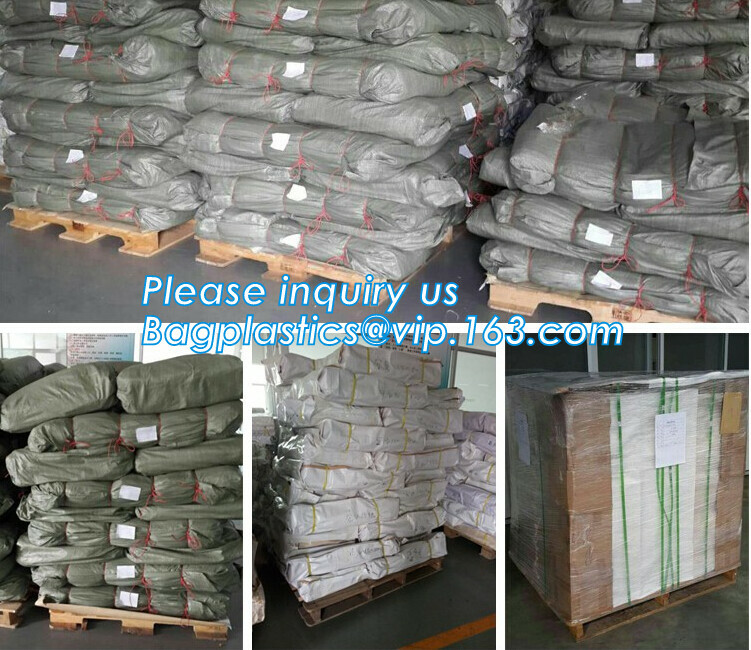 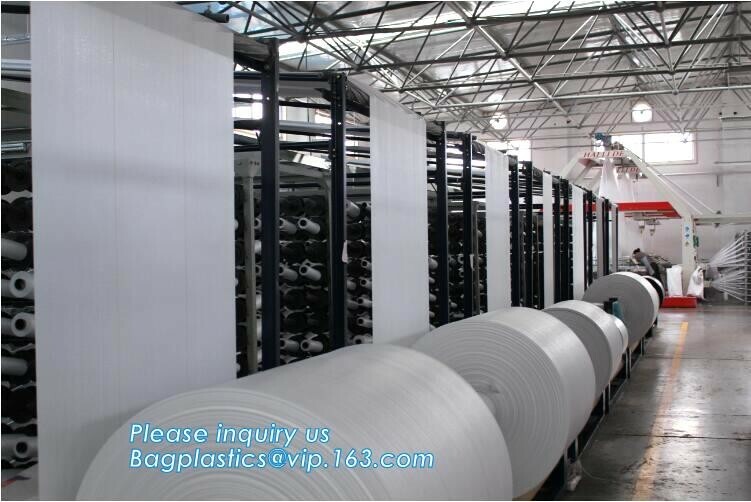 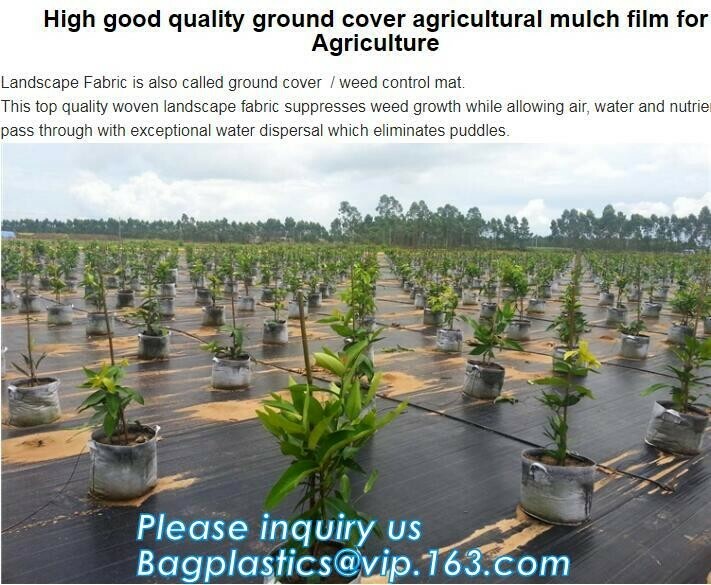 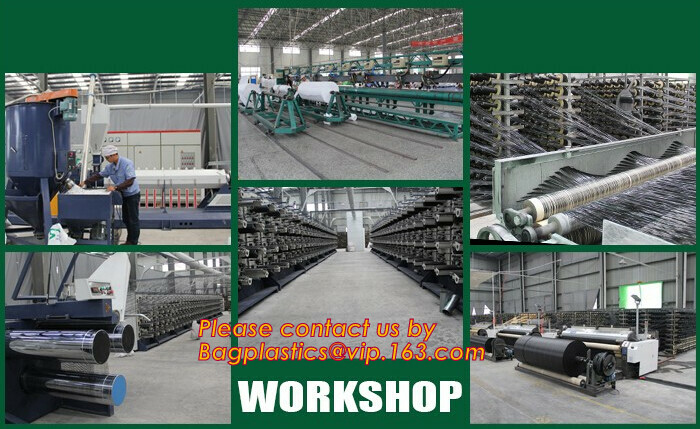 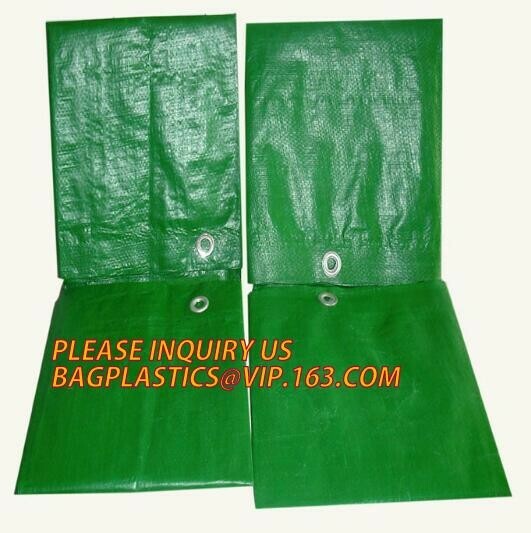 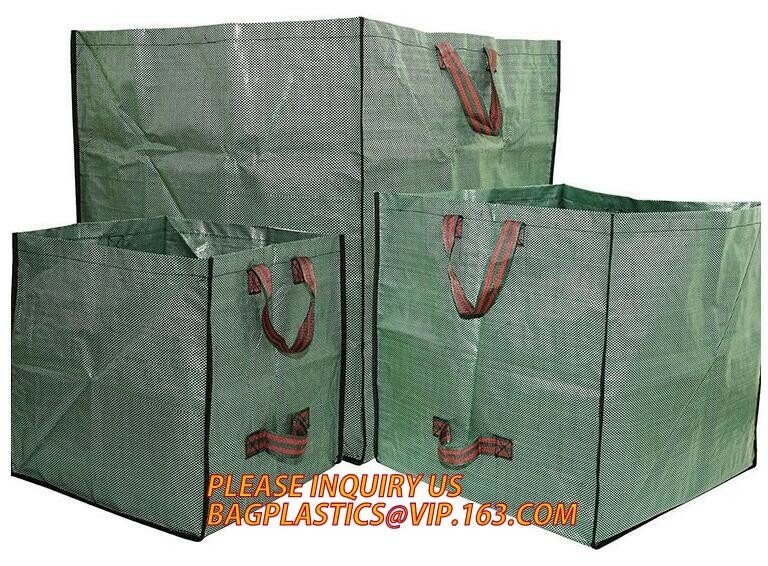 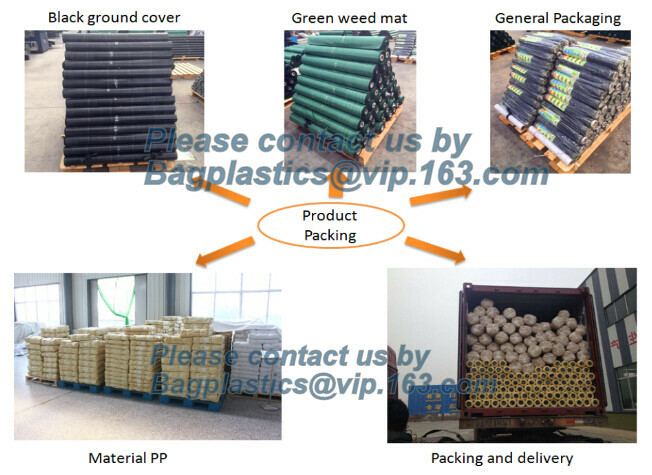 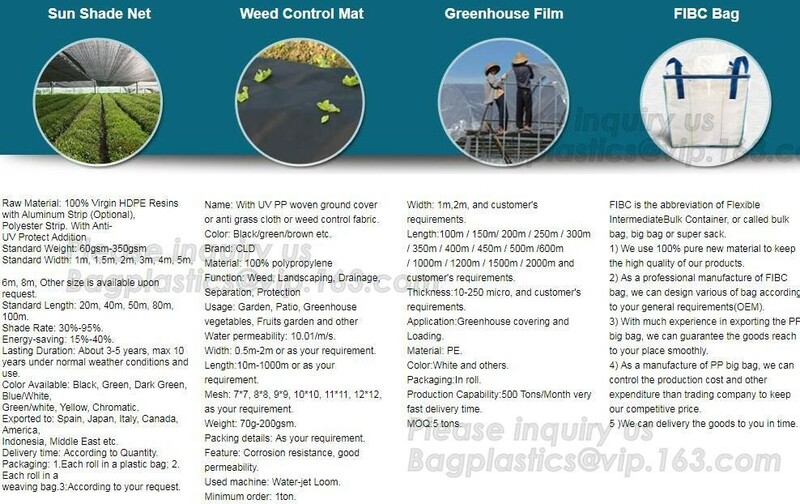 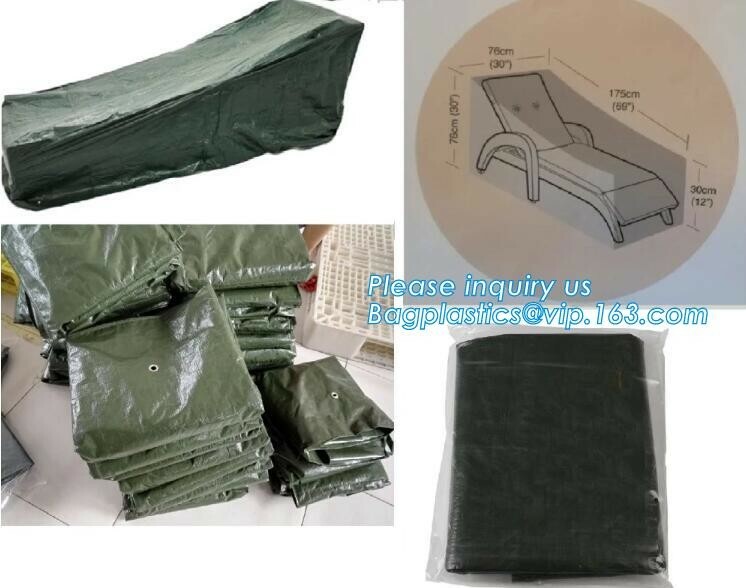 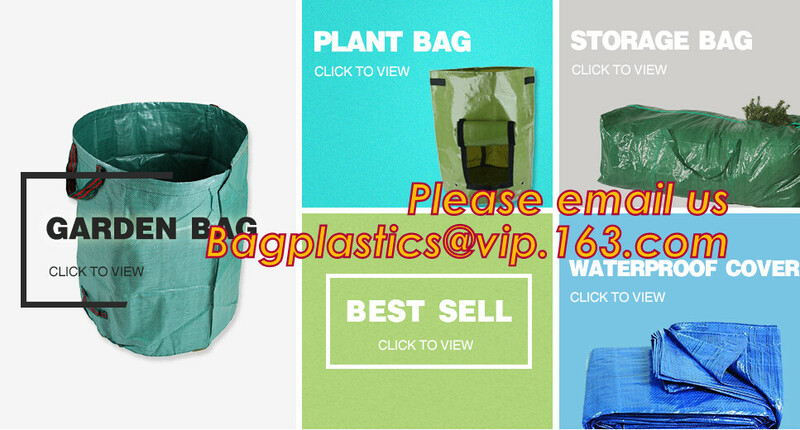 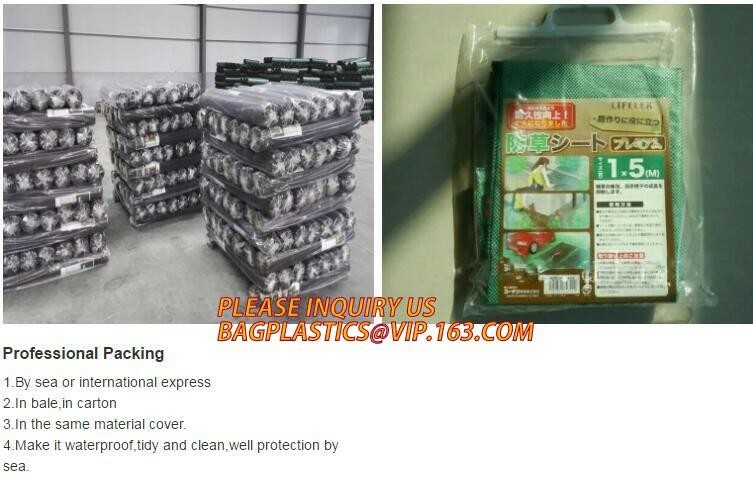 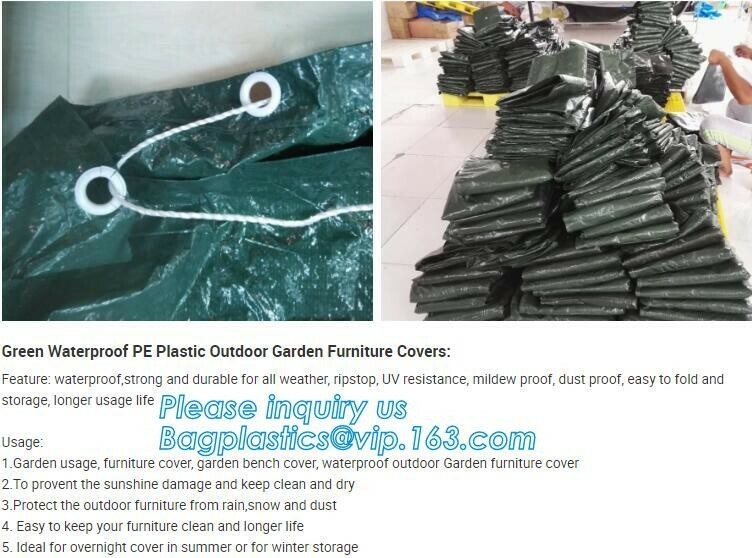 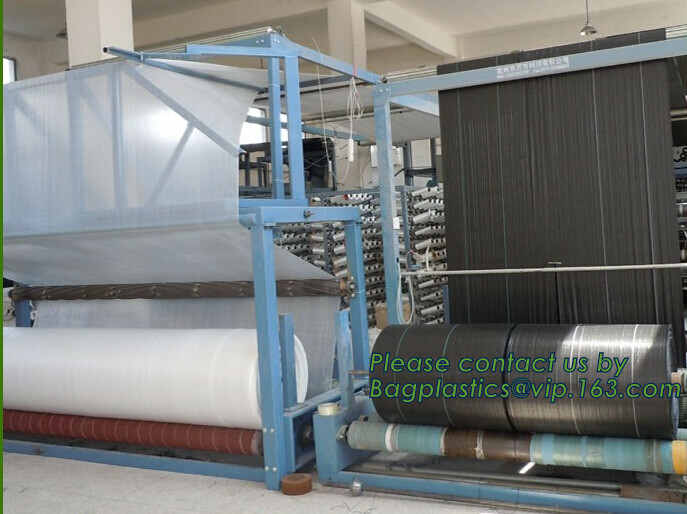 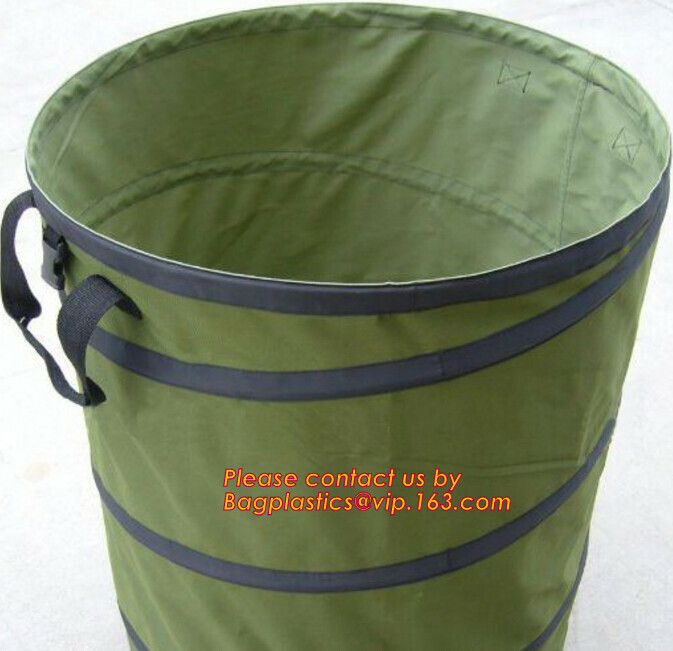 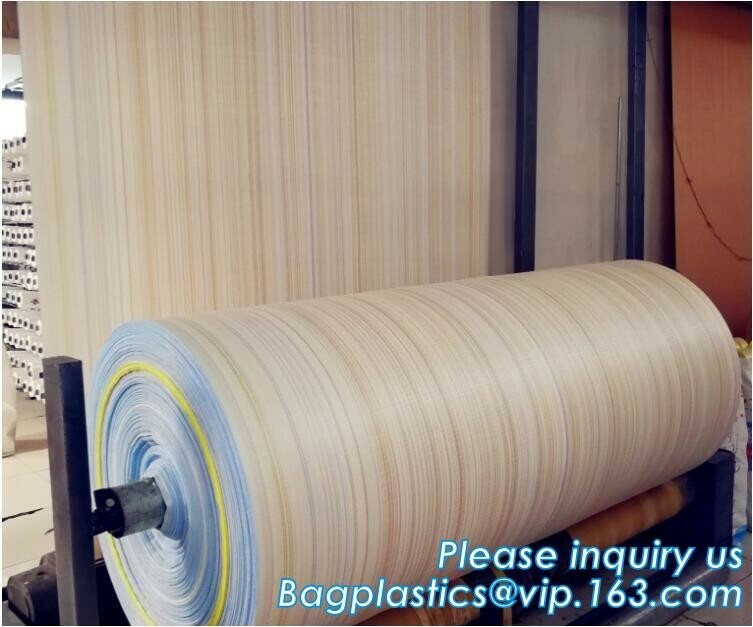 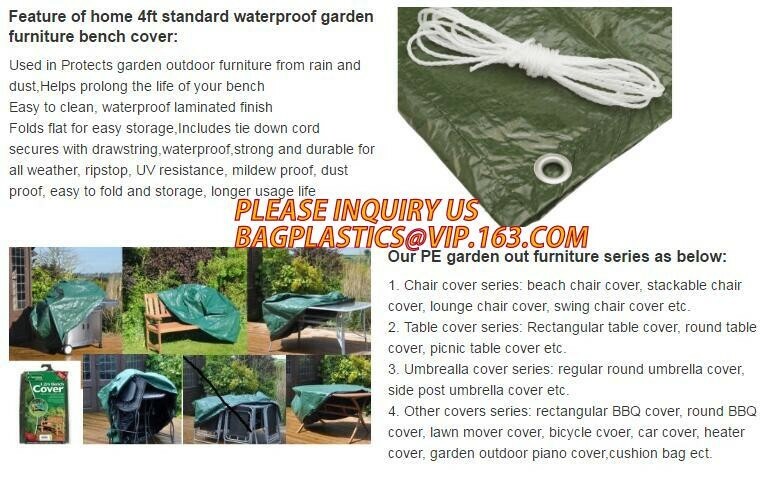 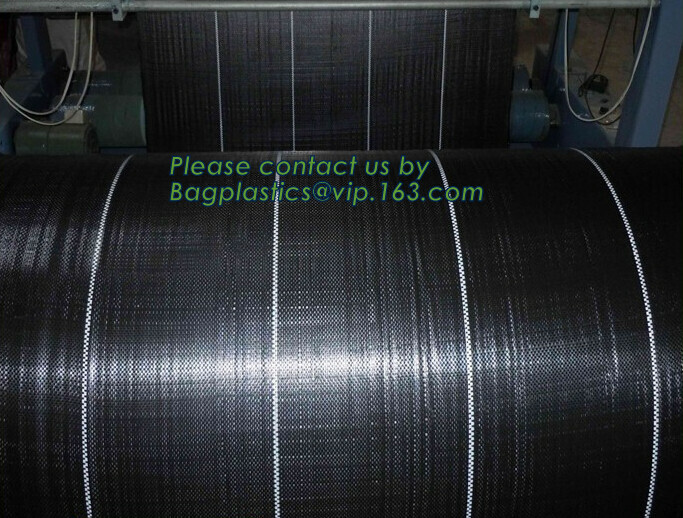 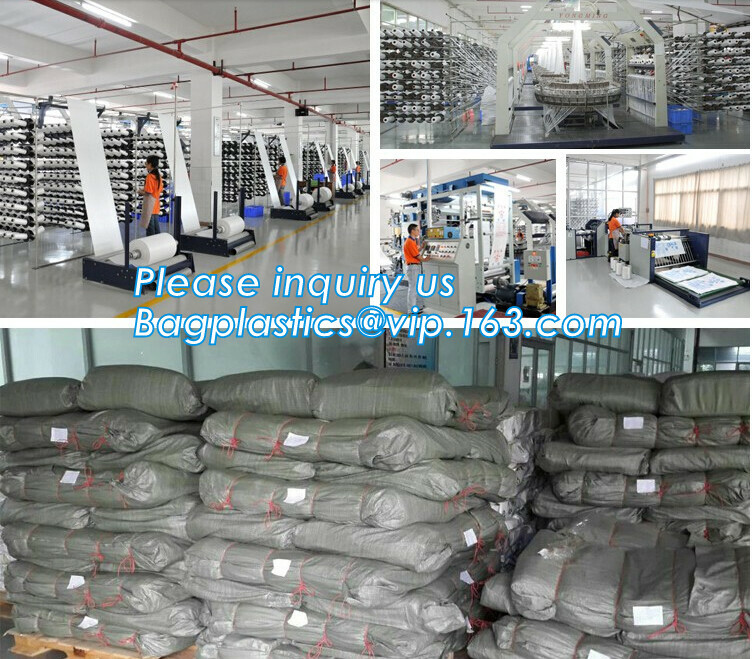 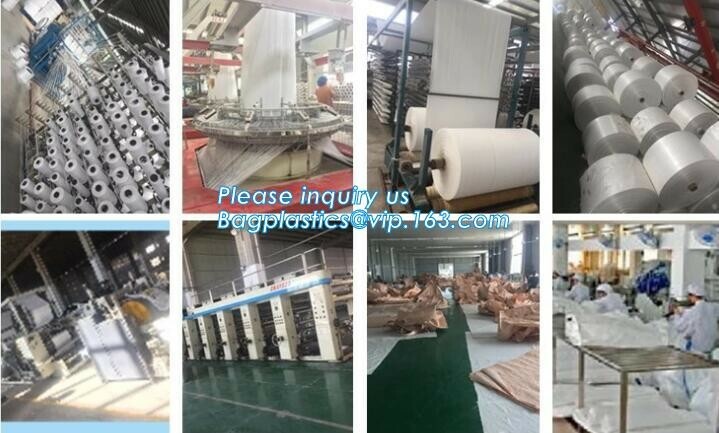 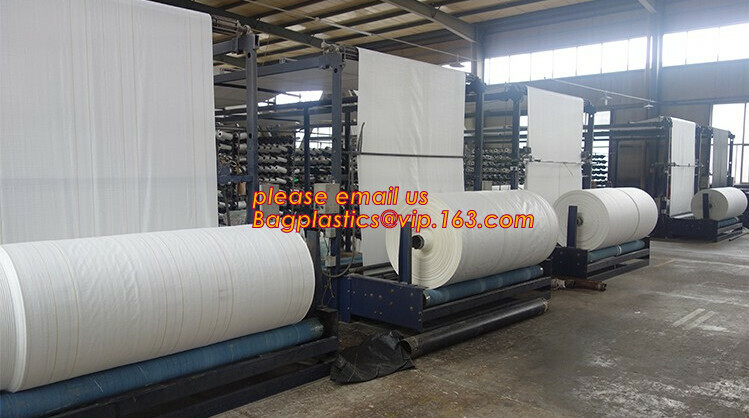 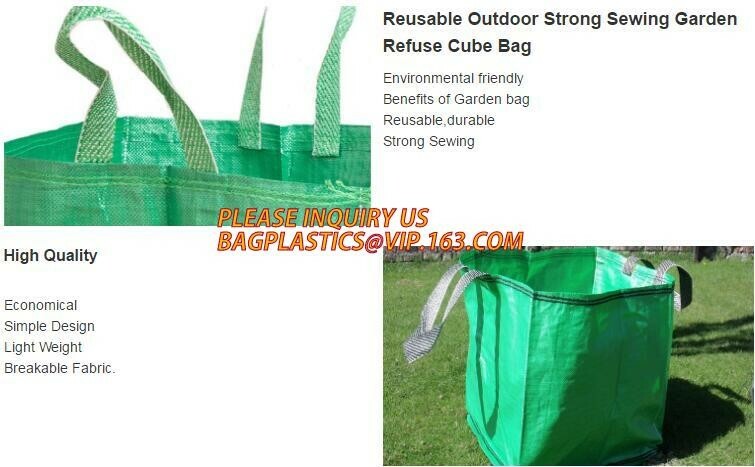 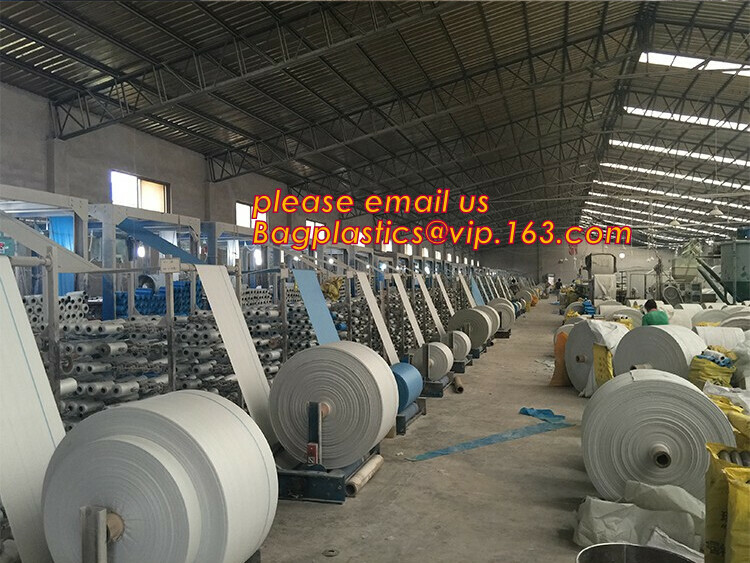 This bag is also named self-standing bag,leaf bag,garden bag,tipping bag,garden sack,leaf sack,etc. 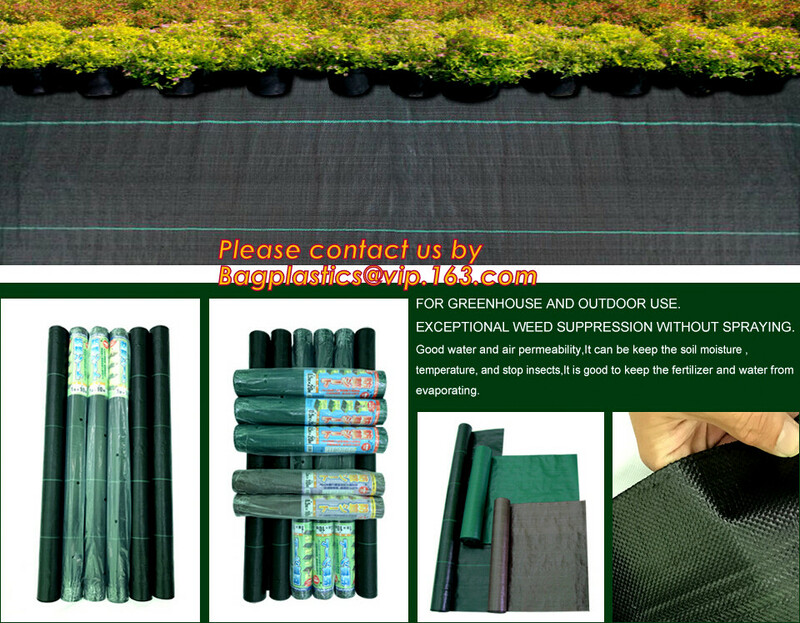 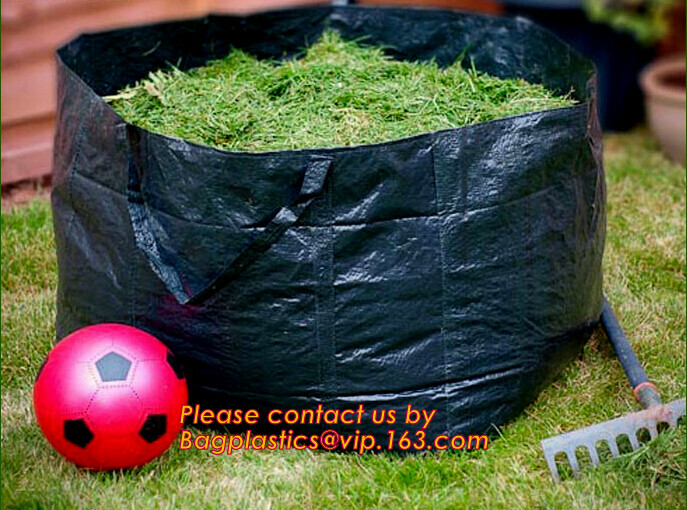 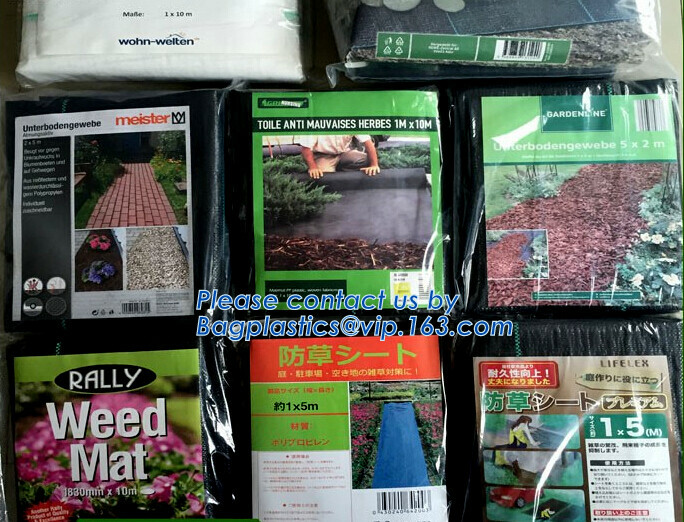 1)Flat top U shape --Square top sod staple is mainly for securing landscape fabric, weed barrier fabric, dog fences & electric fences, controlling weed, securing synthetic turf, and holding sod. 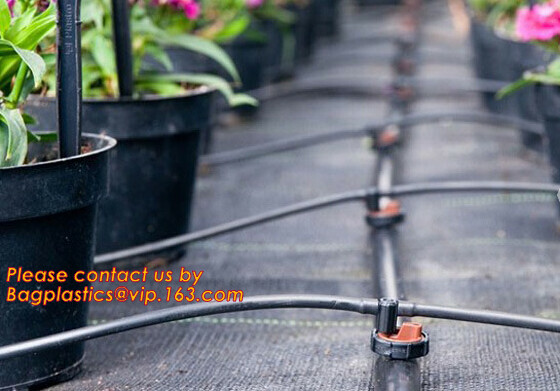 2) Round top U shape --Round top sod pins are used to hold down irrigation pipes and PVC pipes. 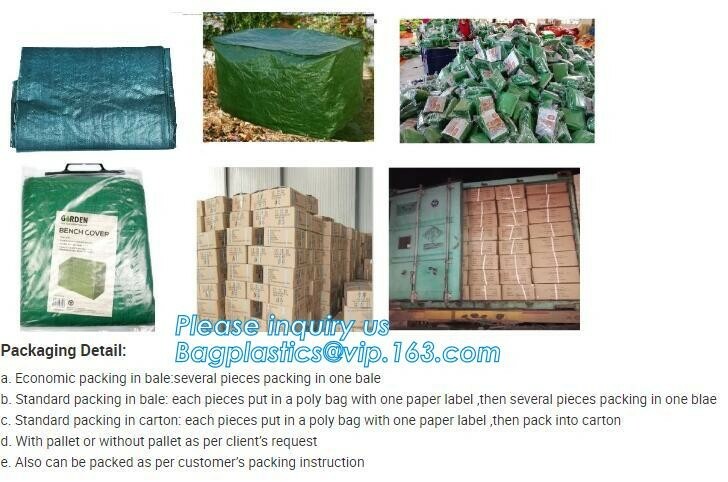 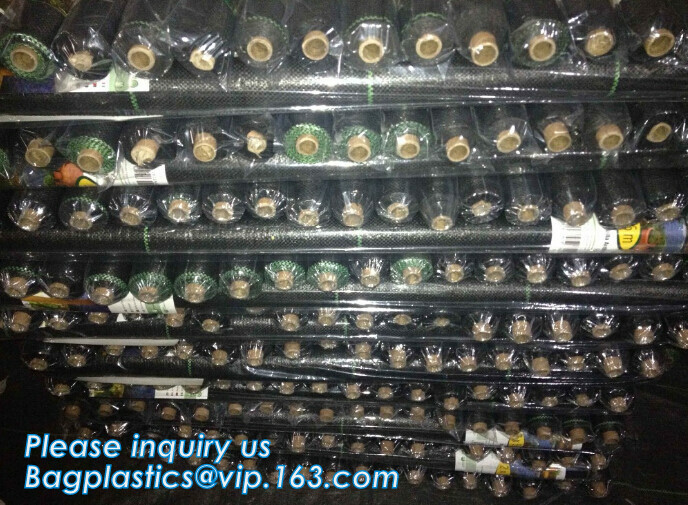 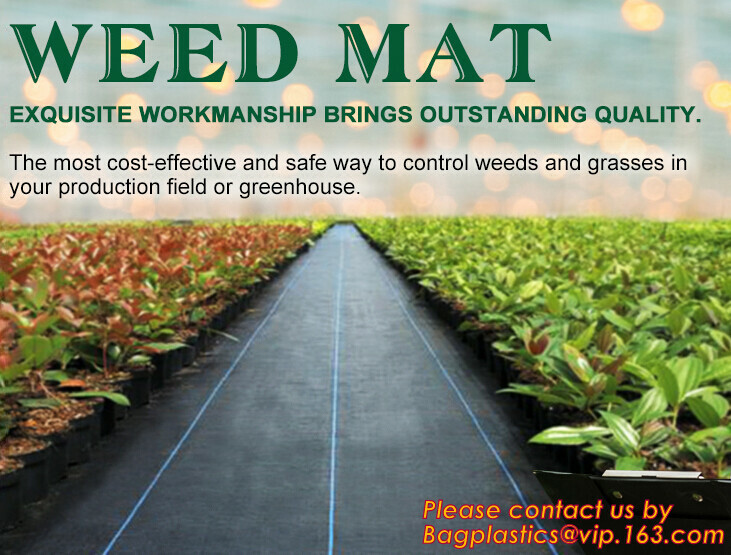 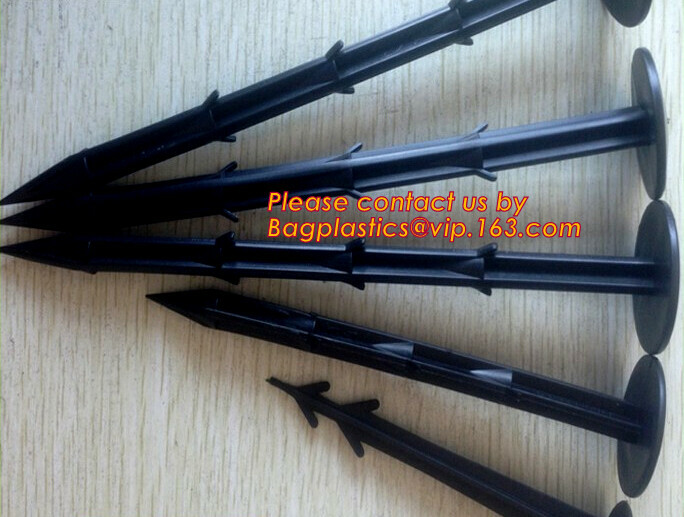 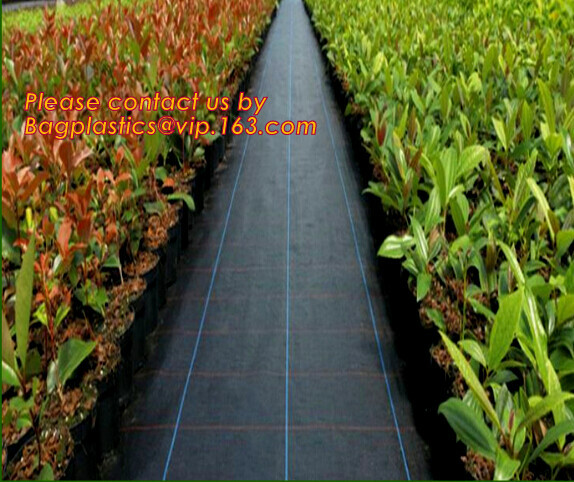 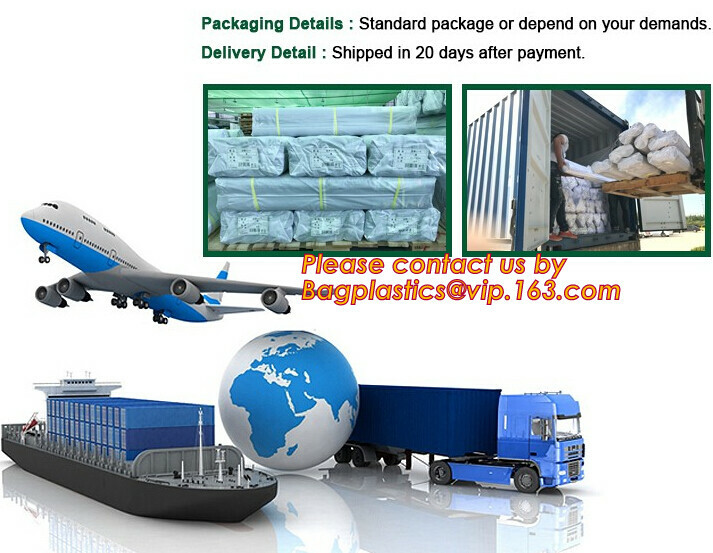 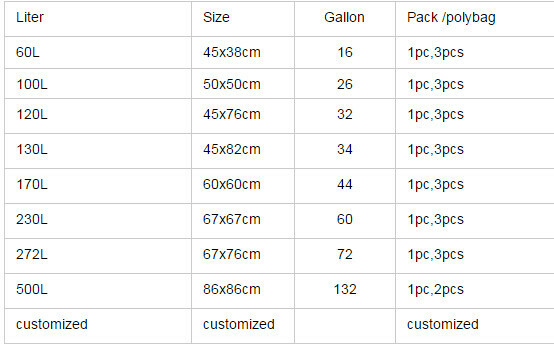 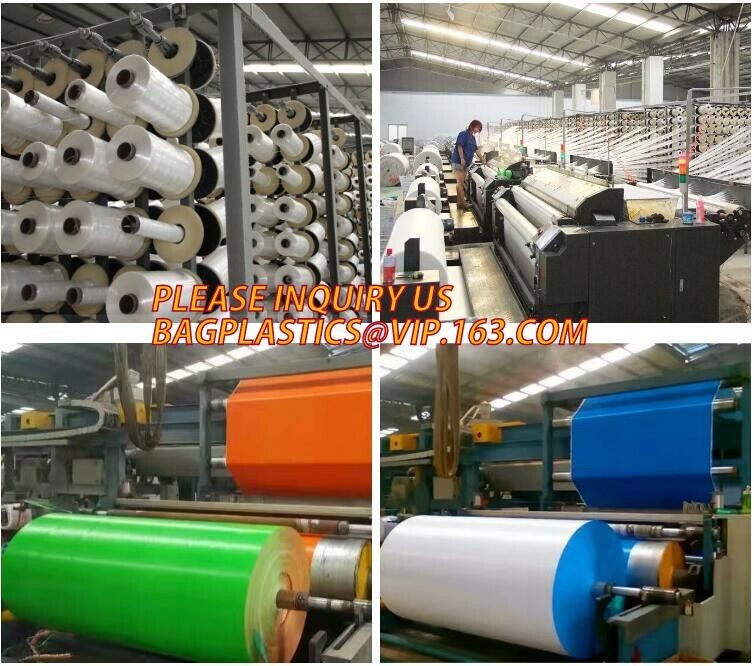 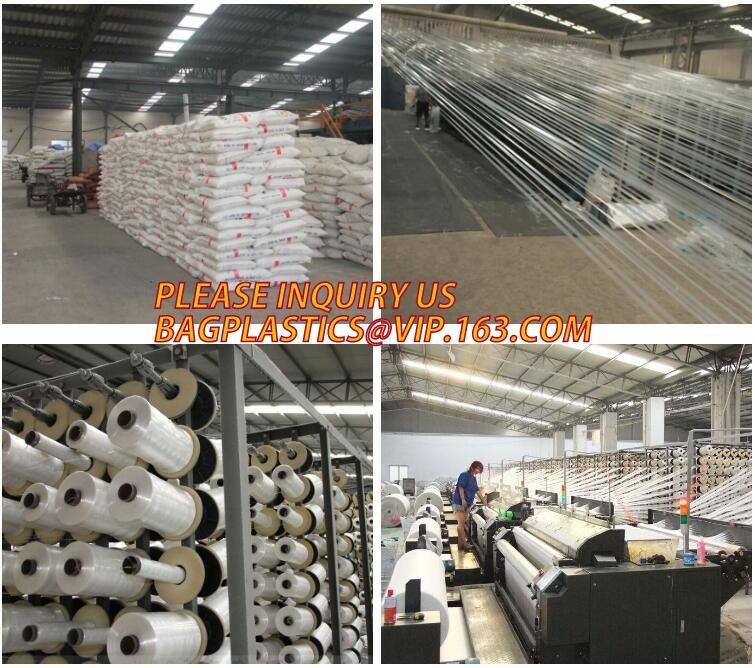 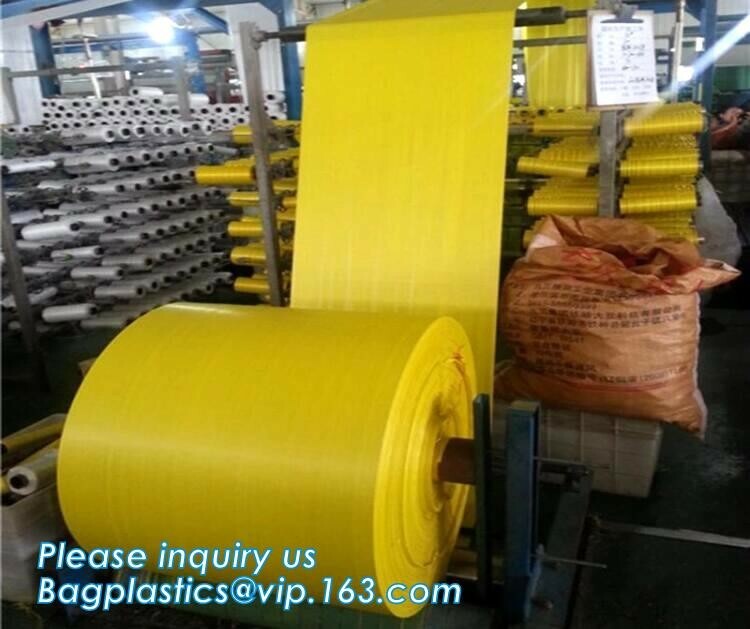 The most common size is 6" x 1" x 6", 9" x 1" x 9"other size is available for us.